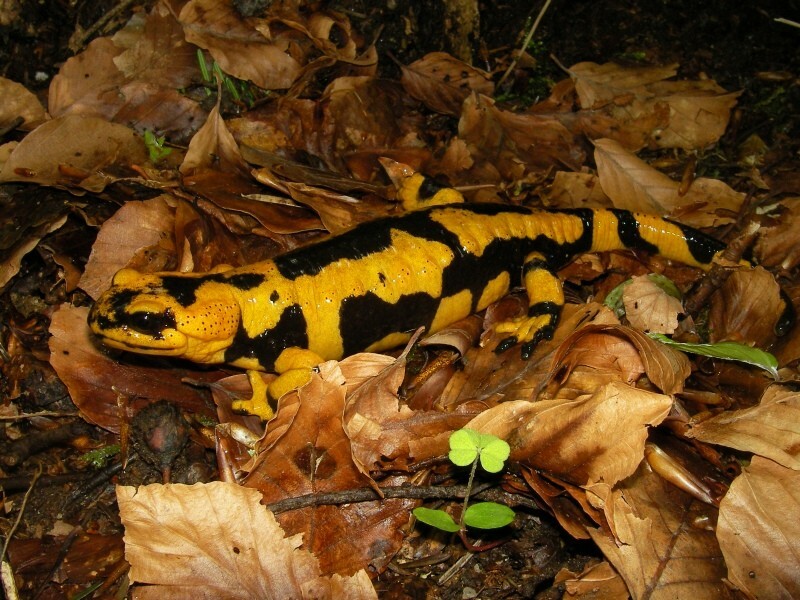 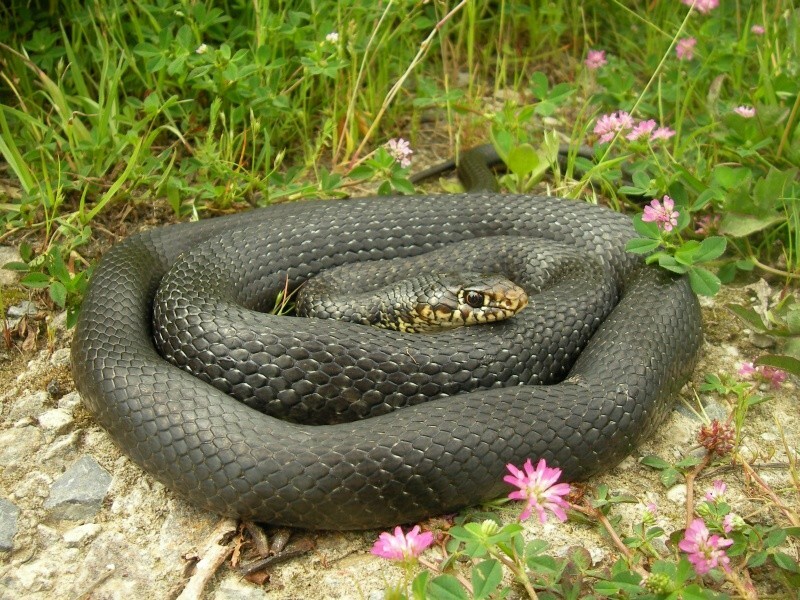 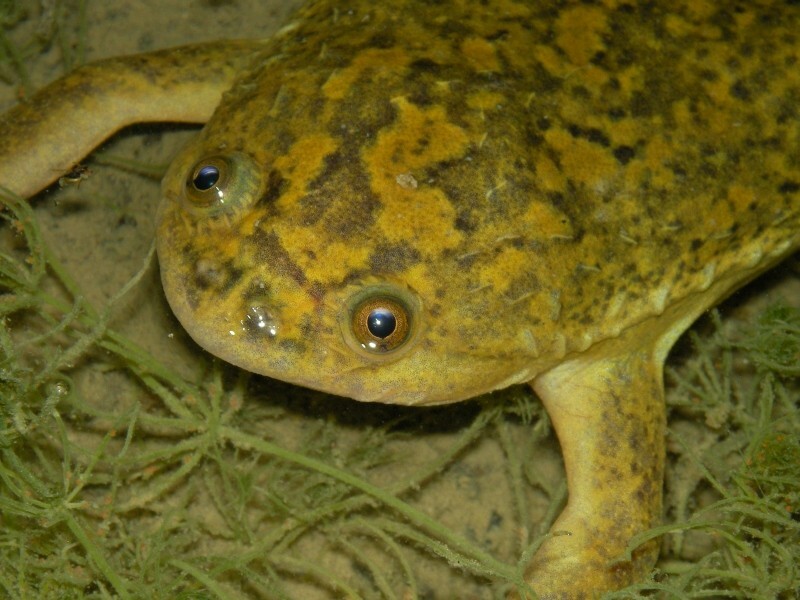 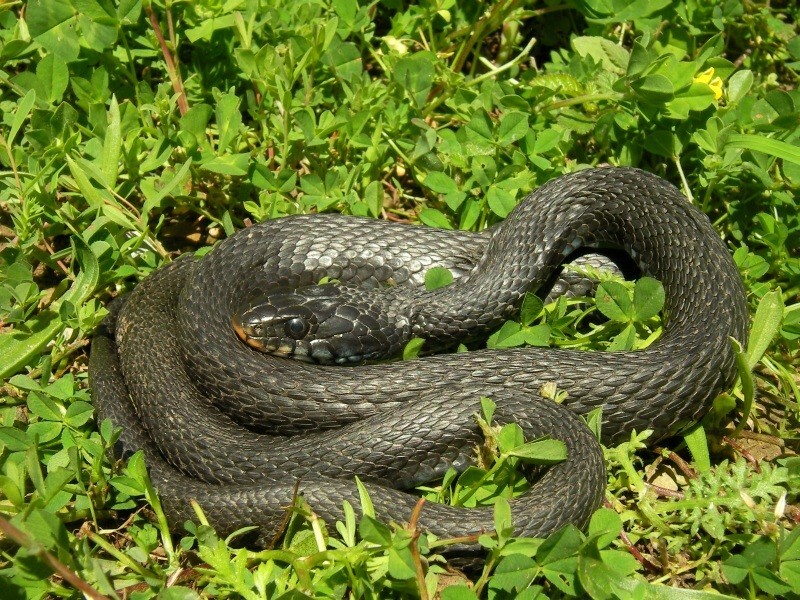 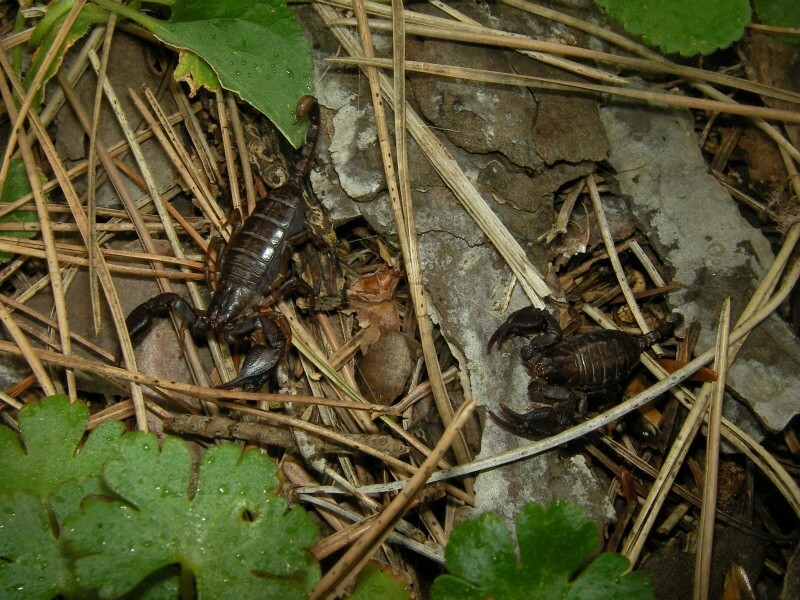 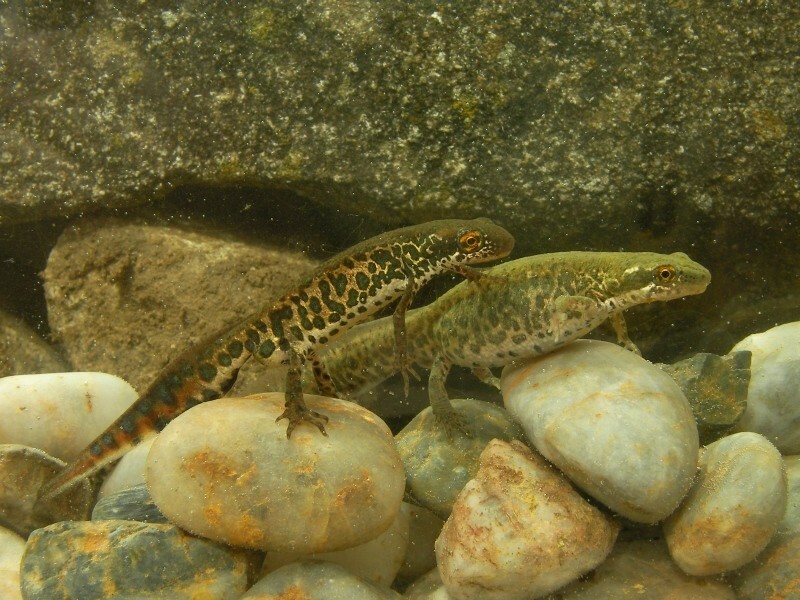 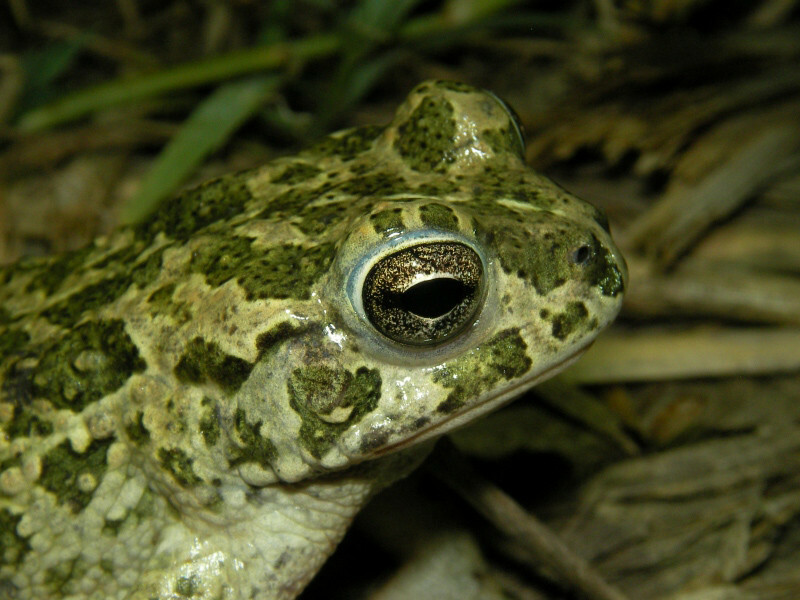 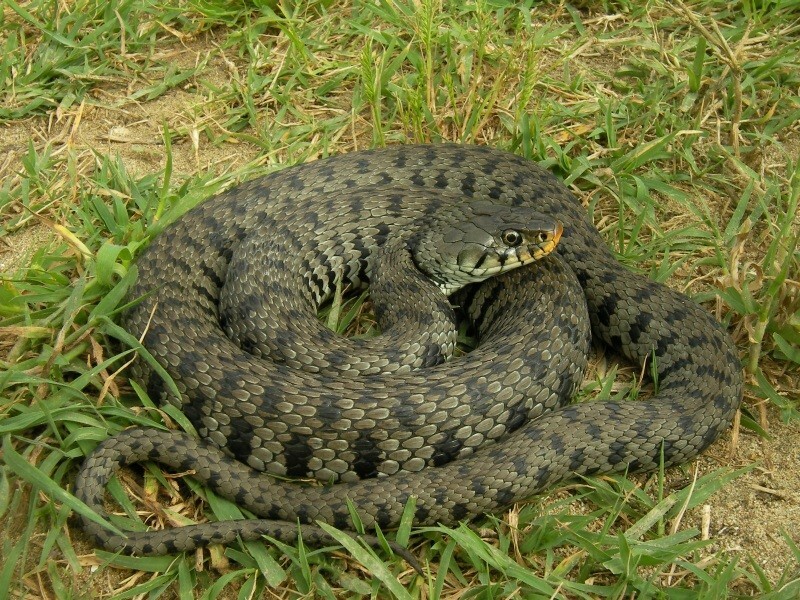 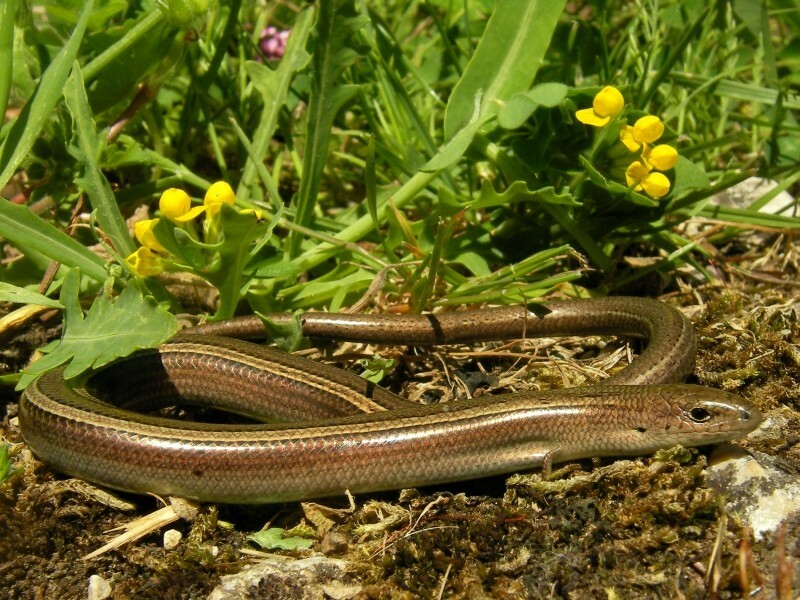 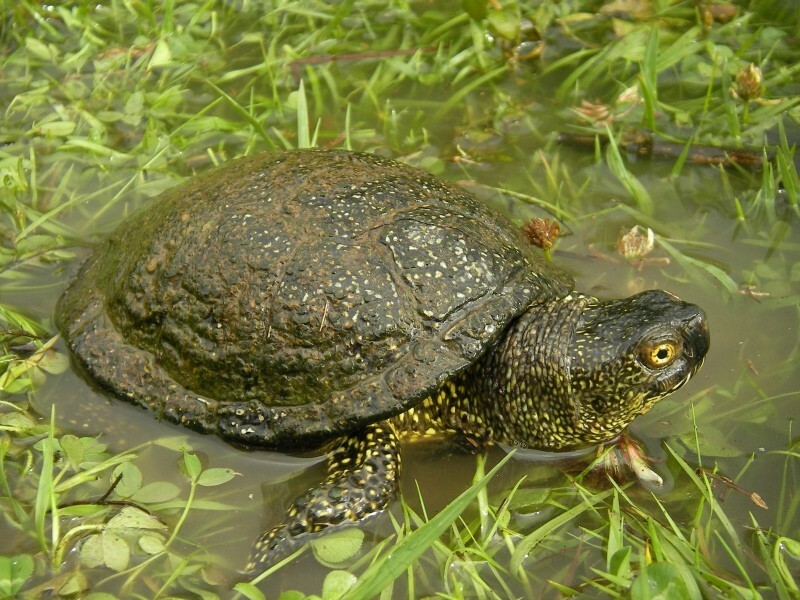 Due to its unique position in the Mediterranean basin, the vast herpetofauna of Italy is influenced by species coming in from both the western and eastern parts of Europe and is also characterised by many endemic taxa. 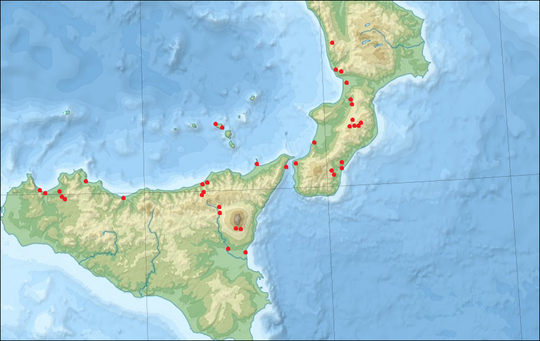 Many of these endemics can be found in the south of the "Italian boot" and on the island of Sicily, a region so far never visited by me. 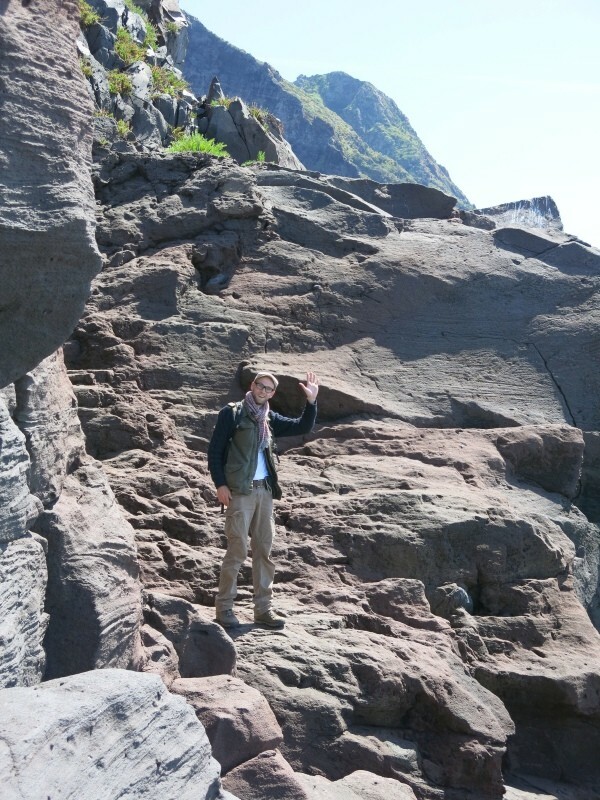 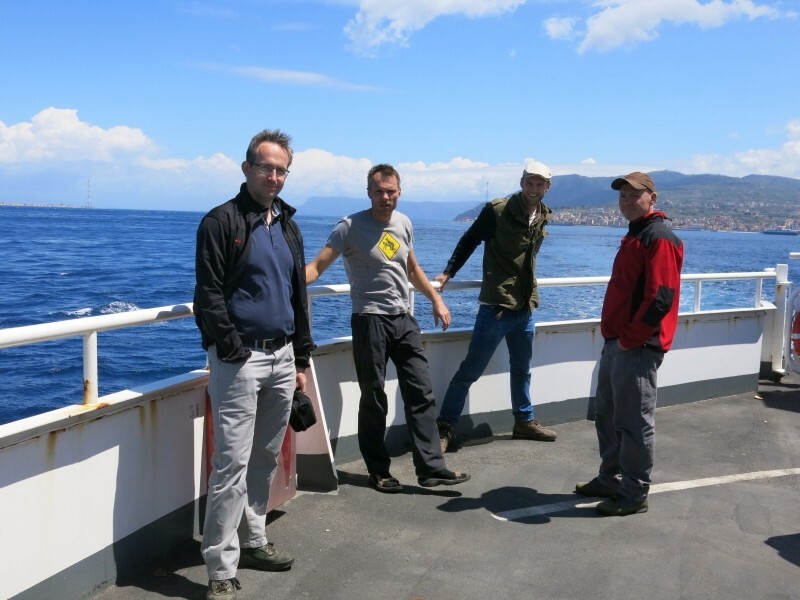 This spring I went on a trip with fellow Europeans Gertjan Verspui (RO), Paul Lambourne and Trevor Willis (UK) and Thomas Reich and Ida Sigl (CH) to explore this region and to find as many species as possible. 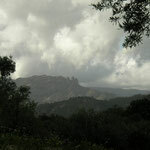 Weather conditions during our trip were far from ideal, many days were heavily overcast with strong winds and occasional showers. 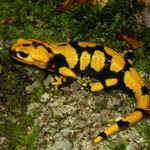 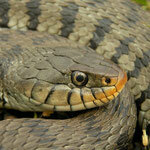 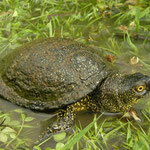 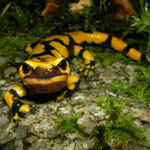 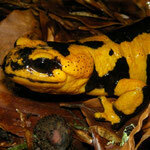 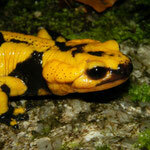 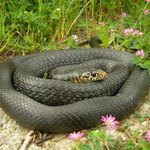 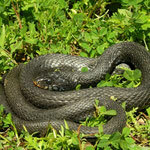 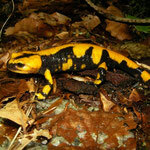 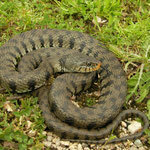 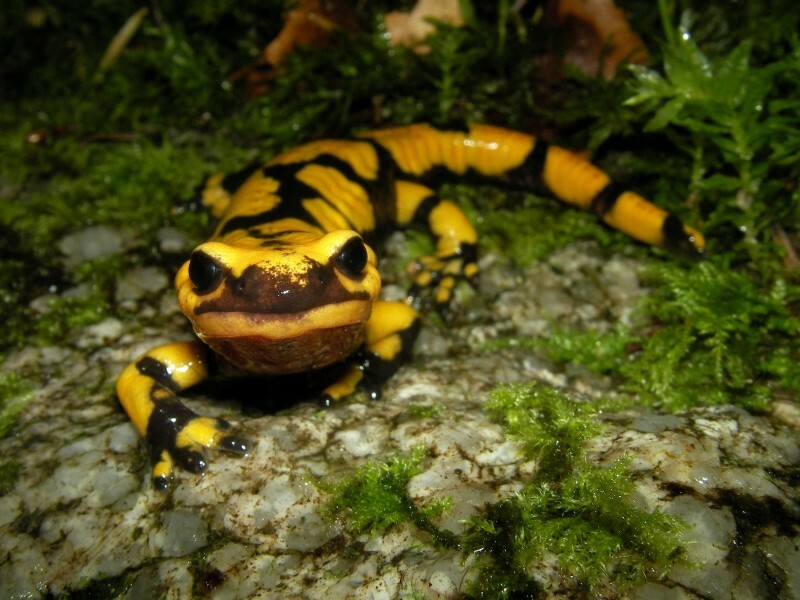 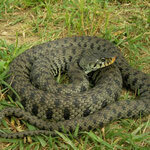 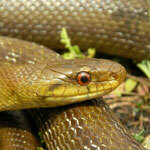 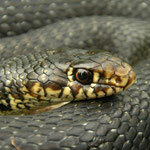 That might be rewarding if you are searching for amphibians but for reptiles it is less profitable. 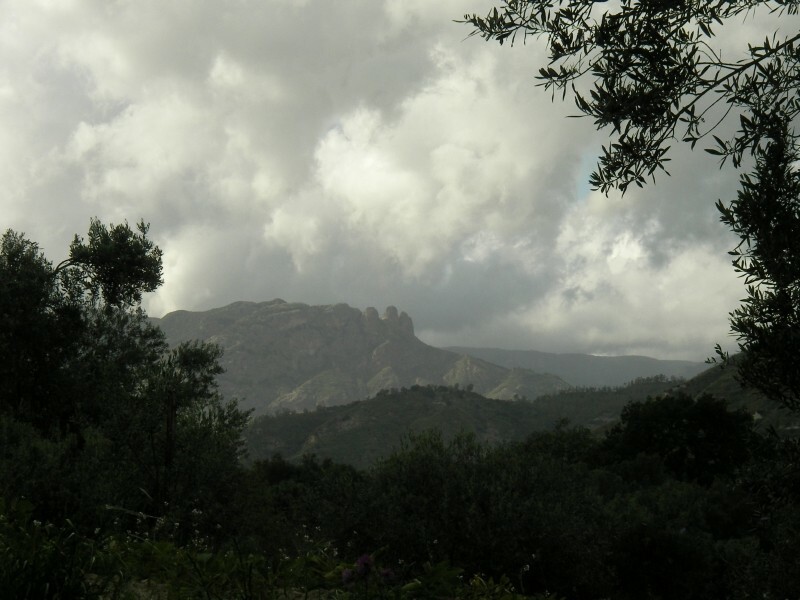 We were however with a persistant group who kept high spirits and together we managed to find almost all our desiderata. 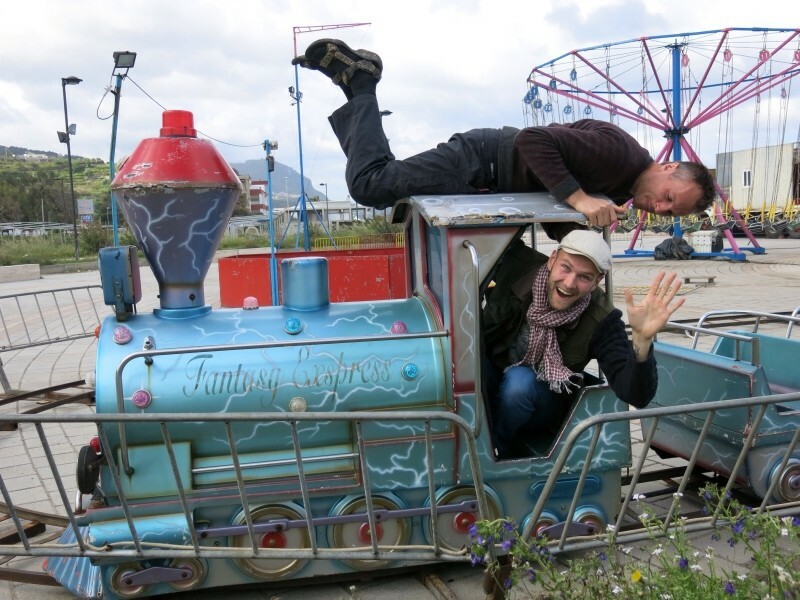 After work I took the train to Schiphol where birthday boy Gertjan was already waiting. 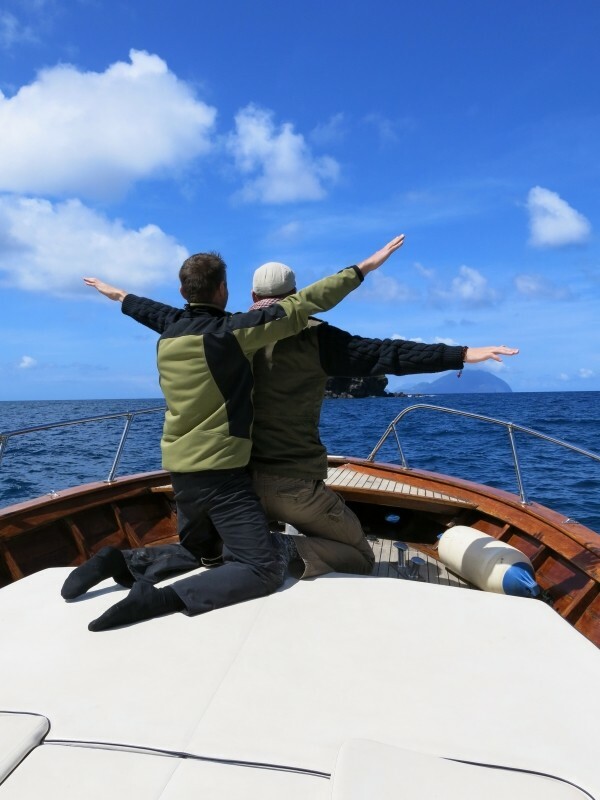 Together we flew to Milano were we had a stopover. 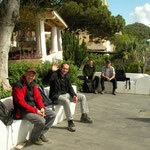 Thomas and Ida had already arrived three days prior to our arrival and Paul and Trev would arrive one day earlier. 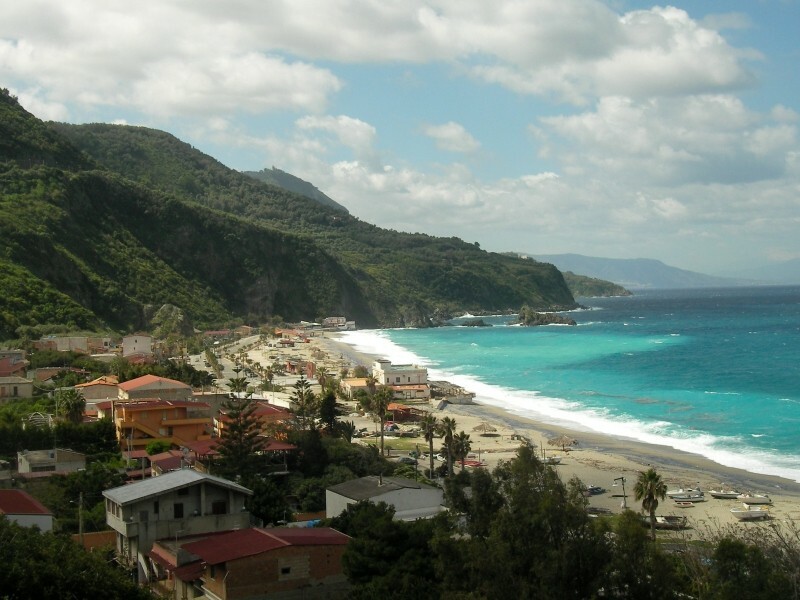 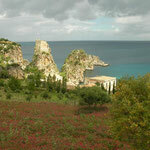 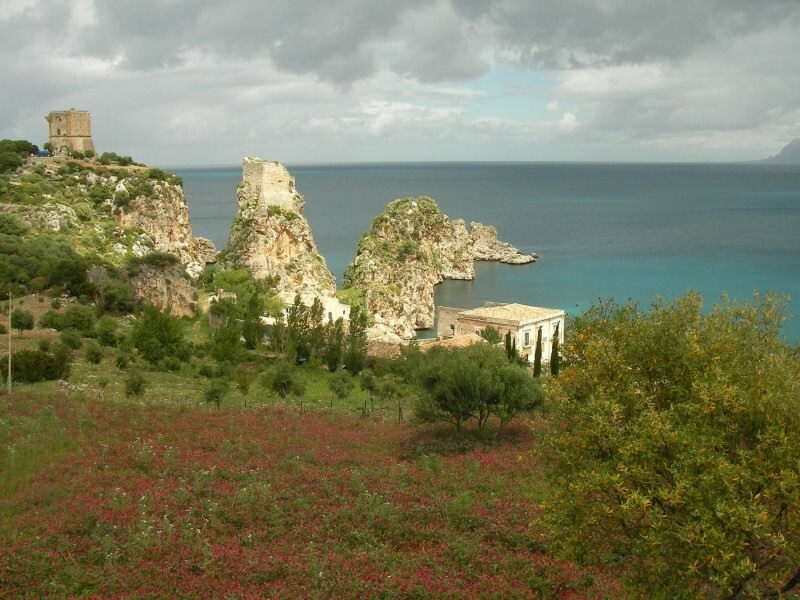 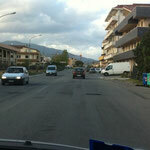 In the early morning our journey continued and we flew to the small airport Lamezia Terme in Calabria. 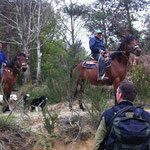 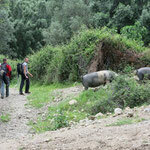 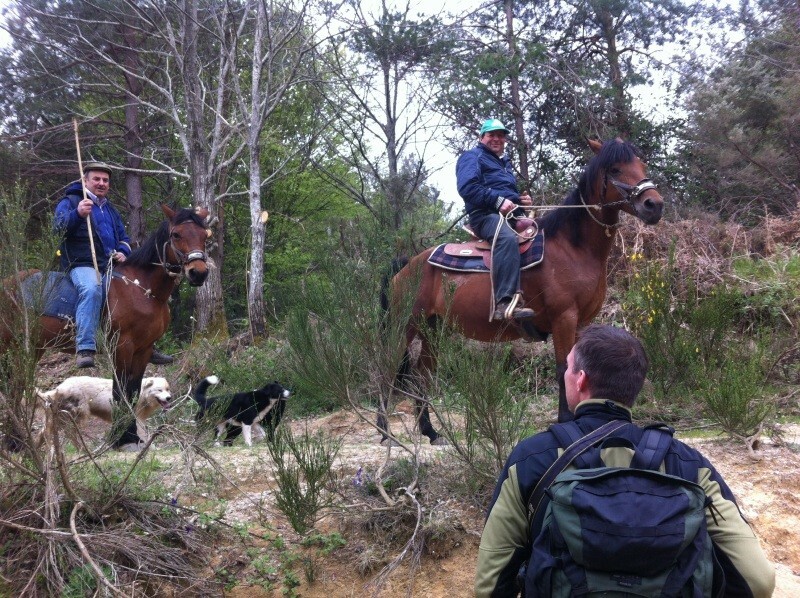 We were meeting up with our friends in the mountains behind Nocera Scalo. 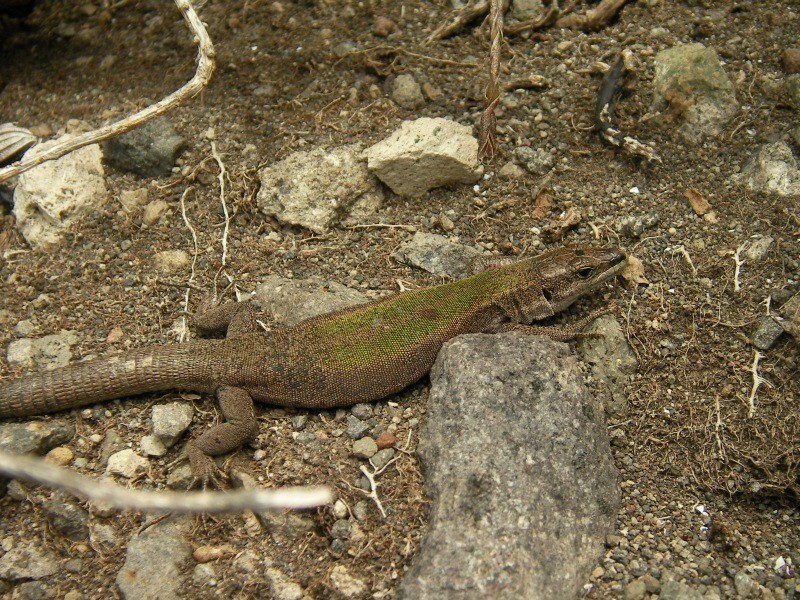 While waiting Gertjan and I were keen on going herping and did a little stroll into a nice valley and immediately found Common Toad (Bufo bufo), Italian Stream Frog (Rana italica), Italian Wall Lizard (Podarcis siculus) and GJ was everyone's hero by finding two Southern Spectacled Salamanders (Salamandrina terdigitata). 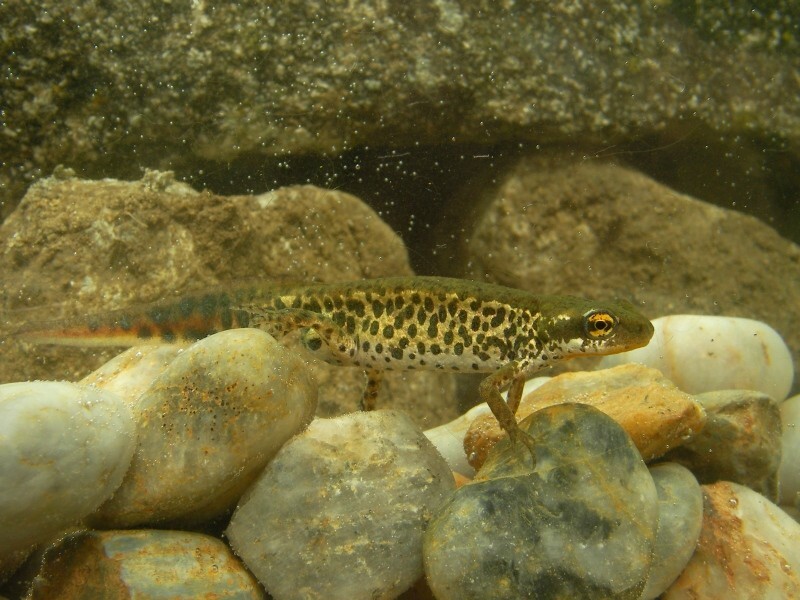 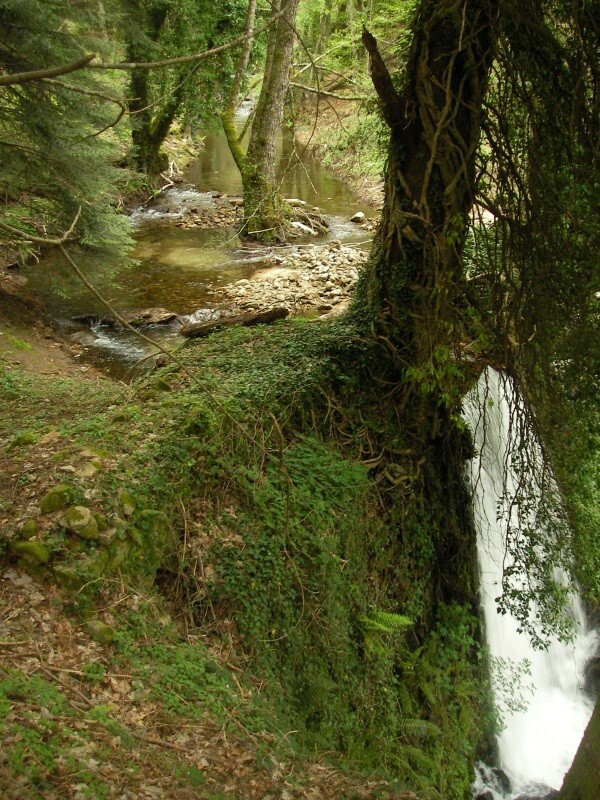 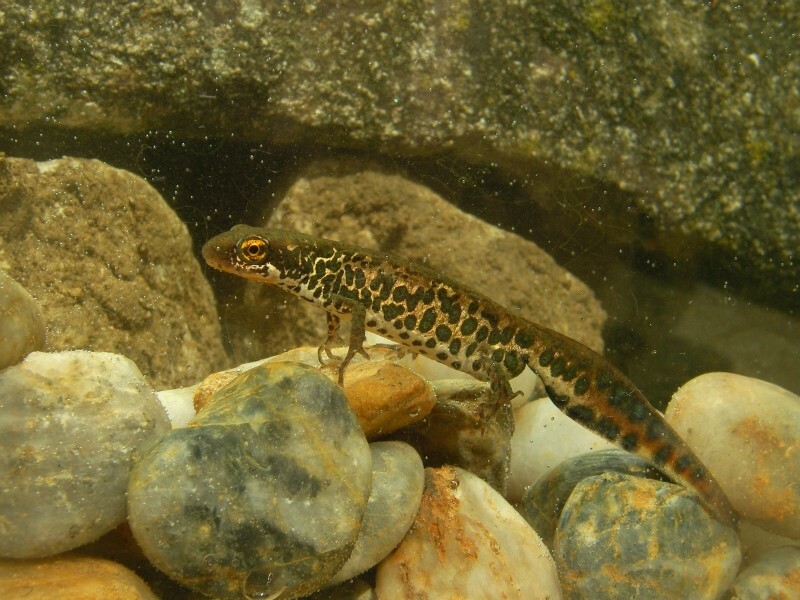 Thomas and Ida already spent three days in Calabria before our arrival and had found a nice waterbasin for the next Urodele species which was high on everyone's wishlist. 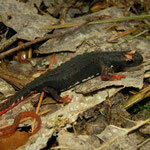 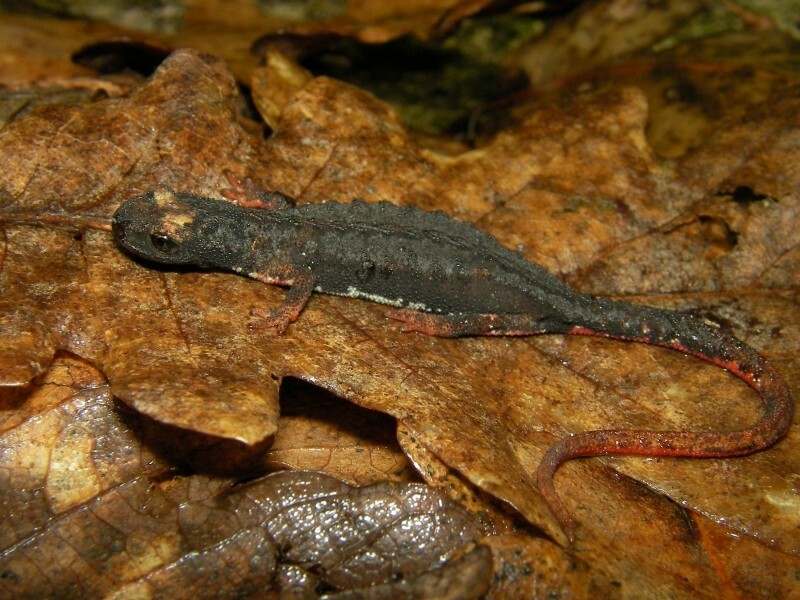 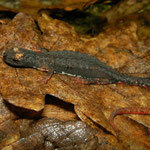 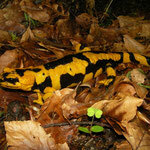 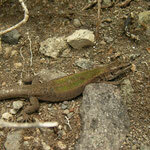 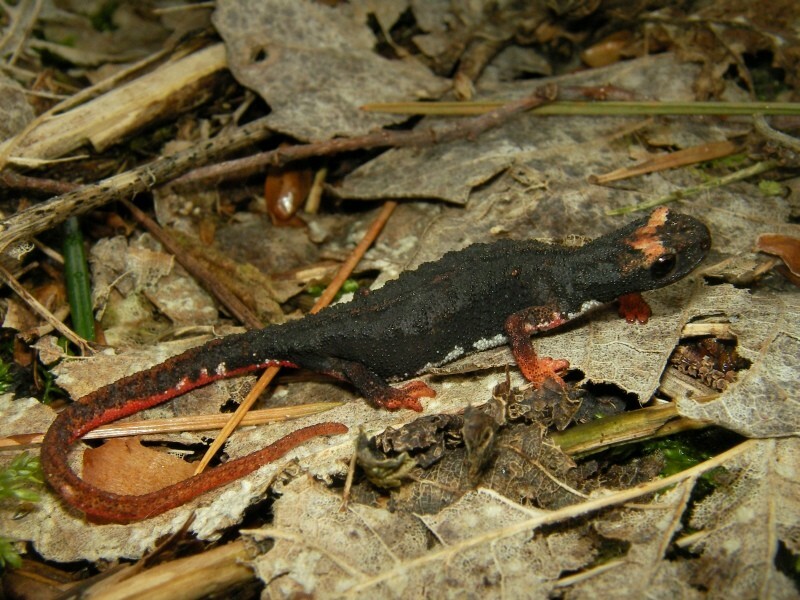 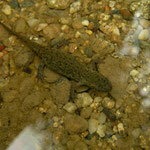 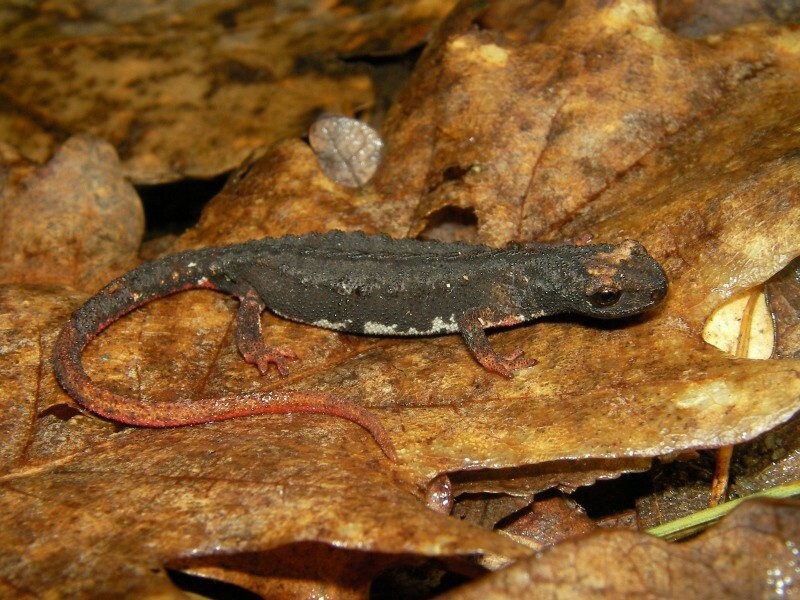 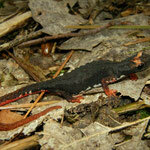 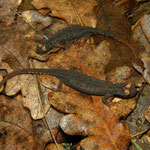 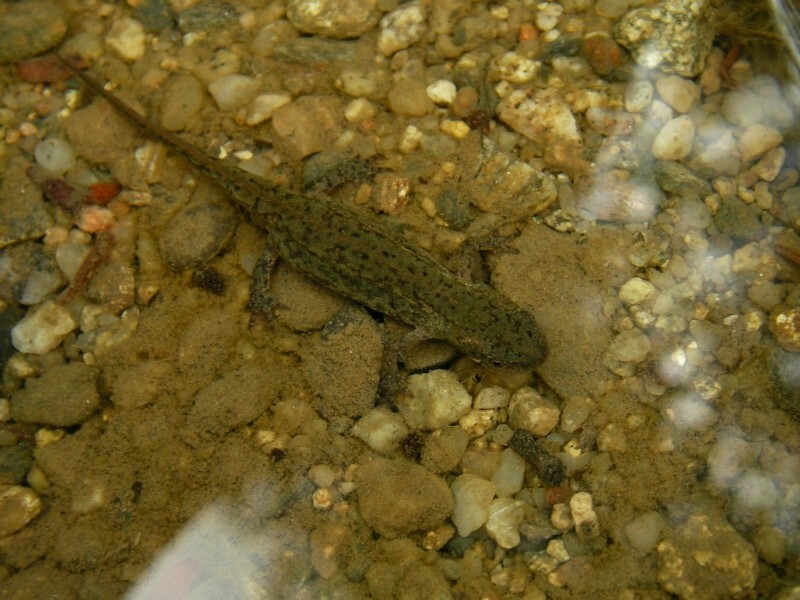 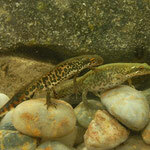 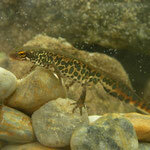 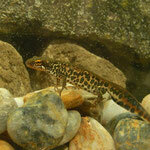 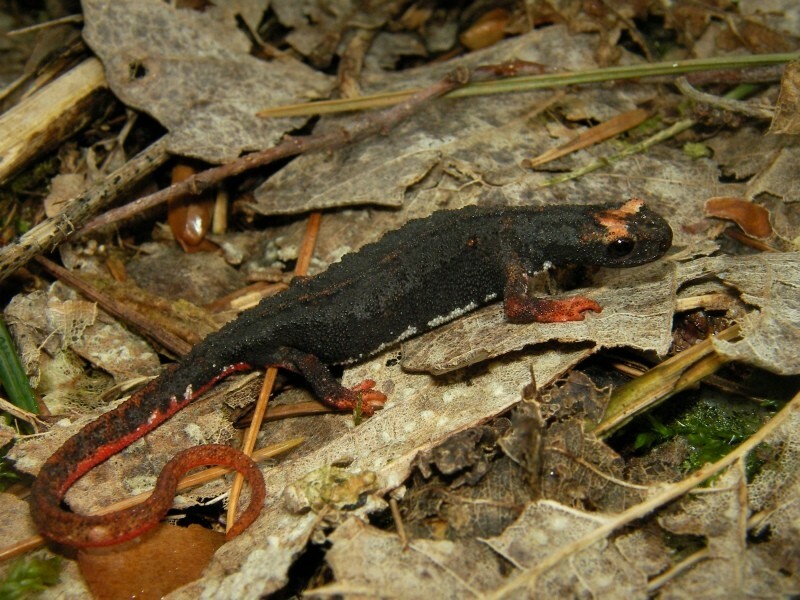 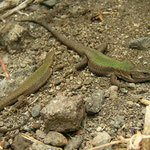 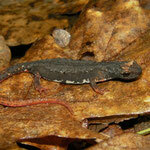 A long drive through the mountains led us to the site and Italian Newt (Lissotriton italicus) was quickly found. 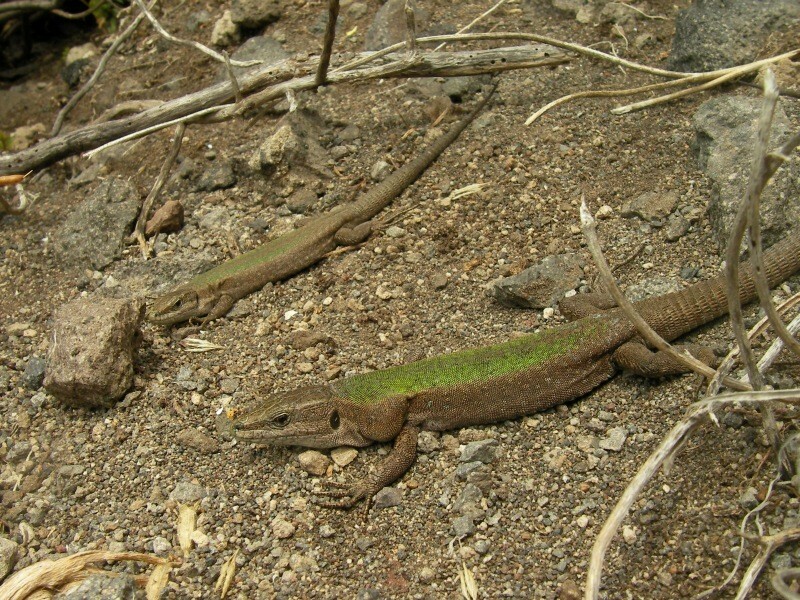 Other species here were Italian Stream Frog, Italian Wall Lizard, Western Green Lizard (Lacerta bilineata) and Western Whip Snake (Hierophis viridiflavus). 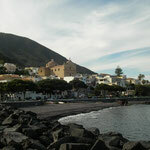 Then it was time to move on to our stay for two nights, a nice Hotel in Serra San Bruno. 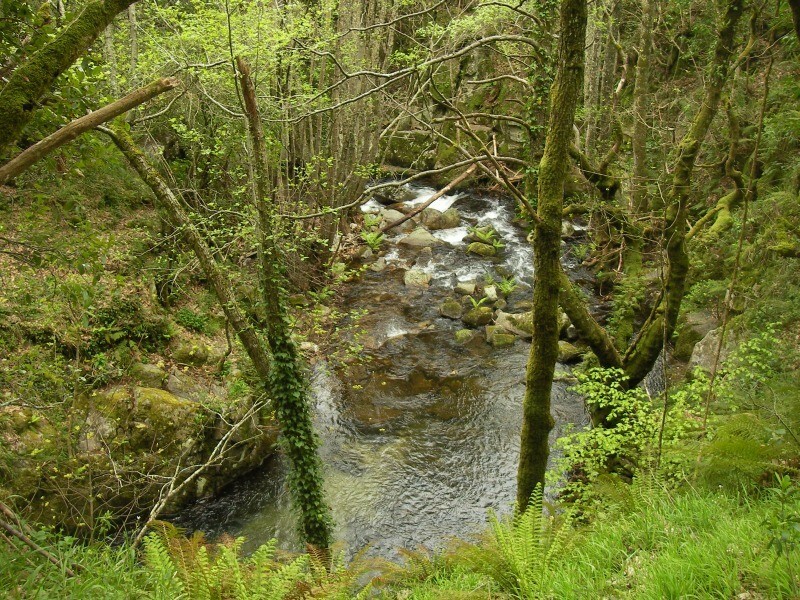 First we visited a good looking place in the vicinity to search for snakes but with the changing weather conditions we weren't any succesful. 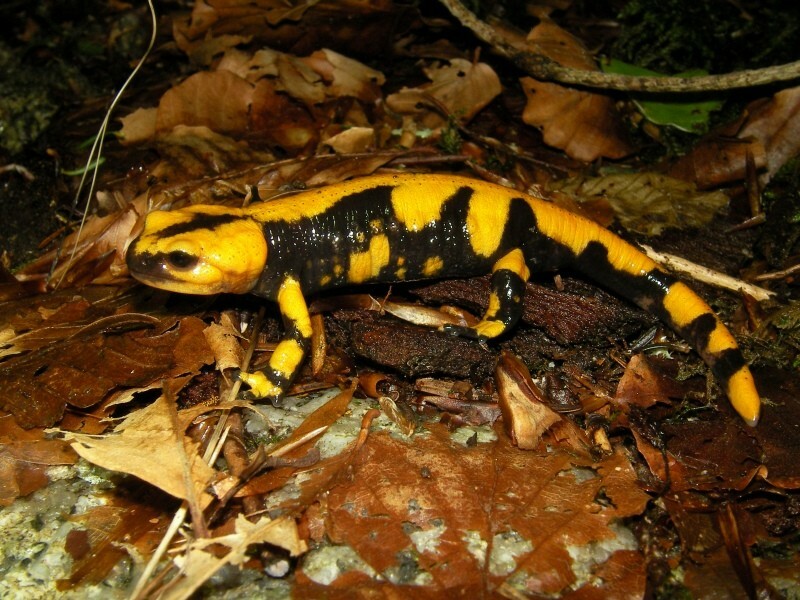 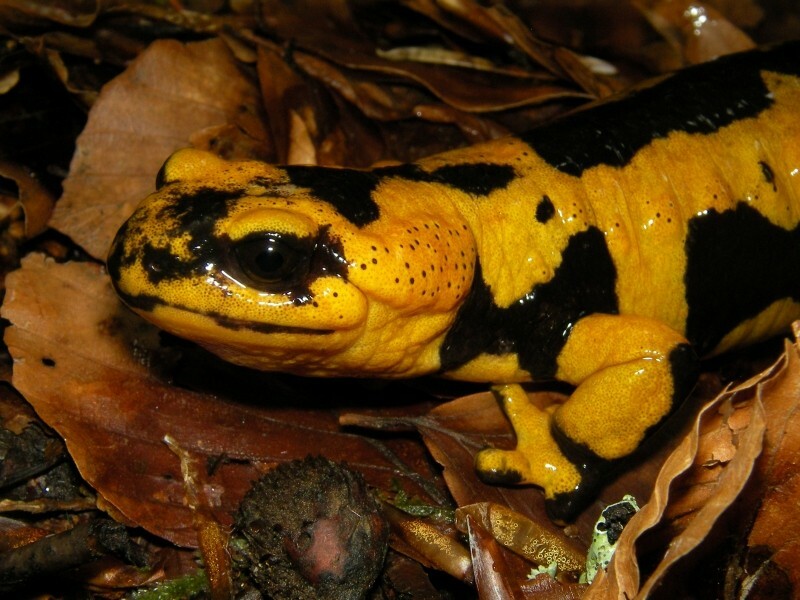 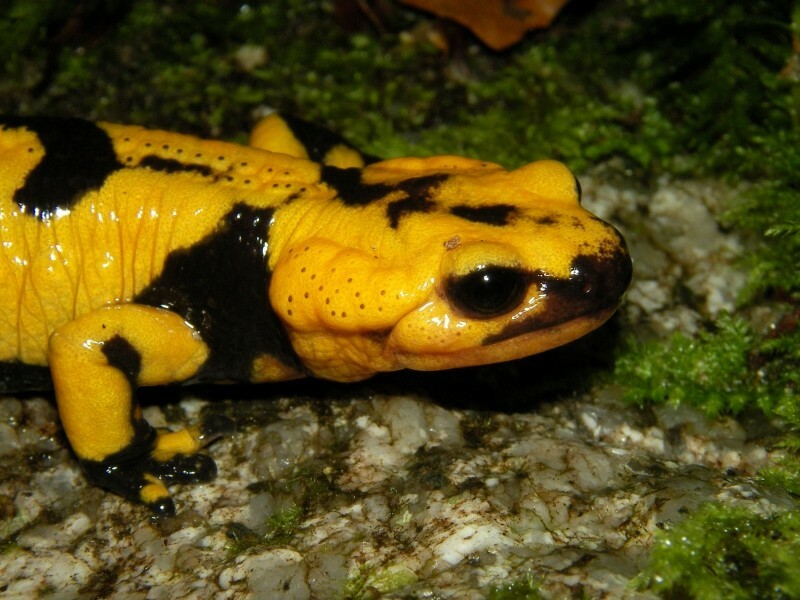 We drove on into an old forest on the outskirts of Serra San Bruno where several Fire Salamanders (Salamandra salamandra) were quickly found. 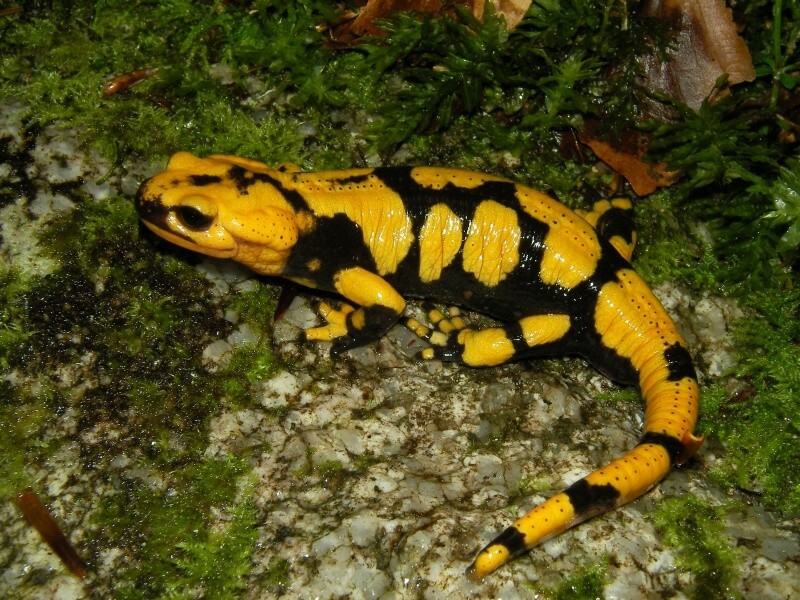 A quick meal and a stop at Hotel Fontanella followed and while most of the group headed for an early night, GJ and I decided to check the salamanderwoods by night and found a single salamander. 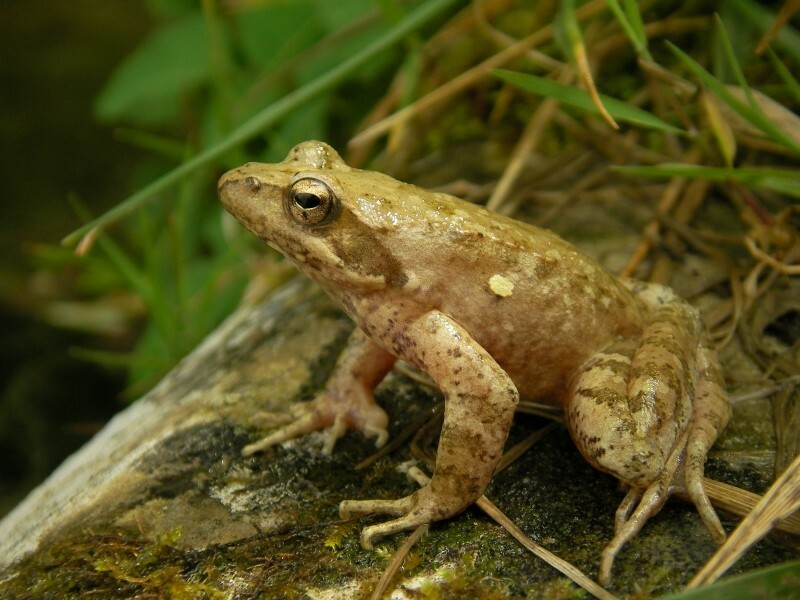 While driving back we stopped for a hedgehog disguised as a chunk of dirt and heard Italian Tree Frogs (Hyla intermedia) calling from lower down in the valley. 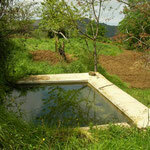 We parked the car, climbed over a fence and found a beautiful concrete cattle trough with many calling males. 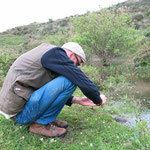 A splendid ending of a succesful first day! 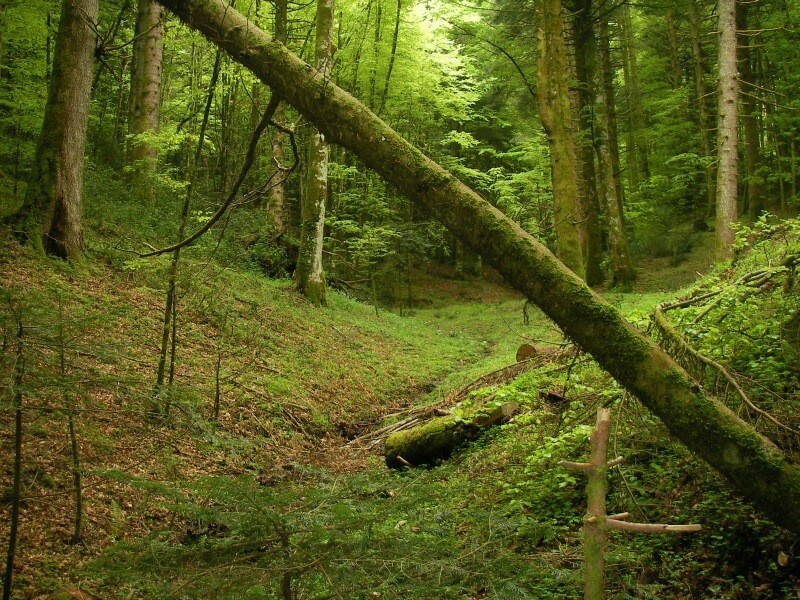 The day started heavily overcast so we decided to check the salamanderwoods again and visit a beautiful abandoned monastery hidden in the woods I found by Google Earth. 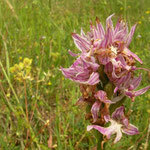 A good choice as we could find an additonal 9(!) 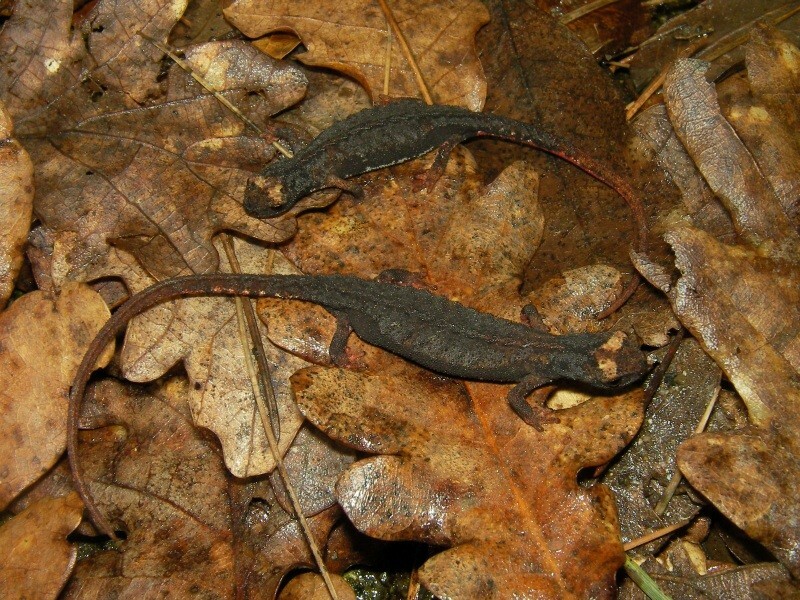 Southern Spectacled Salamanders around its walls next to a big Common Toad. 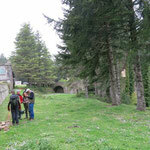 With the sun reluctant to come out we decided to check the sunnier lowlands and searched around Lago Angitola. 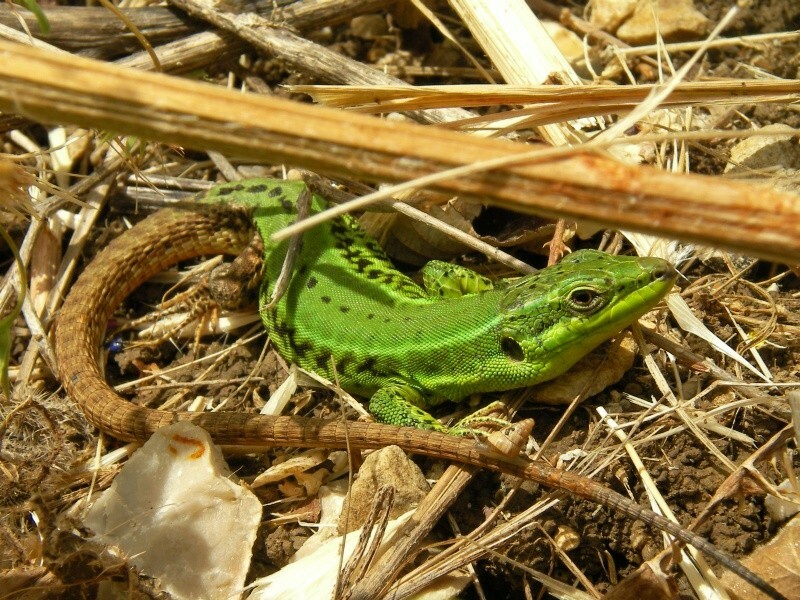 Here we found Italian Wall Lizard, Western Green Lizard, Italian Three-toed Skink (Chalcides chalcides), Western Whip Snake, Grass Snake (Natrix natrix), Edible Frog (Pelophylax kl. 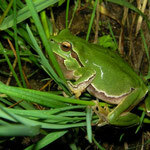 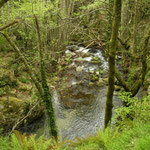 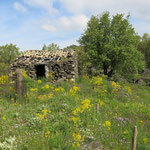 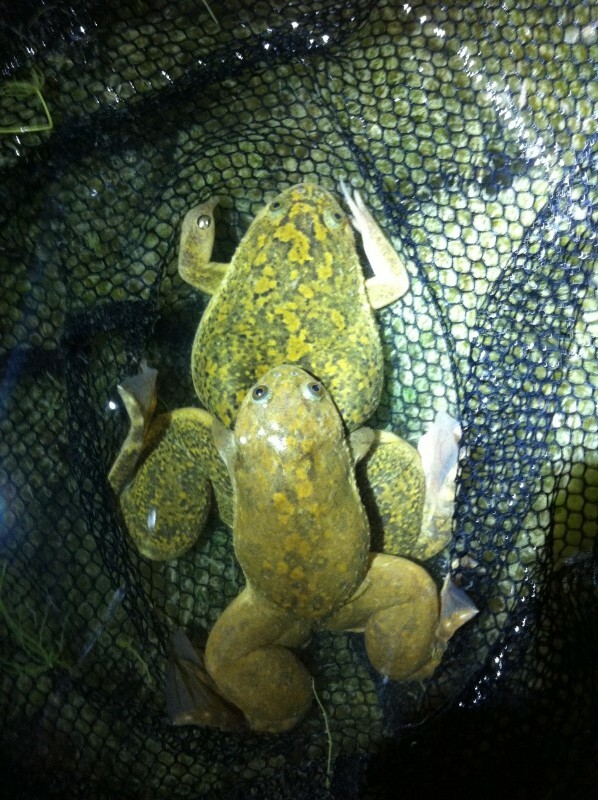 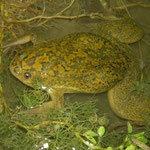 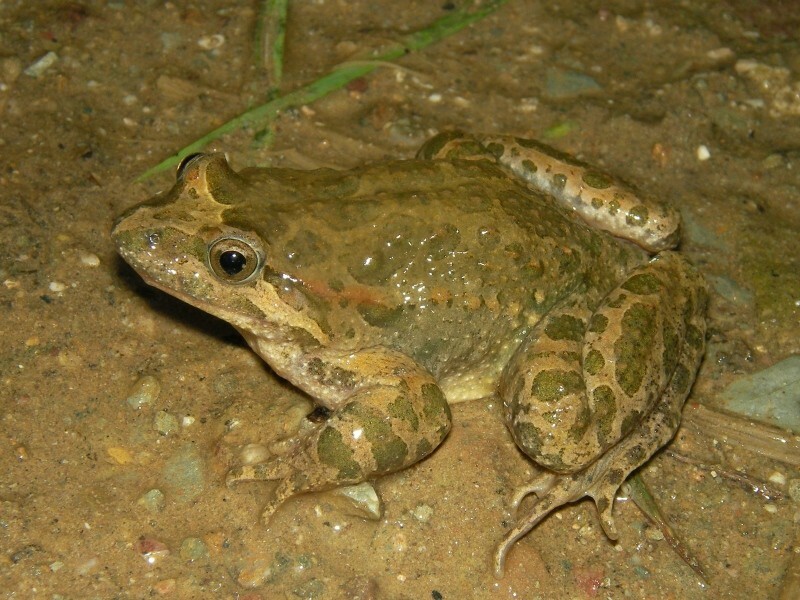 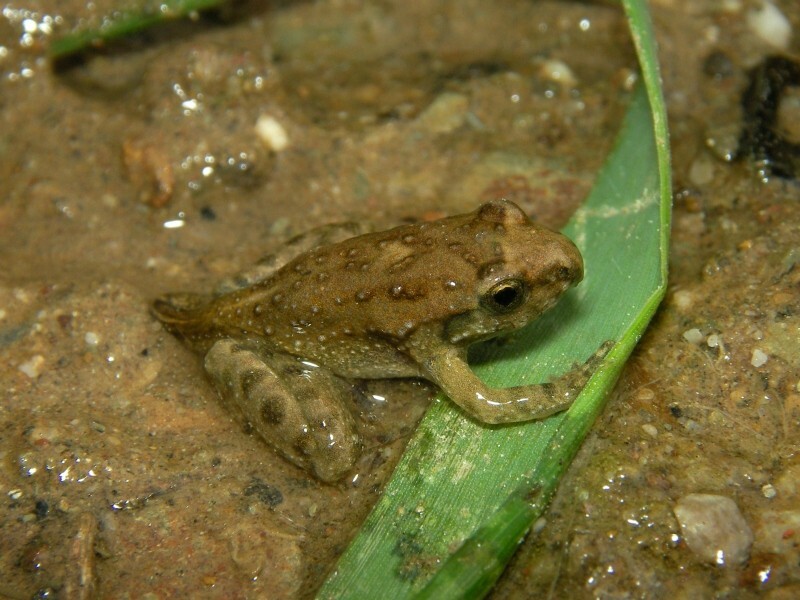 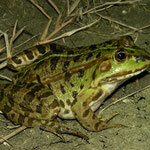 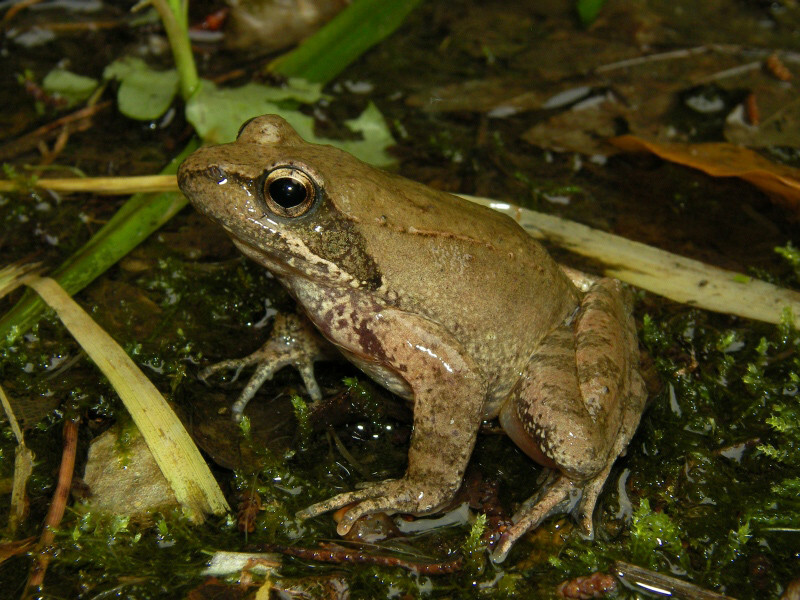 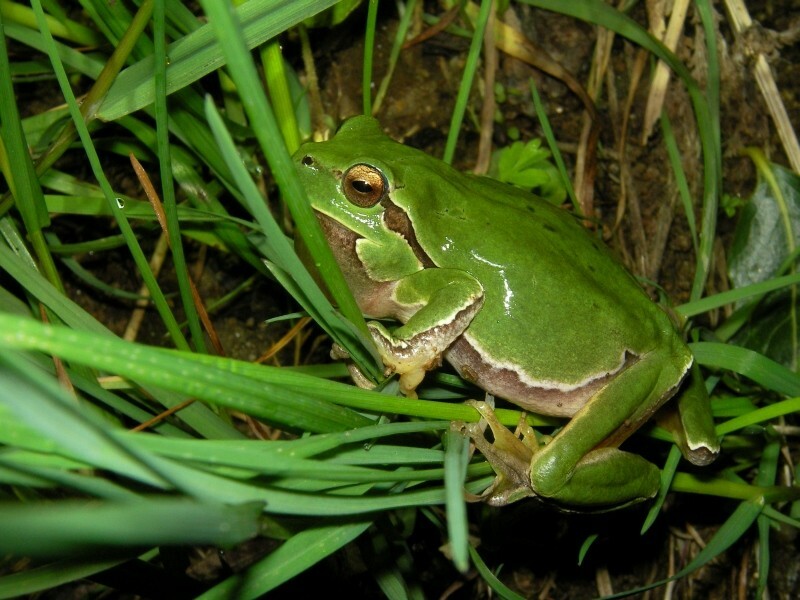 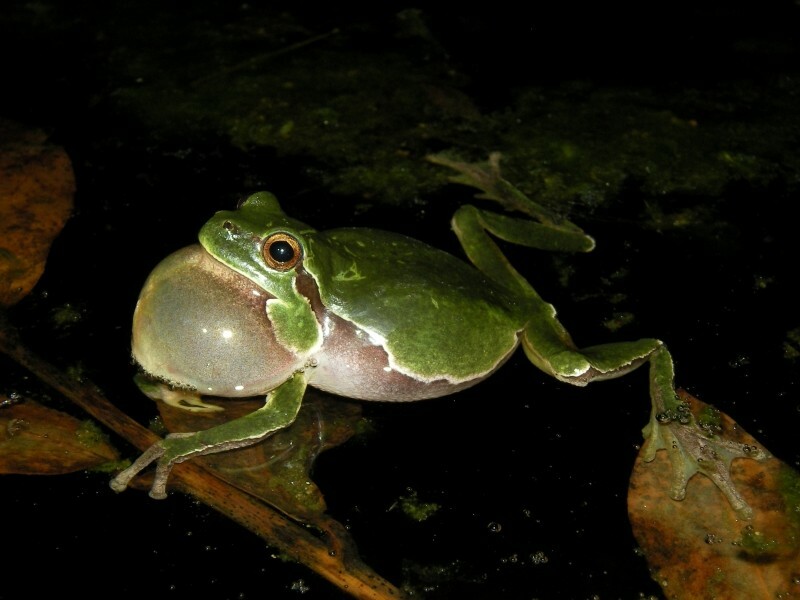 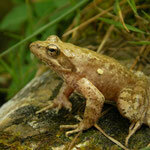 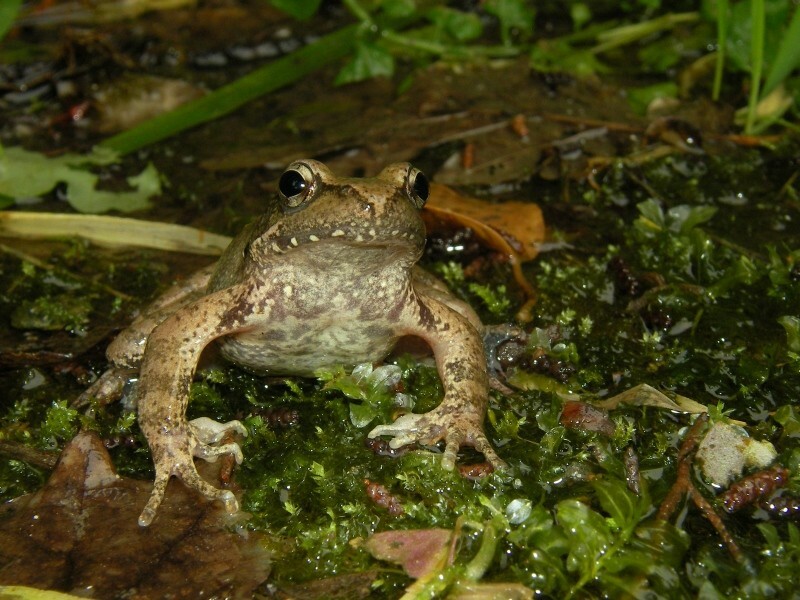 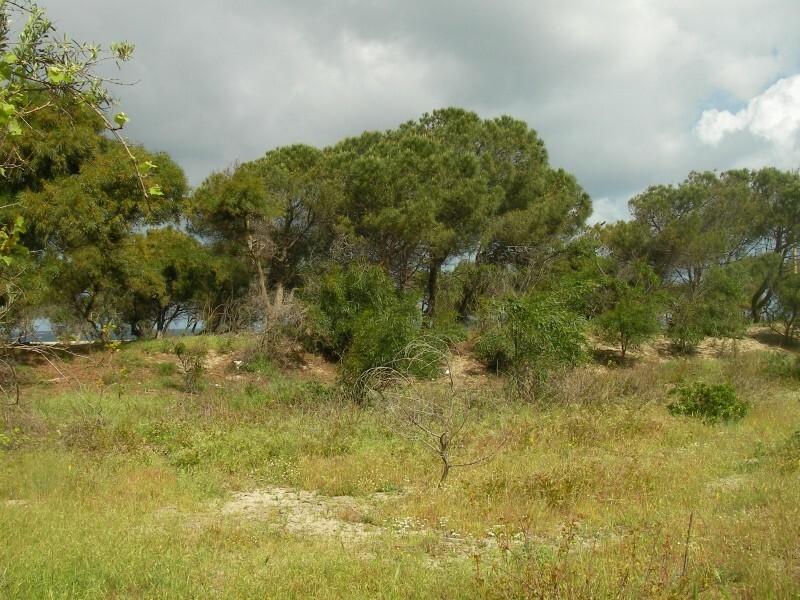 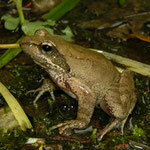 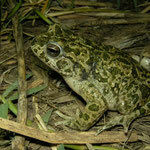 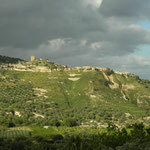 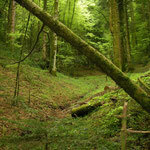 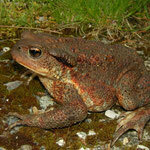 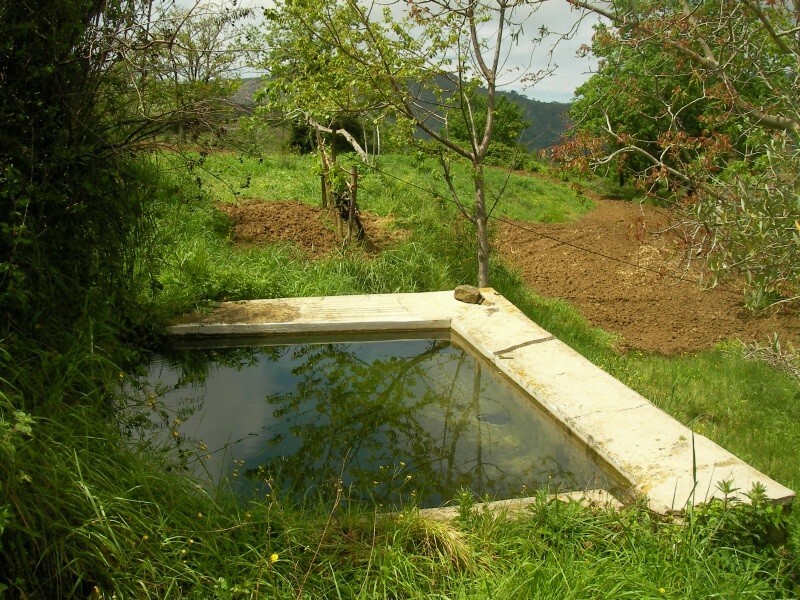 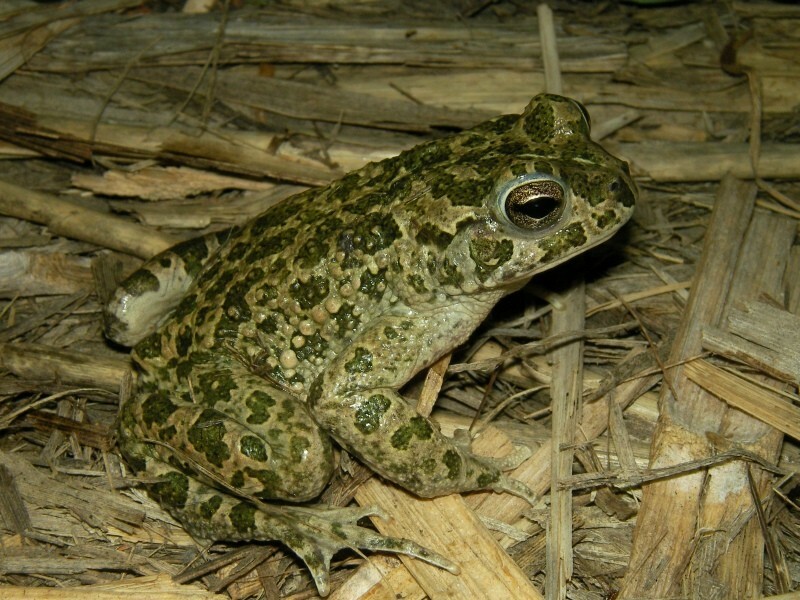 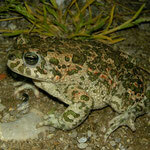 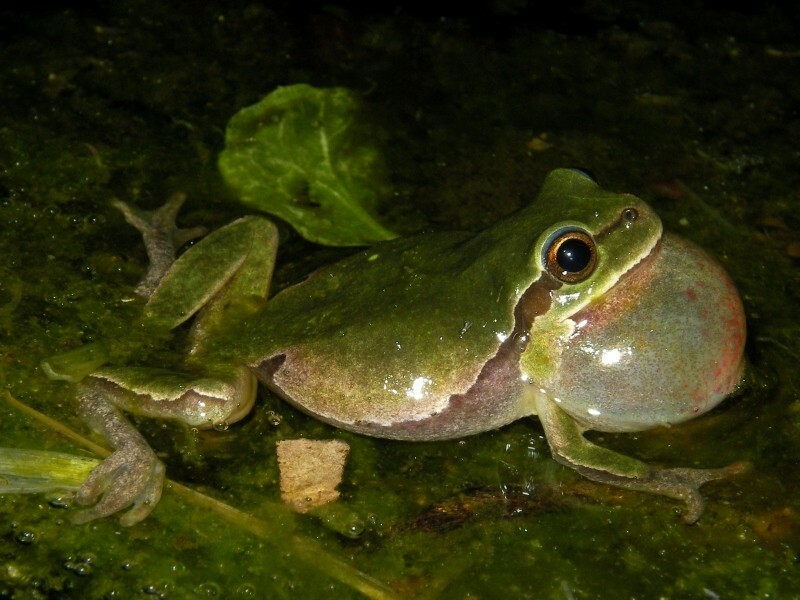 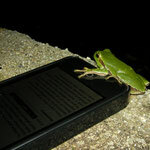 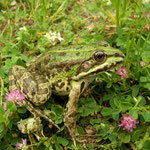 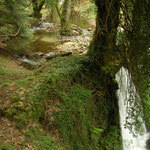 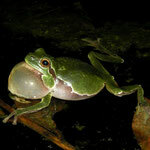 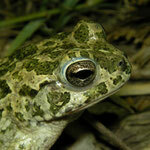 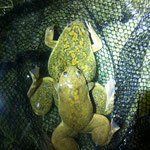 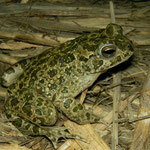 esculentus) and calling Italian Tree Frogs and Green Toads (Bufotes viridis balearicus). 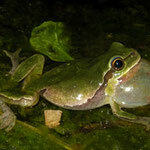 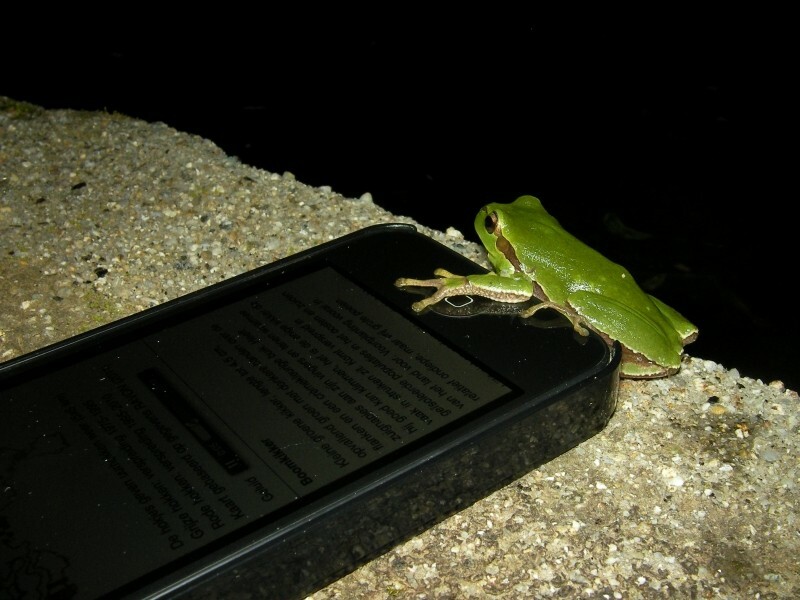 Still no sign of the much wanted Italian Aesculapian Snake... After dinner some of us went out to check the Tree Frog place again while I decided to go for an early night. 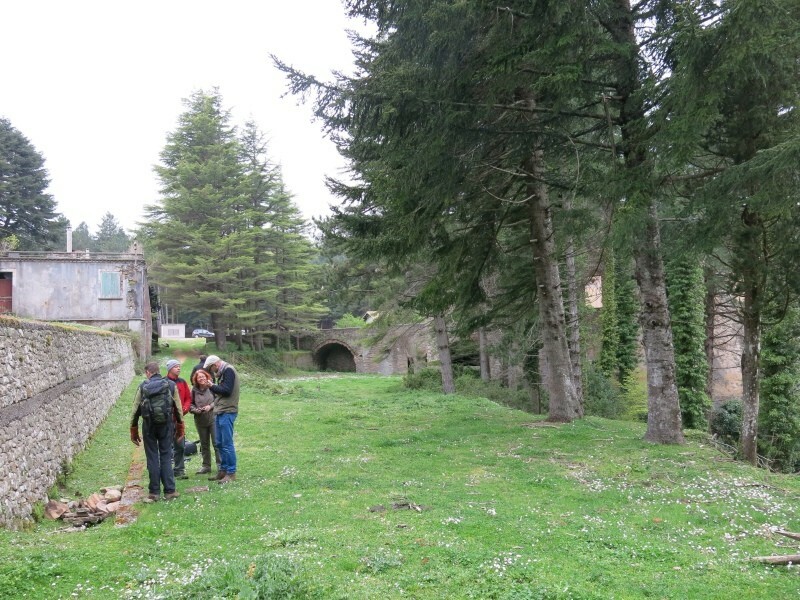 Still very clouded, windy and rainy so we decided to check some places on the eastern slopes of the Aspromonte mountains. 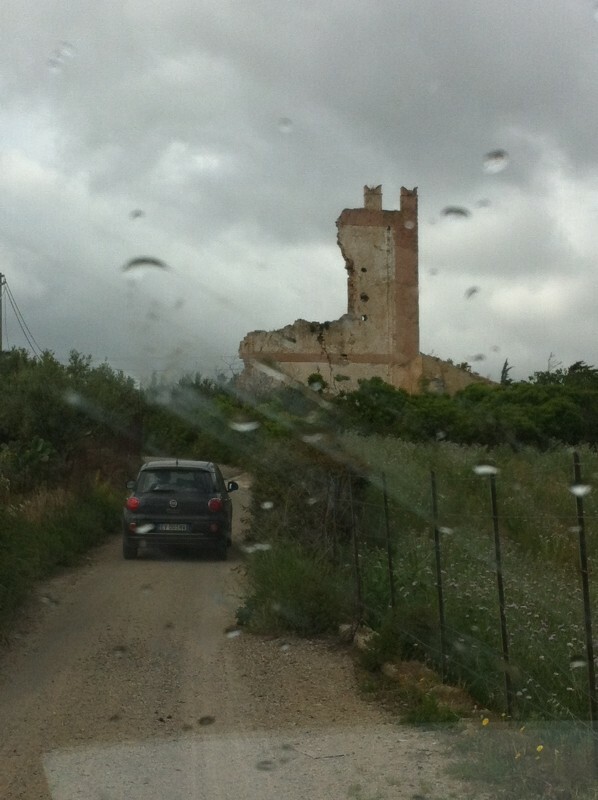 Weather was not on our side and neither were the Italian roads. 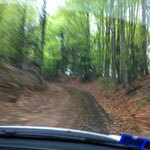 After driving for a long time over winding roads and almost reaching the first search site the road was blocked. 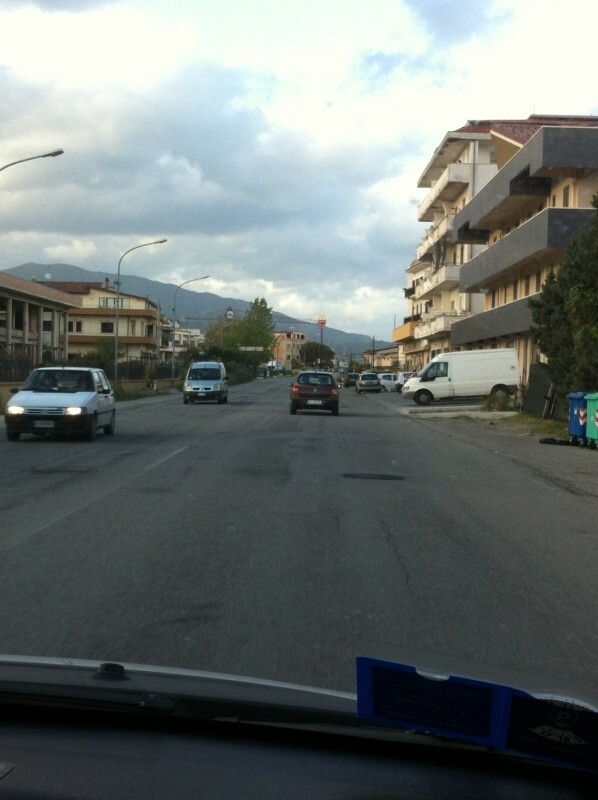 Thanks for notifying us Italian road constructors! 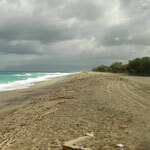 After another long drive we arrived at the site. 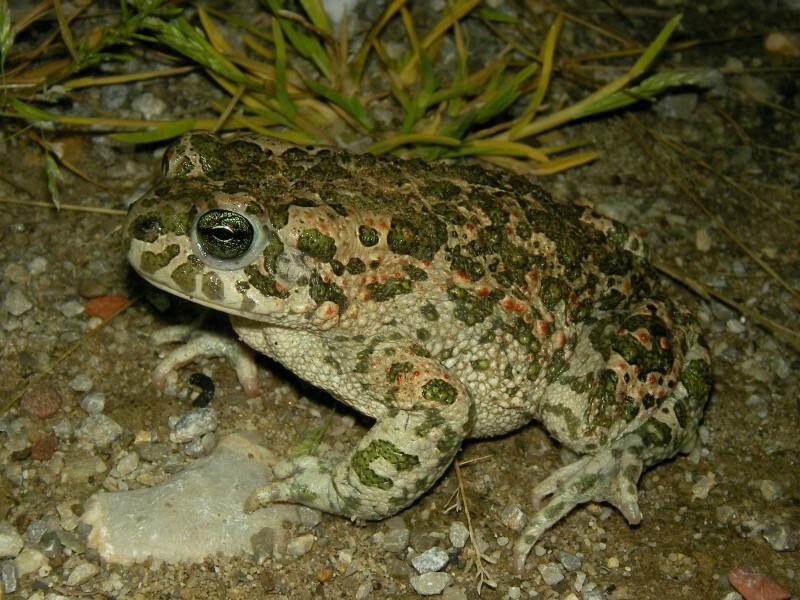 Finding Yellow-bellied Toads here is almost guaranteed but with the strongs gusts of arctic wind the water was blown into our faces and no toads were found. 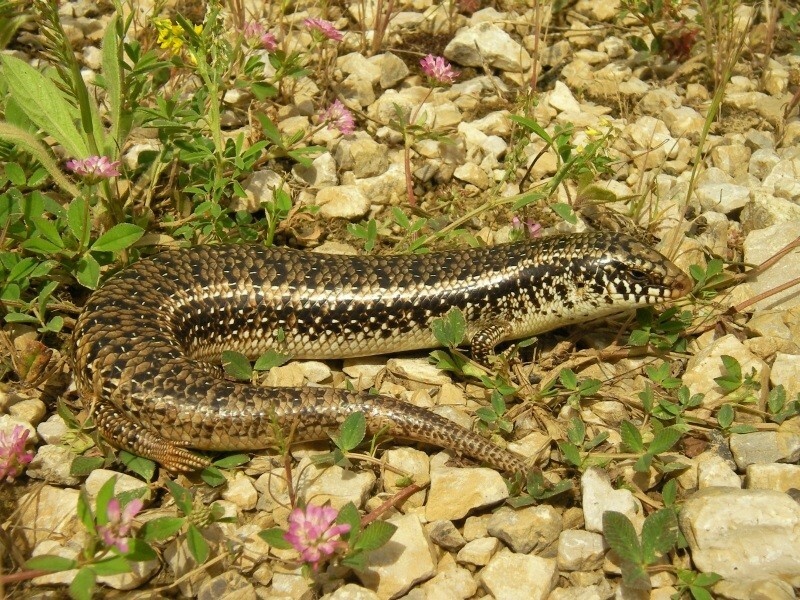 We checked several stream beds along the way and found in almost every one of them Italian Newt and Italian Stream Frog but no sign of the toads... Lower down the slopes the sun came out and we went for another Aesculapian Snake search in agricultural land and found Western Whip Snake, Italian Wall Lizard, Moorish Gecko (Tarentola mauritanica) and Turkish Gecko (Hemidactylus turcicus). 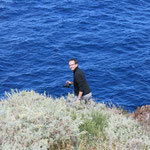 Things became a bit brighter after a fine dinner at the golden arches. 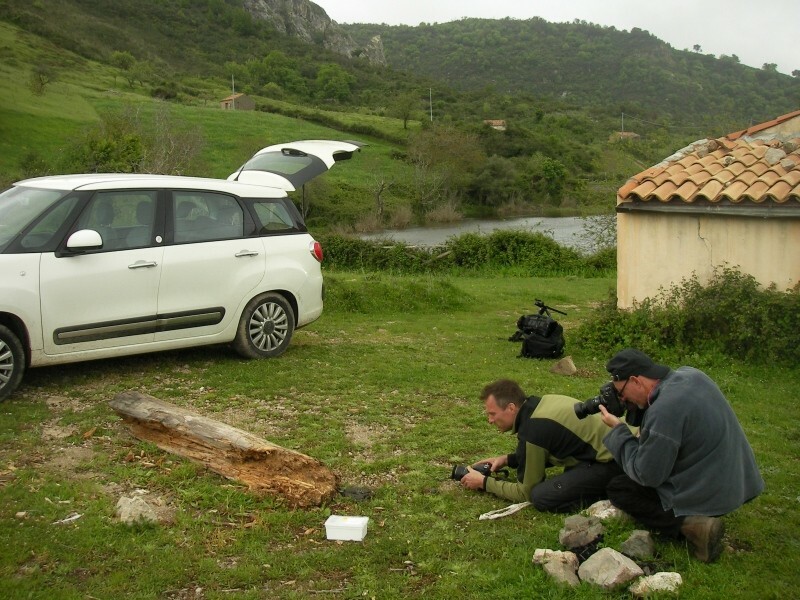 After a smooth drive we easily found Hotel Arcobaleno in Palmi and despite the raging winds GJ, Paul, Trev and I headed for a nocturnal search at a coastal site. 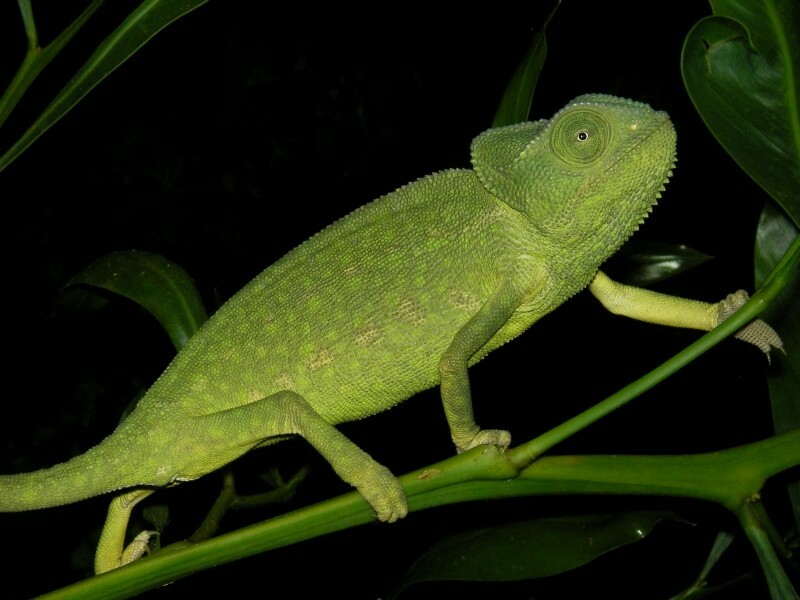 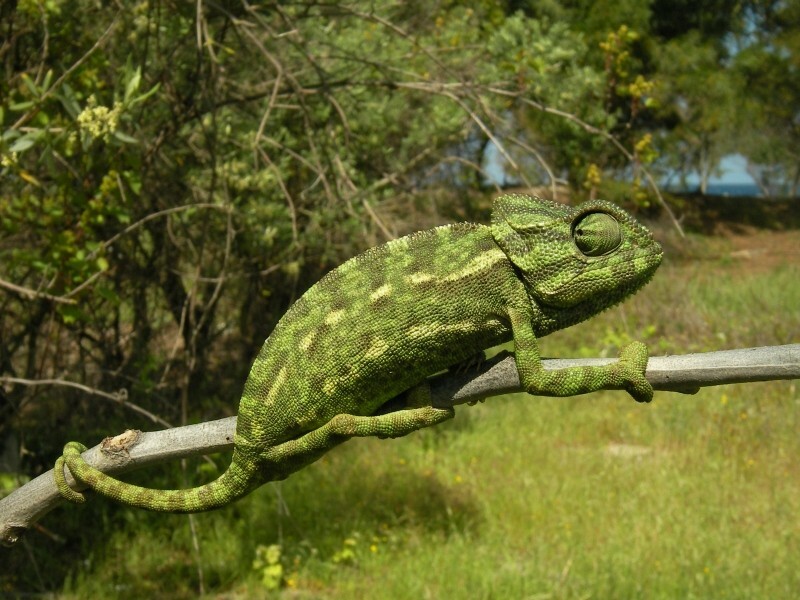 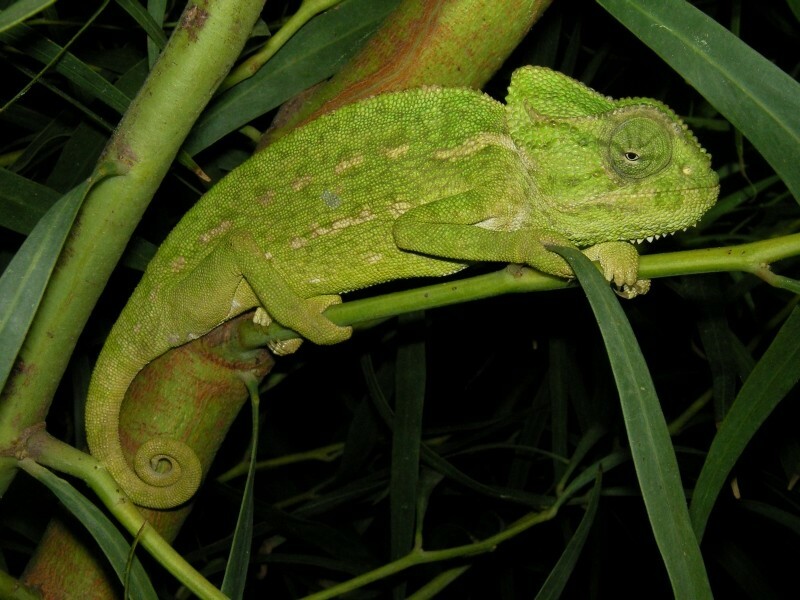 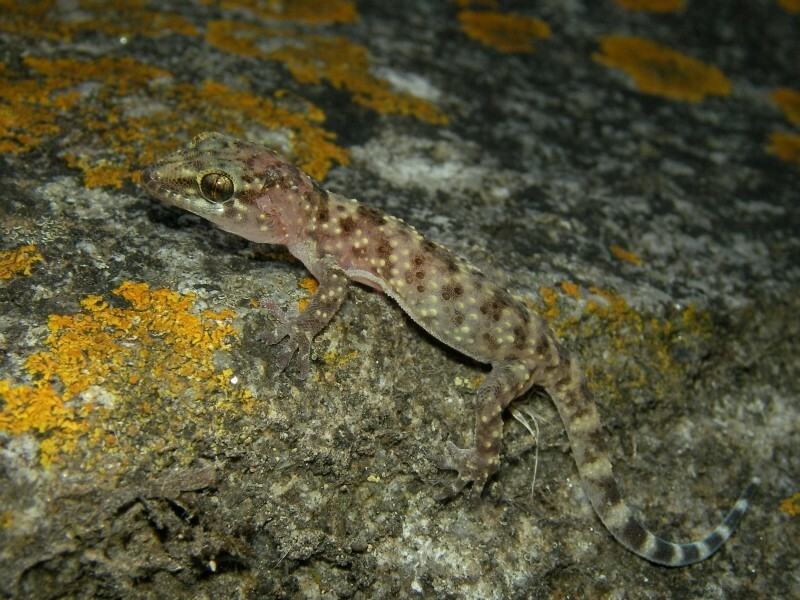 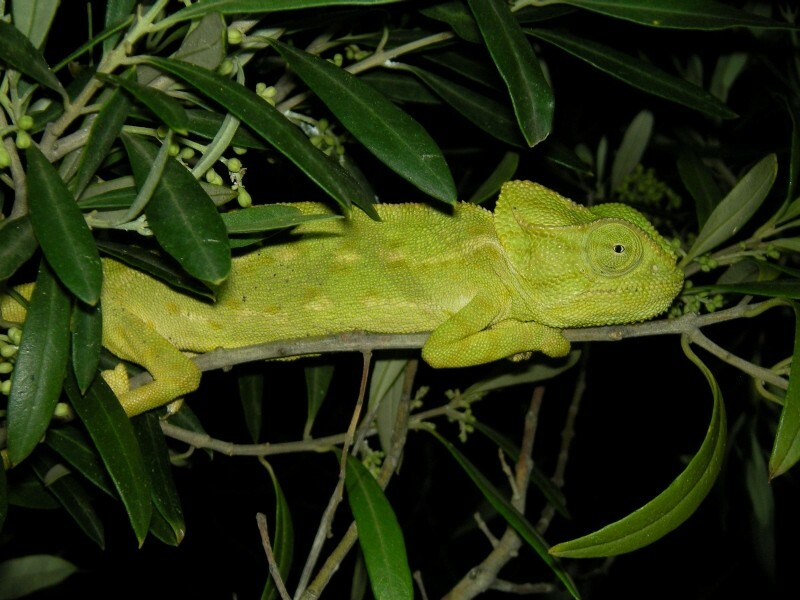 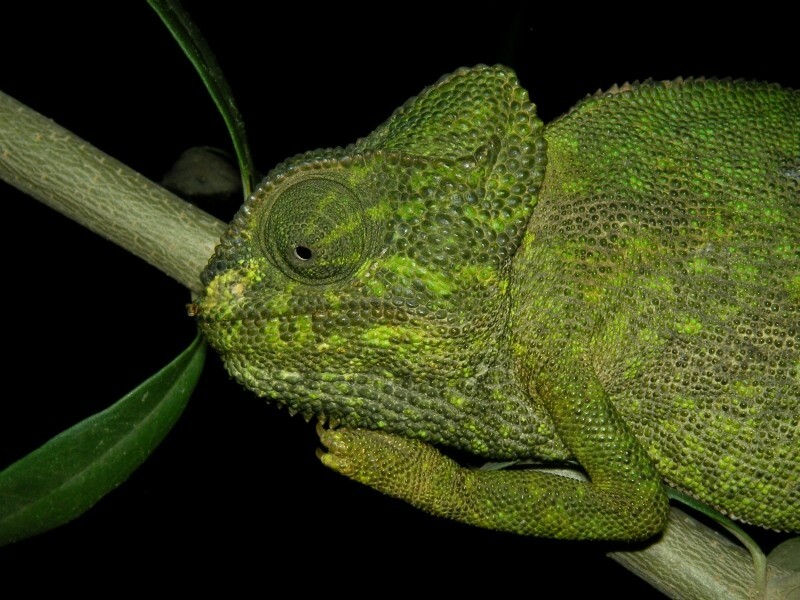 Mediterranean Chameleon (Chamaeleo chamaeleon) has been frequently sighted between 1994 and 2007 (Sperone et al., 2010) and we could indeed observe several individuals. 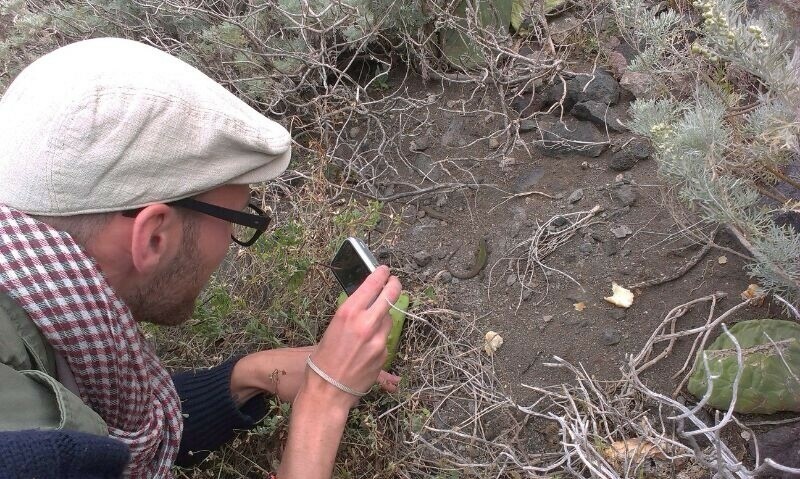 GJ found the first and I found an additional 6 animals. 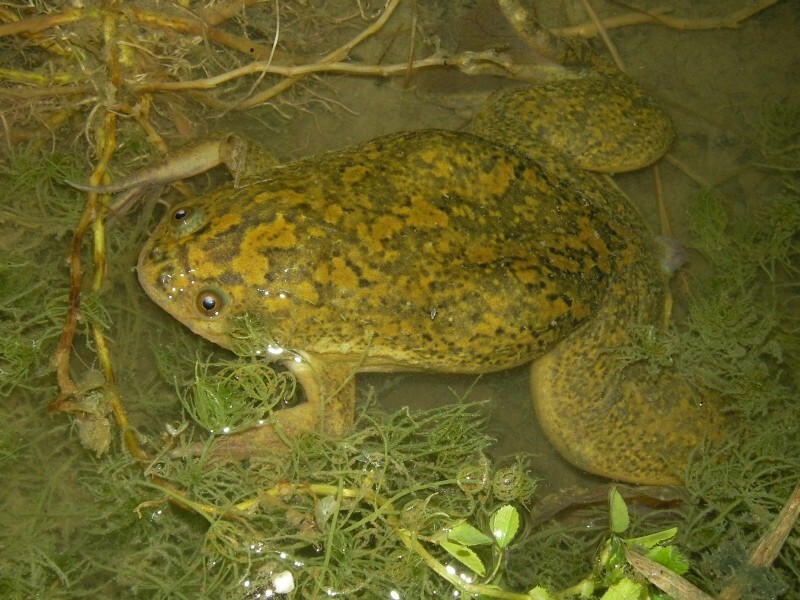 This species is not native to Italy and is most likely introduced by man. 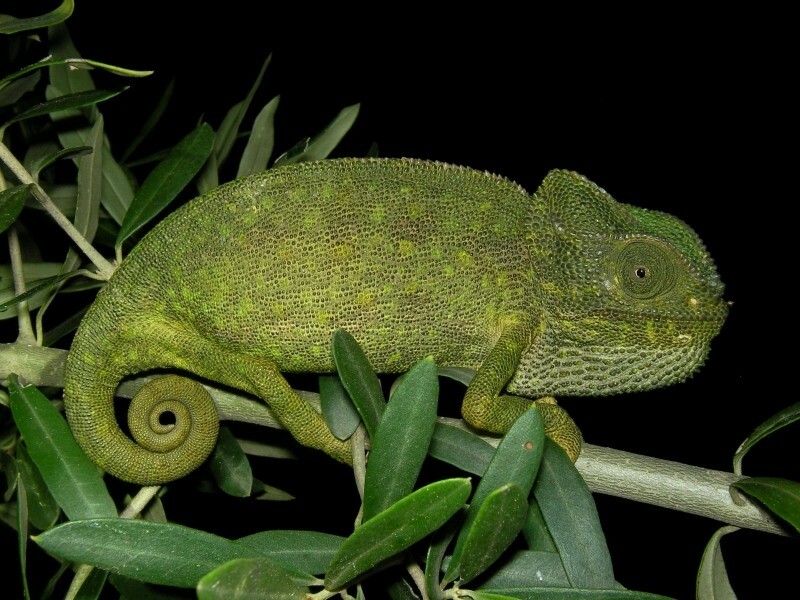 The spotted pattern of these animals slightly differs to that from other chameleons I have seen in Europe and reminds me of Moroccan chameleons I know from pictures. 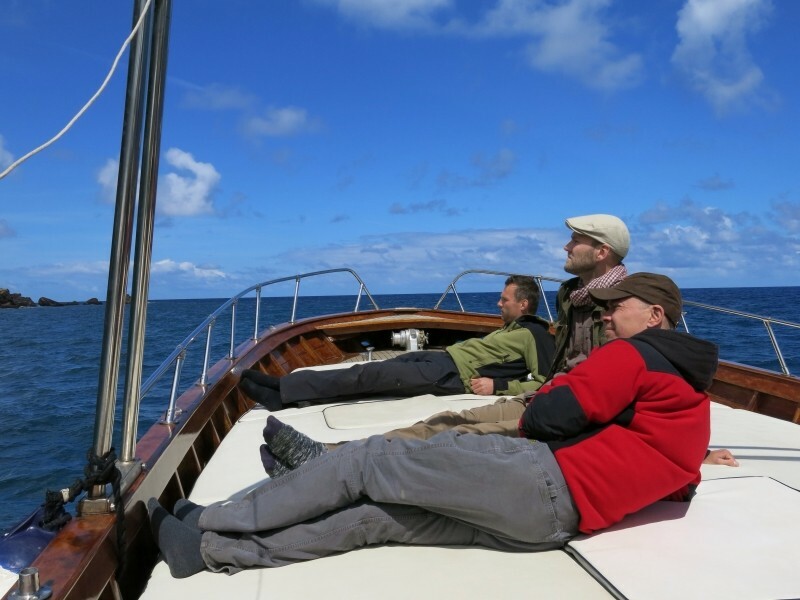 The wind never seems to stop! 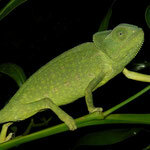 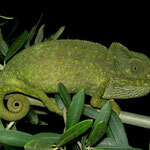 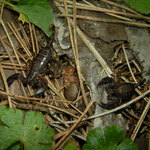 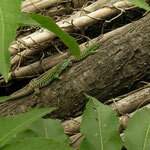 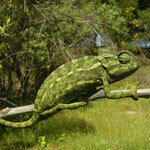 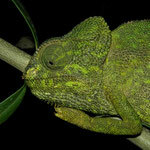 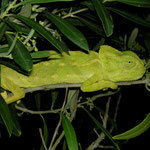 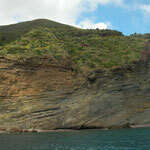 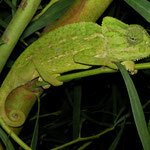 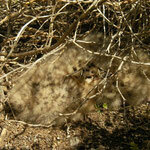 We visited the chameleon site again with the entire group and found some animals despite heavy winds. 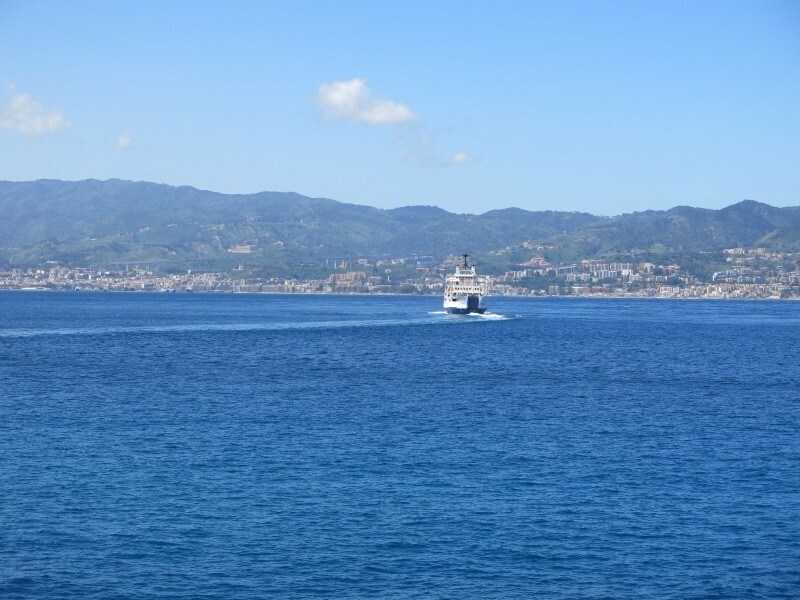 After some quick snap shots we drove towards Villa San Giovanni, said goodbye to the mainland and crossed the street of Messina to Sicily. 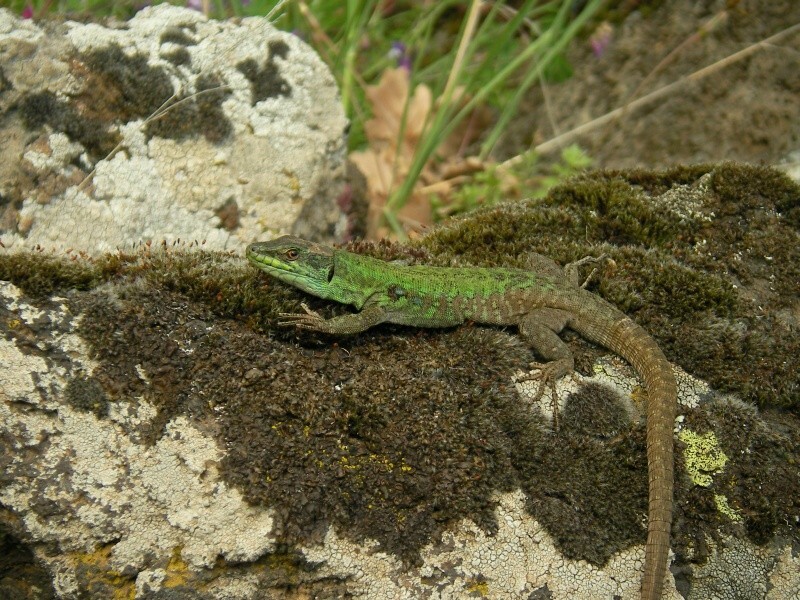 We checked in to our B&B for two nights in Sant' Agata di Militello and searched a bit in the garden finding our first Ocellated Skink (Chalcides ocellatus), Turkish Gecko and Italian Wall Lizard. 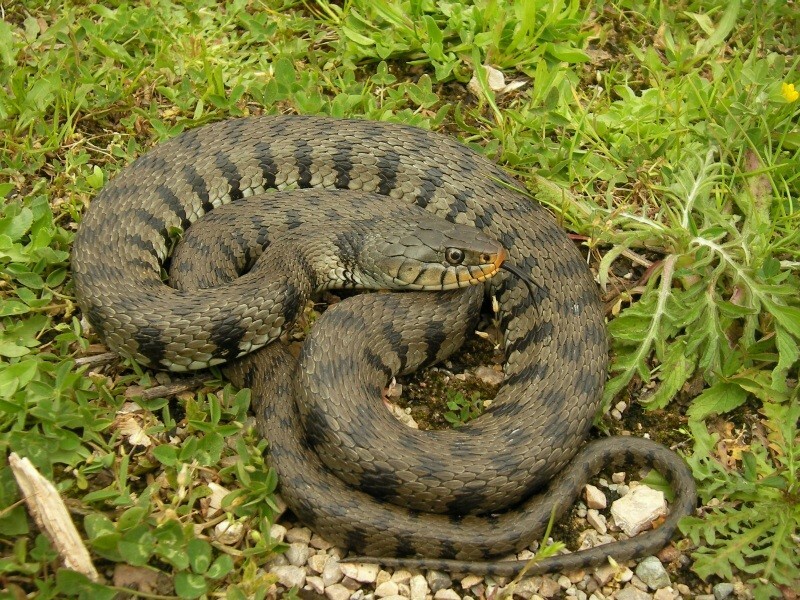 At a nearby lake we found two European Pond Terrapins (Emys orbicularis) and two Grass Snakes but with the arctic winds we only made some quick pictures and drove further downhill. 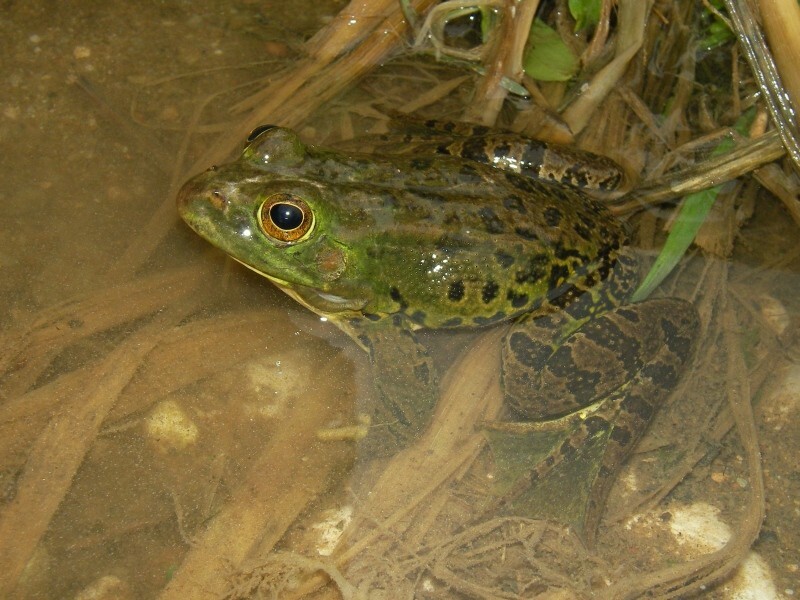 In water basins along the road we found many Pool Frogs (Pelophylax lessonae) and Painted Frogs (Discoglossus pictus). 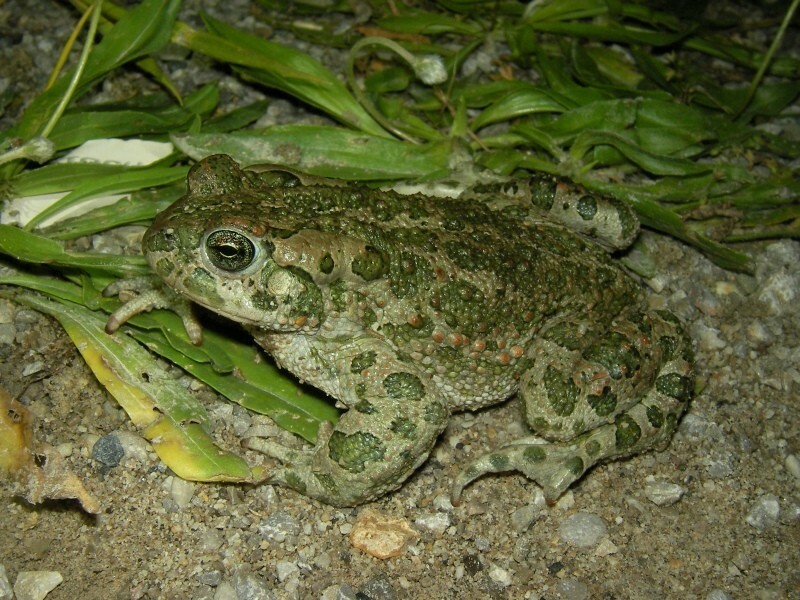 At the coast we had a delicious meal with spaghetti and squid and went for a known Green Toad location, while the site itself didn't deliver, the road towards the place did and we found two individuals sitting on the tarmac. 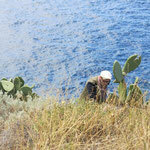 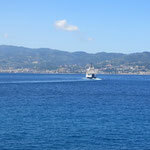 An early start this morning as we had to catch the hydrofoil from Milazzo to the Aeolian islands. 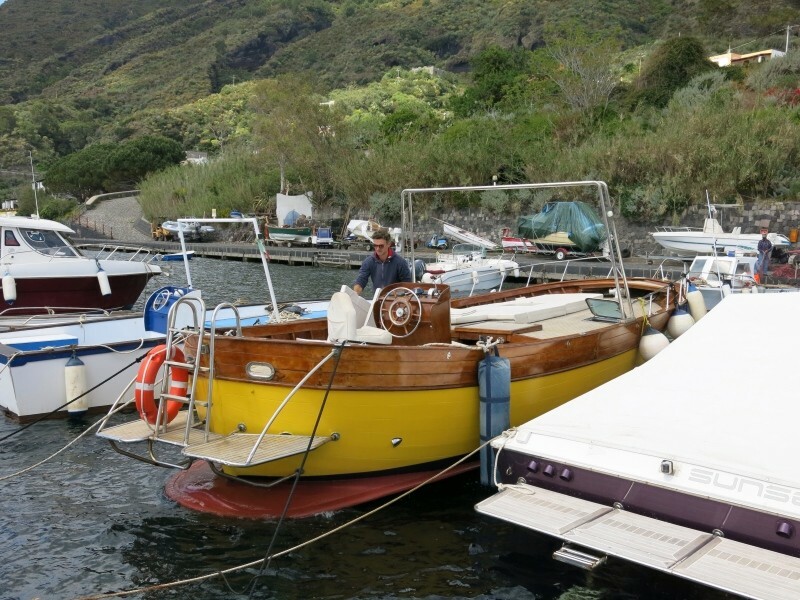 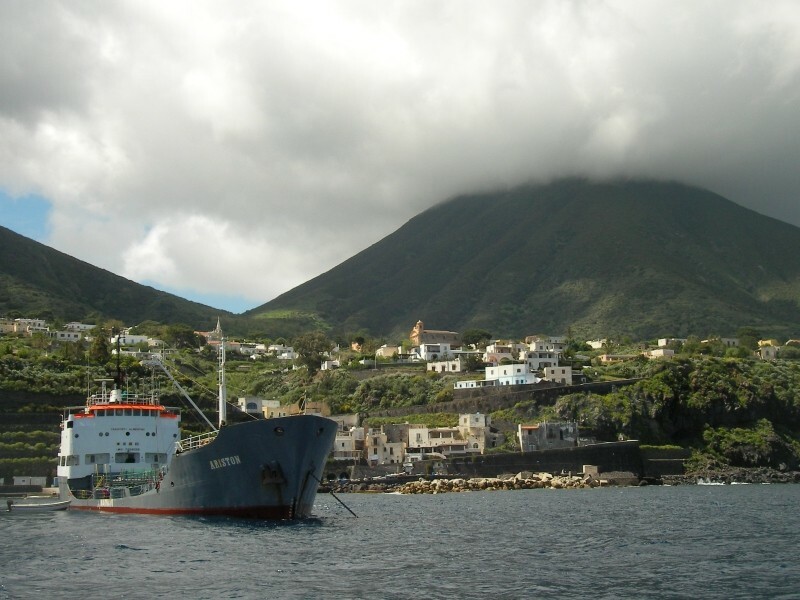 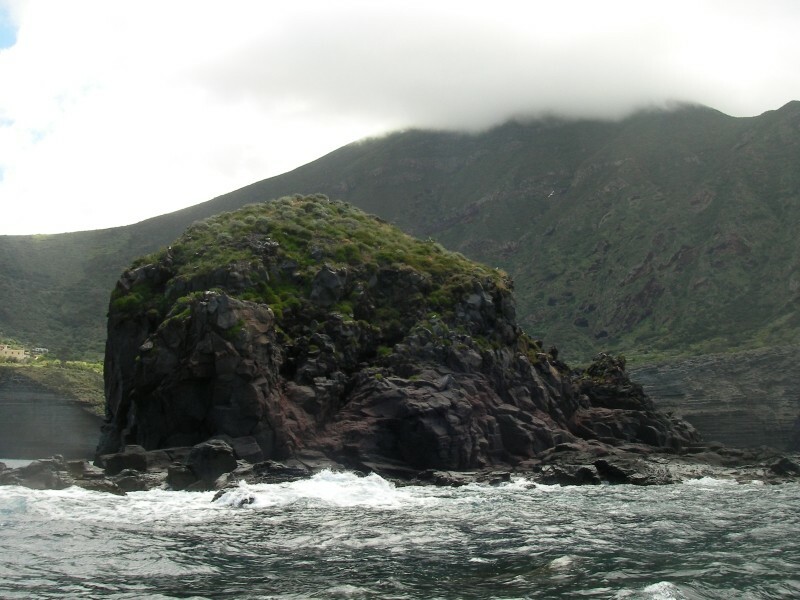 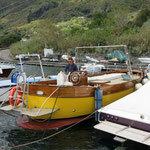 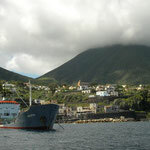 From Milazzo the hydrofoil brought us first to Vulcano and Lipari before arriving at Salina. 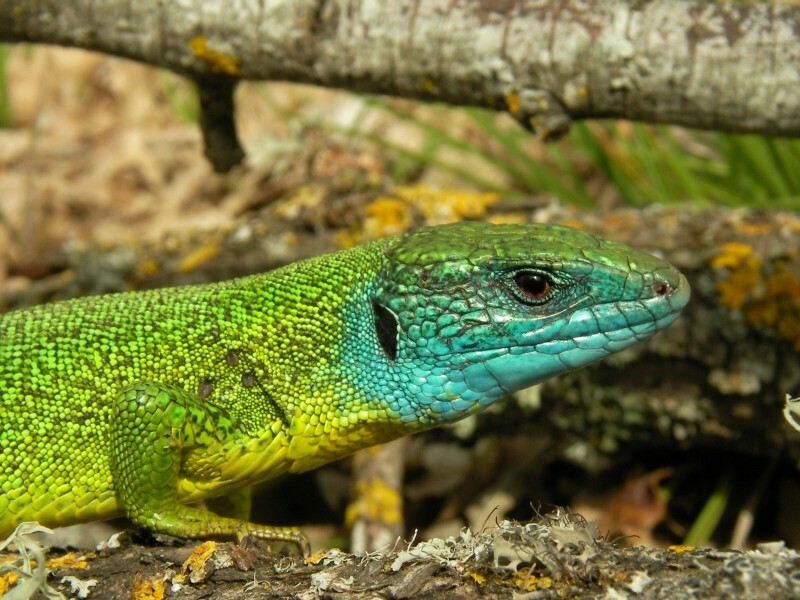 From Salina we arranged a small boat to visit the tiny islet of Scoglio Faraglione, home to one of the most endangered lizard species in Europe, the Aeolian Wall Lizard (Podarcis raffonei). 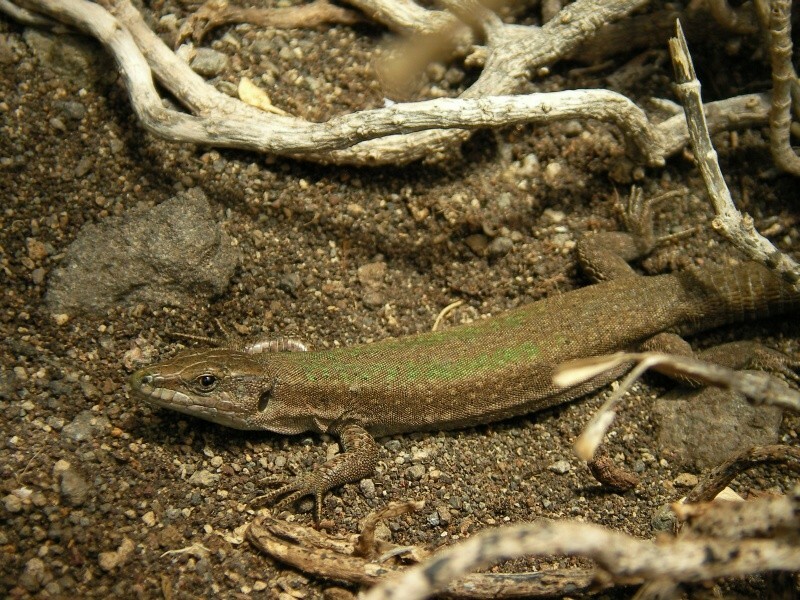 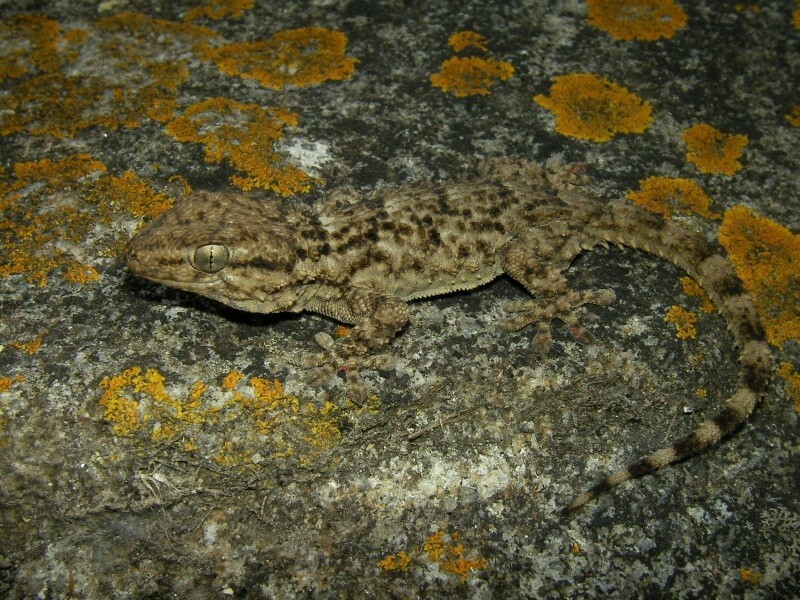 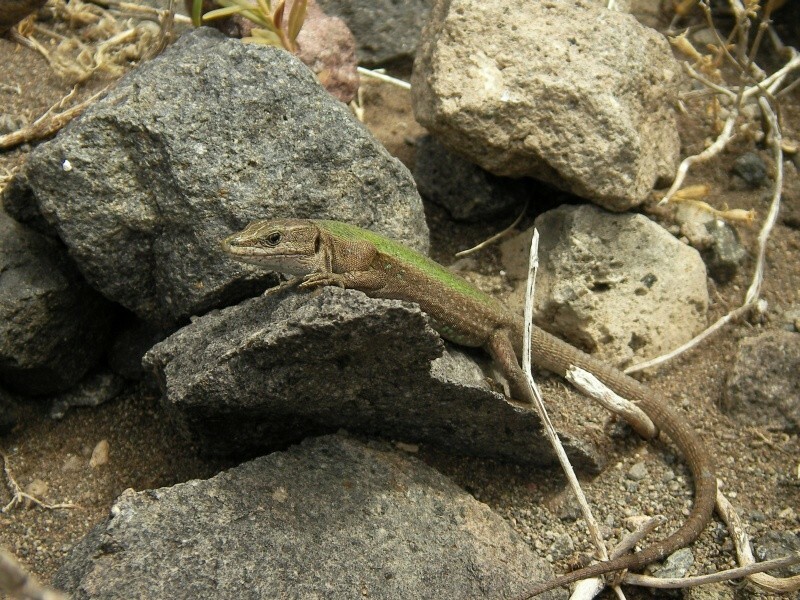 This Aeolian endemic used to have a more widespread distribution but due to competition with the introduced Italian Wall Lizard it can nowadays only be found on three small offshore rock formations (La Canna, Strombolicchio and Scoglio Faraglione) and just one small area of the island Vulcano (Lo Cascio & Capula, 2010). 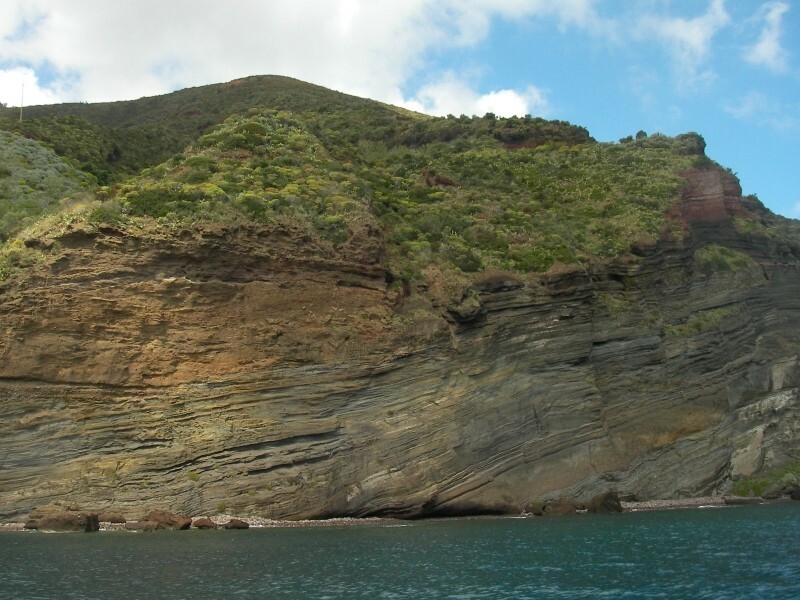 The small boatride took about 45 minutes, sailing past the beautiful vulcanic rock formations of Salina with many Eleonora's Falcons (Falco eleonorae) soaring over our heads. 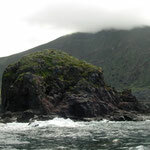 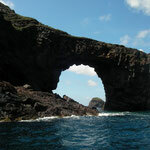 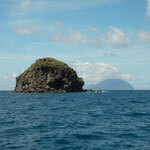 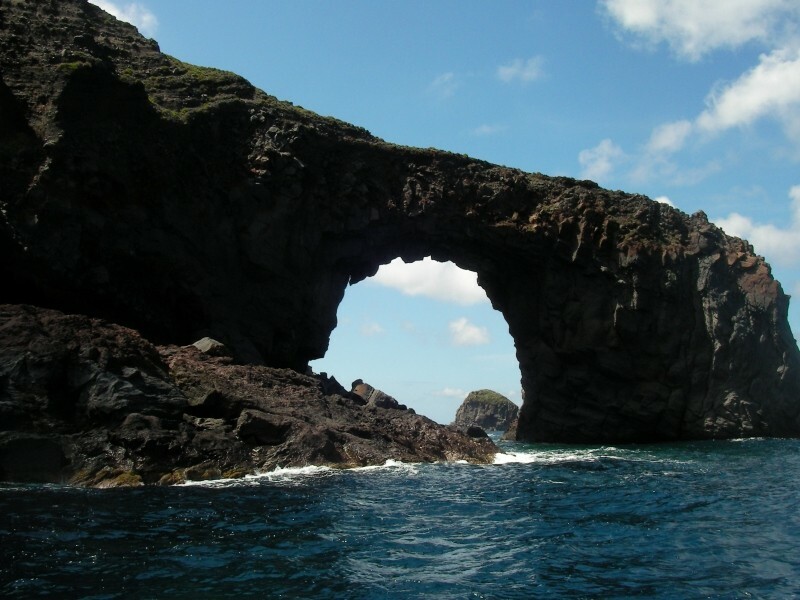 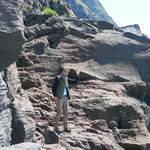 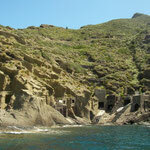 When we arrived at the small islet the sea was rough, way too rough to harbour the boat. 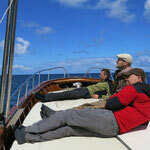 Our boatsmen got a bit nervous, trying several times to get us on land but big waves made it just impossible. 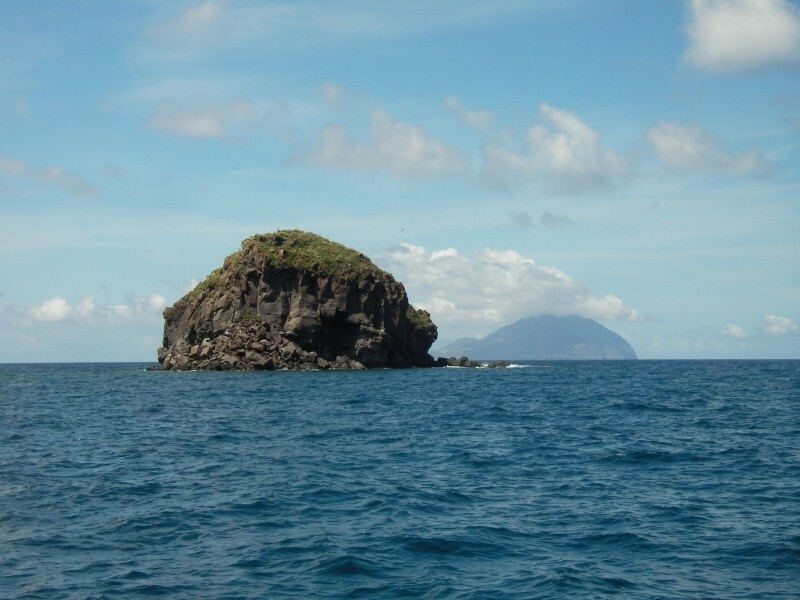 I could touch the islet but wasn't able to go ashore, to say it was frustrating would be an understatement... 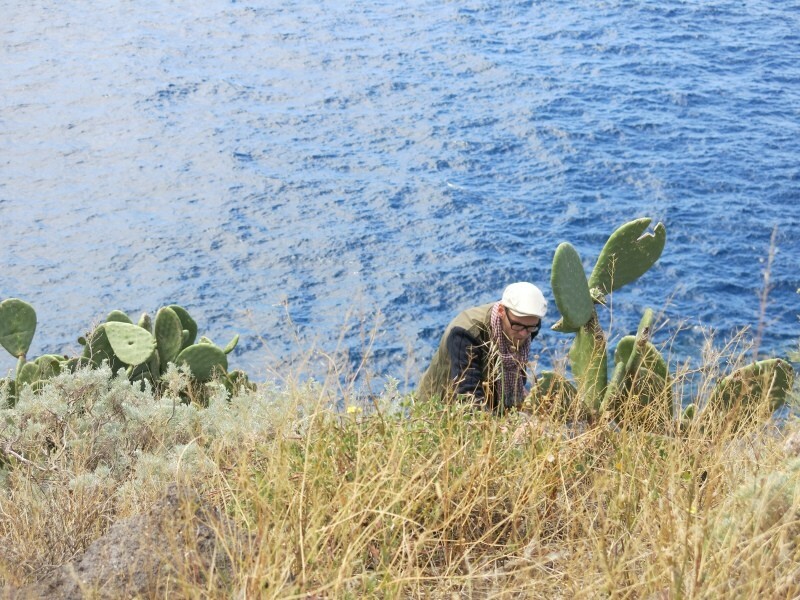 I said a little prayer and after an hour our boatsmen Luigi managed to finally find a secure place, the waves got less, the sun came out and except Ida we all went on land. 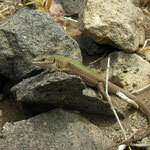 After we climbed the steep cliffs it didn't take us long before we could see the first lizards. 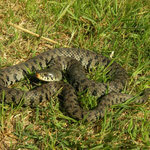 Sun had just come out and they were basking along the edges of bushes. 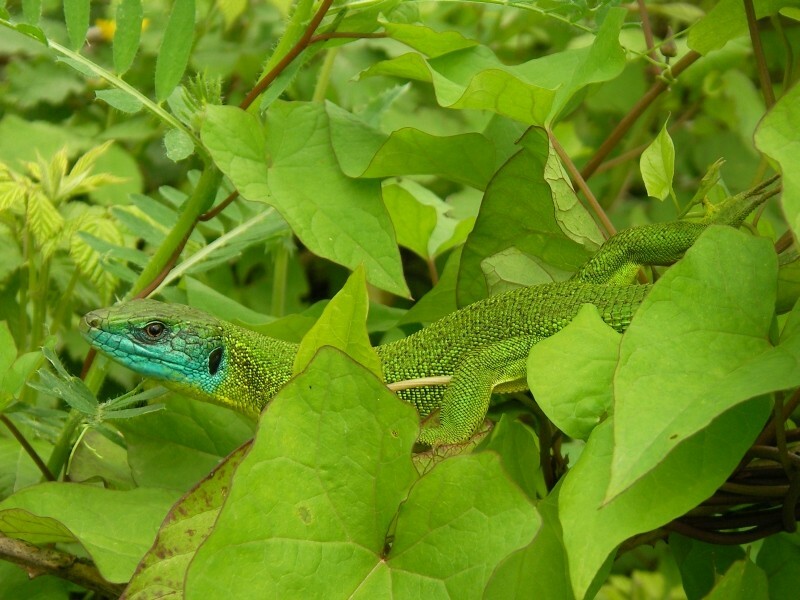 While a bit shy at first, I sat down next to an opening in the vegetation and not for long there were five lizards basking in front of me, nibbling my fingers and posing willingly for photos. 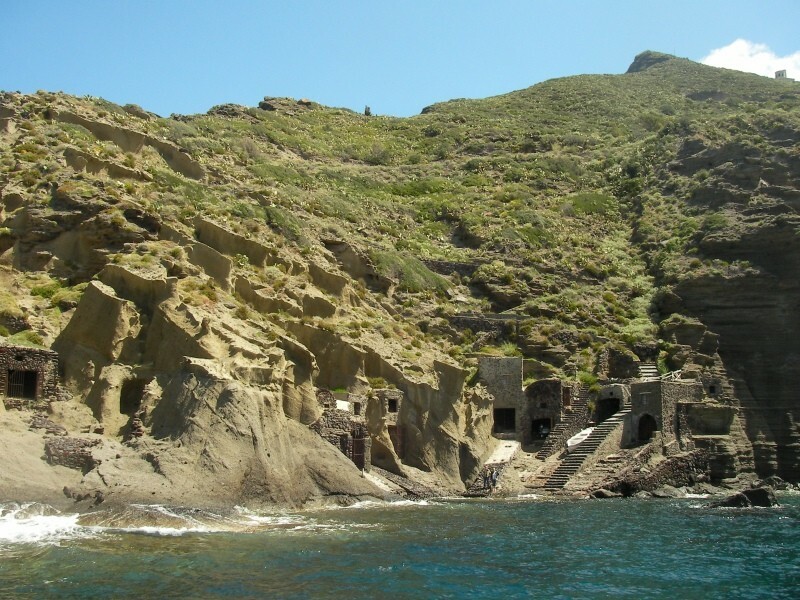 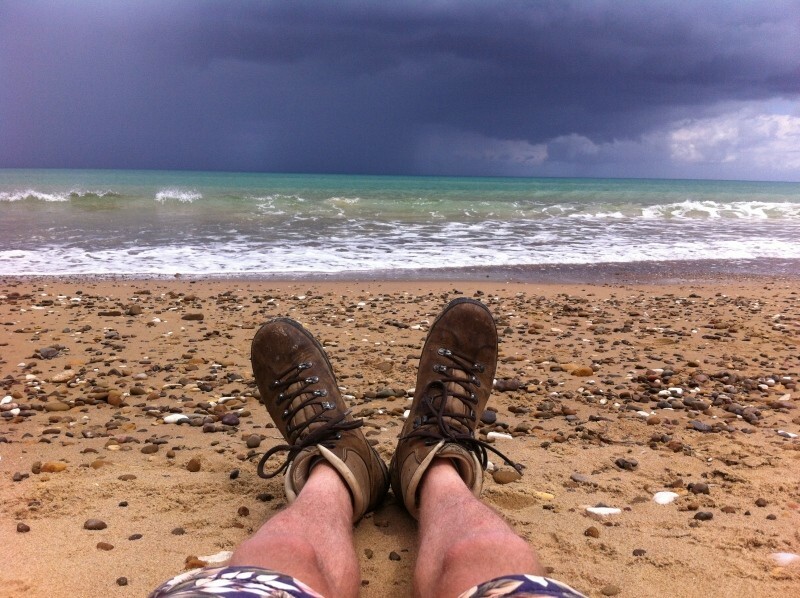 What an amazing experience to spend a few hours on this deserted island, with only the sea and the gulls making sounds and little archaic looking lizards scuffling around your feet. 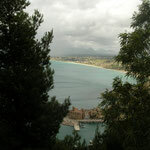 View from Scoglio Faraglione towards Salina (click to enlarge). 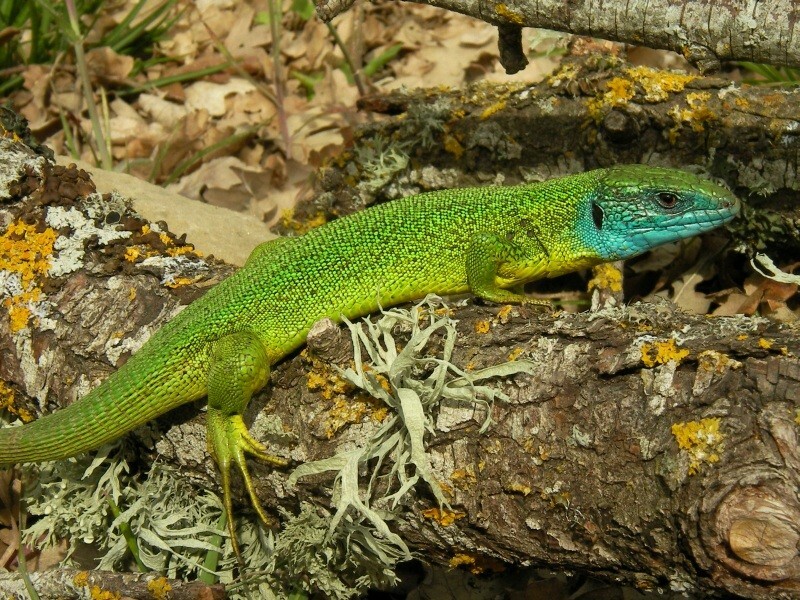 Finally some sunAfter finding Italian Wall Lizard and Ocellated Skink in the garden of the B&B we went to the small lake again, two days earlier it looked like promising habitat for many species so we went back there. 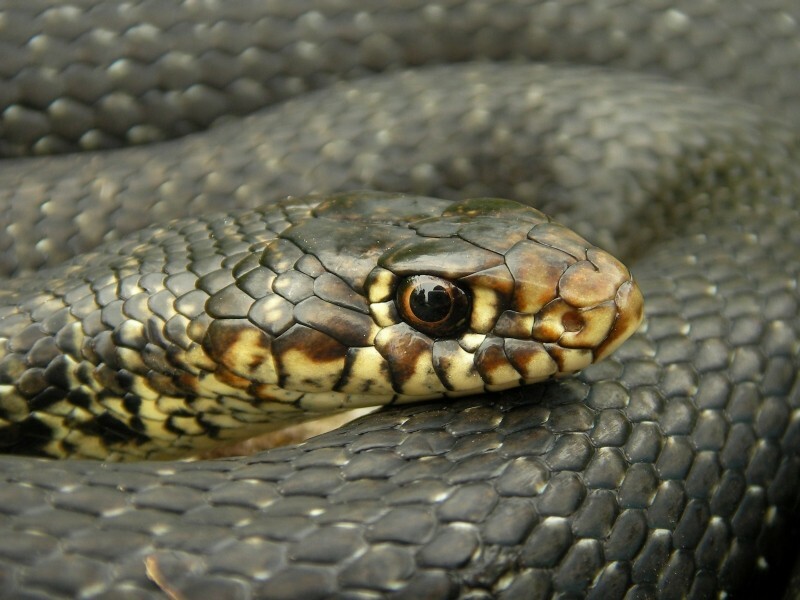 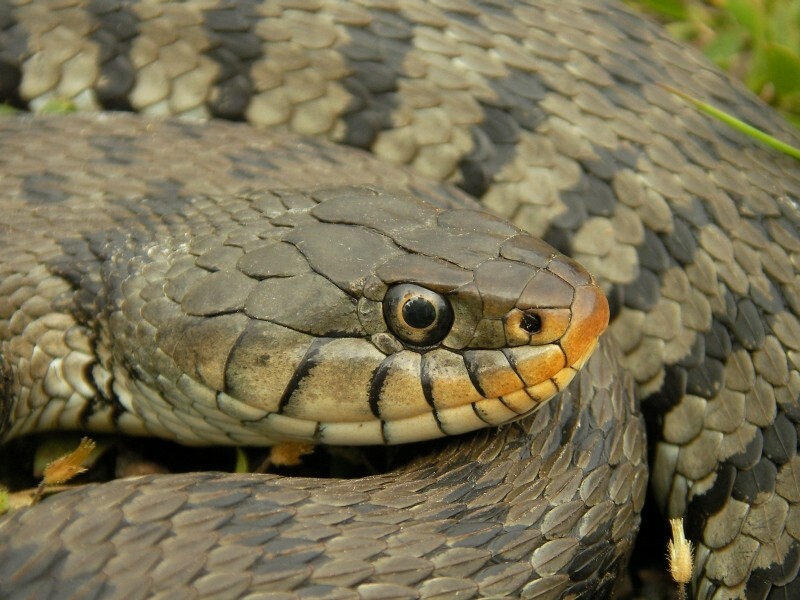 Again we found Grass Snake (including a melanistic specimen) and European Pond Terrapin but this time also Western Whip Snake, Western Green Lizard, Italian Wall Lizard, Italian Three-toed Skink and a juvenile Hermann's Tortoise (Testudo hermanni). 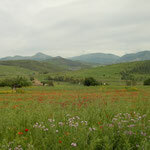 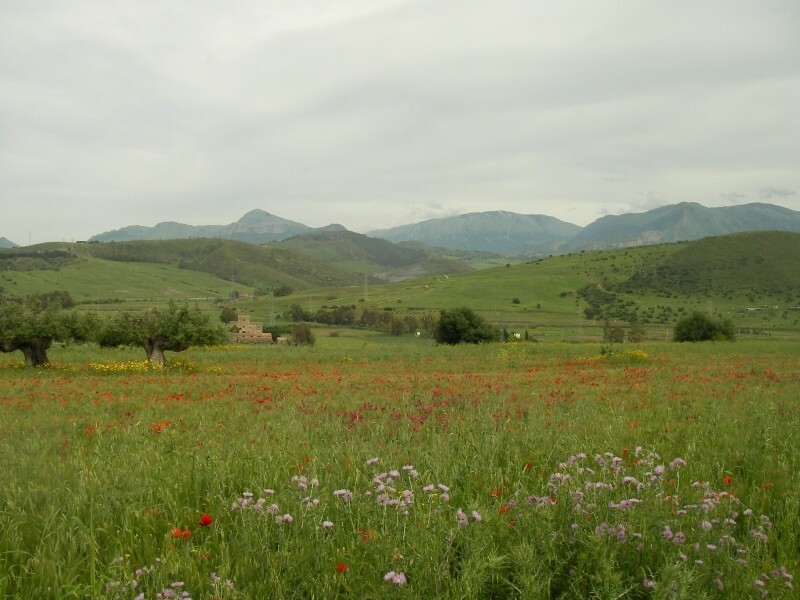 After many loud Italians arrived to have picknicks and race around with motorbikes we said goodbye to the coast and drove over the mountains to search at the southern slopes of the Nebrodi mountain range. 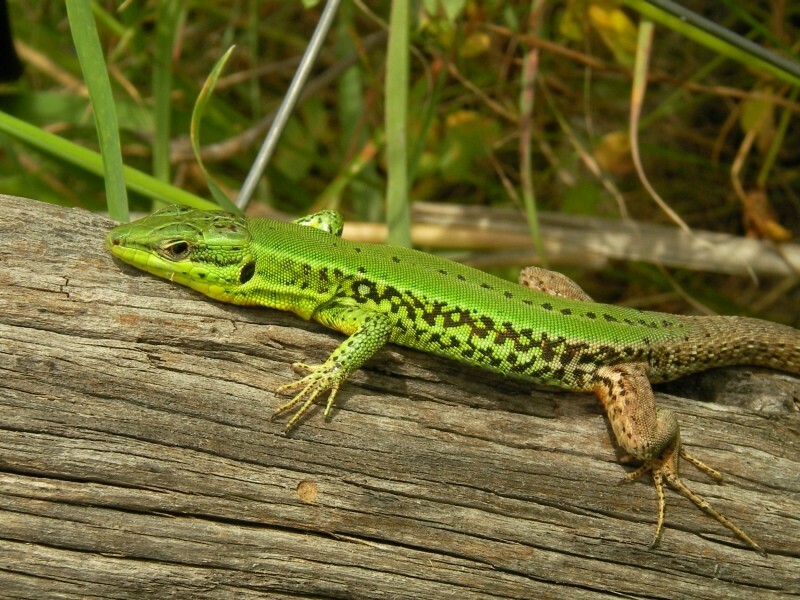 With a strong wind we didn't manage to find the much wanted Sicilian Wall Lizard, but found only Italian Wall Lizard, Western Green Lizard, Italian Three-toed Skink, Ocellated Skink, Western Whip Snake and Edible Frog. 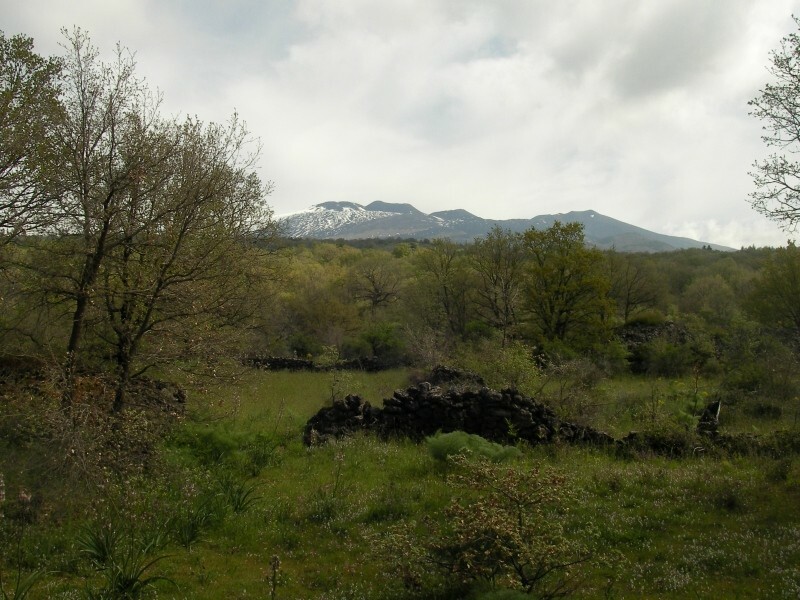 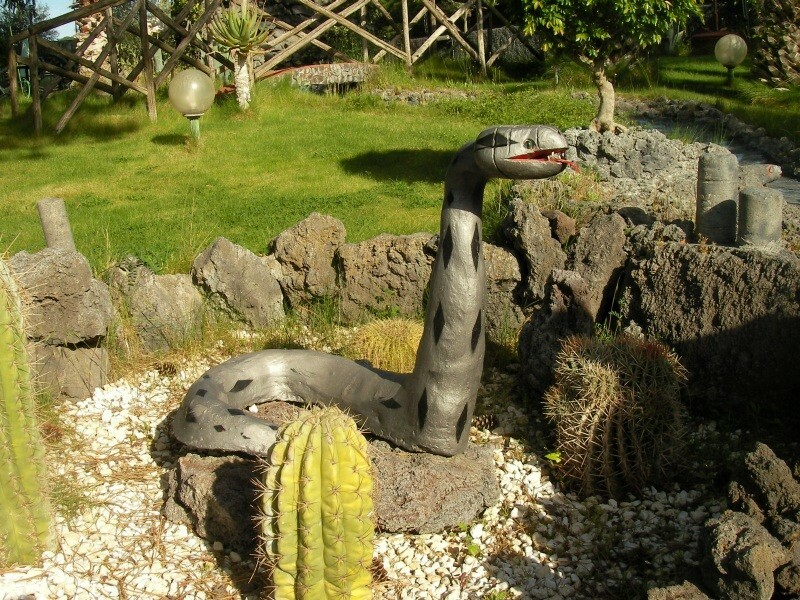 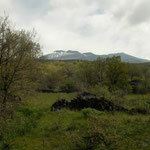 At the late afternoon we arrived at the Etna and at the southern slopes of the huge vulcano we searched prime habitat for two much wanted snake species. 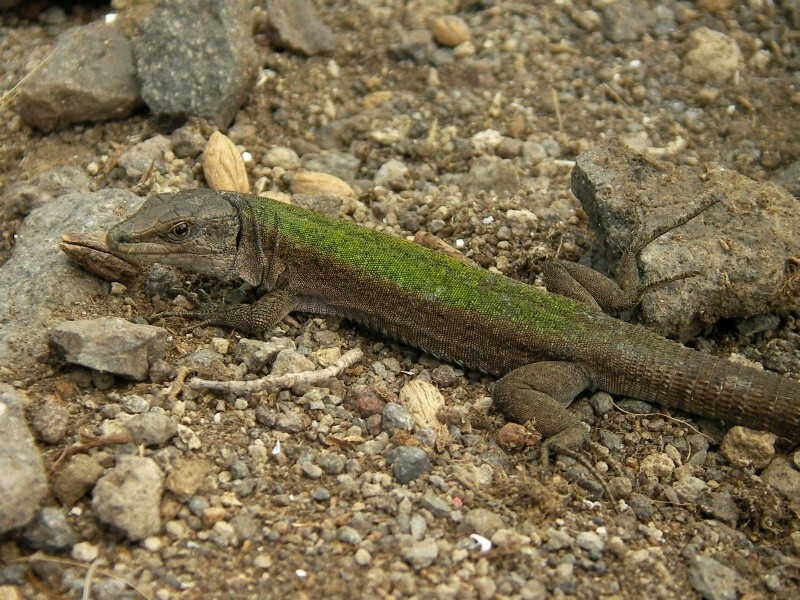 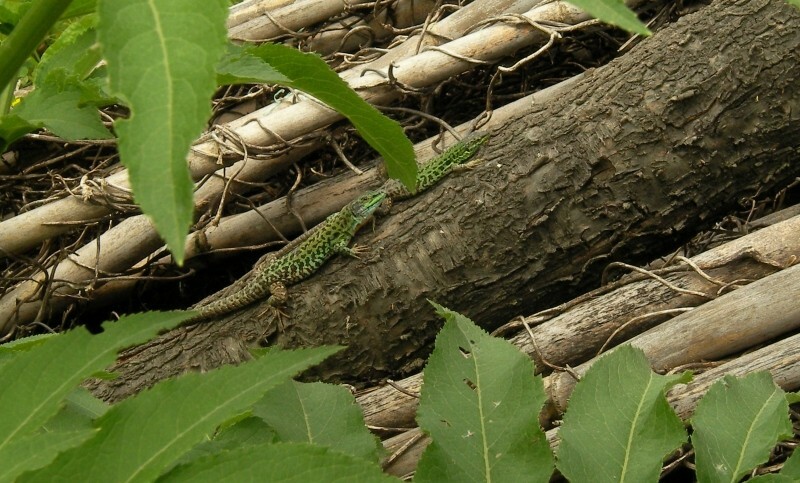 Being hot and dry only common species such as Italian Wall Lizard, Western Green Lizard and Western Whip Snake were found. 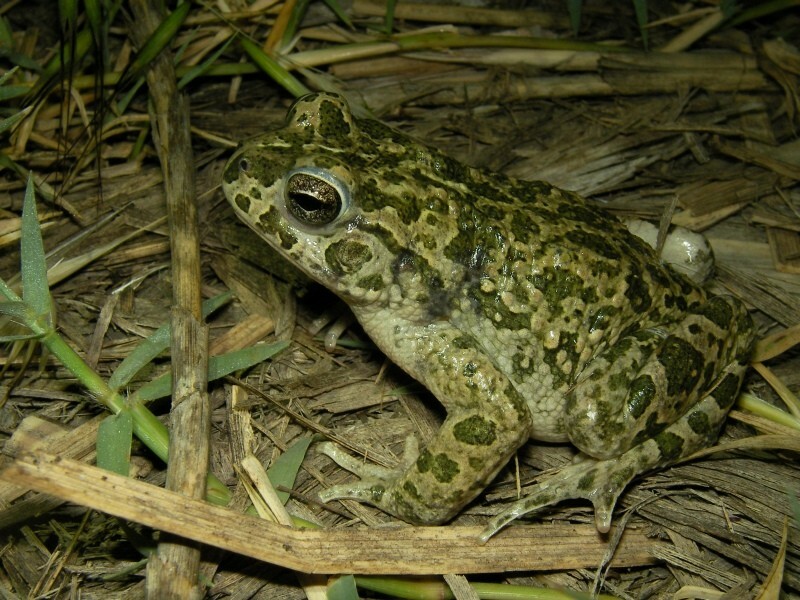 In Nicolosi we found a great place to stay at the Parco delle Tre Fontana, went for a tasty pizza and afterwards searched at a place hinted to us as a known location for African Green Toad (Bufotes boulengeri siculus). 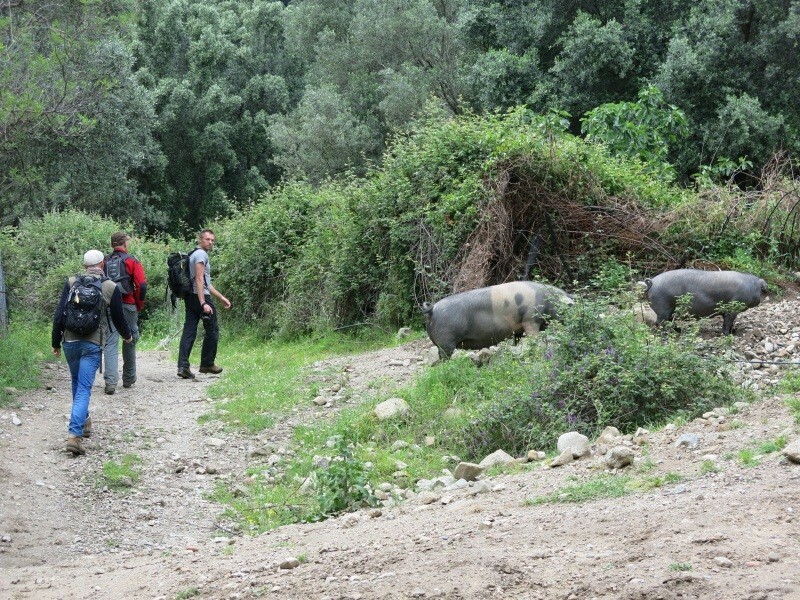 When we arrived at the nature reserve (in Italy also known as dumpsite) we were gutted to see what it looked like; a smelly swamp with thick canebrakes and lots of trash. 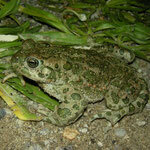 Not really the place to expect green toads. 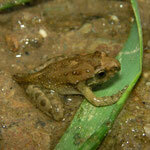 I walked on for a quite a bit, hoping that the habitat would improve. 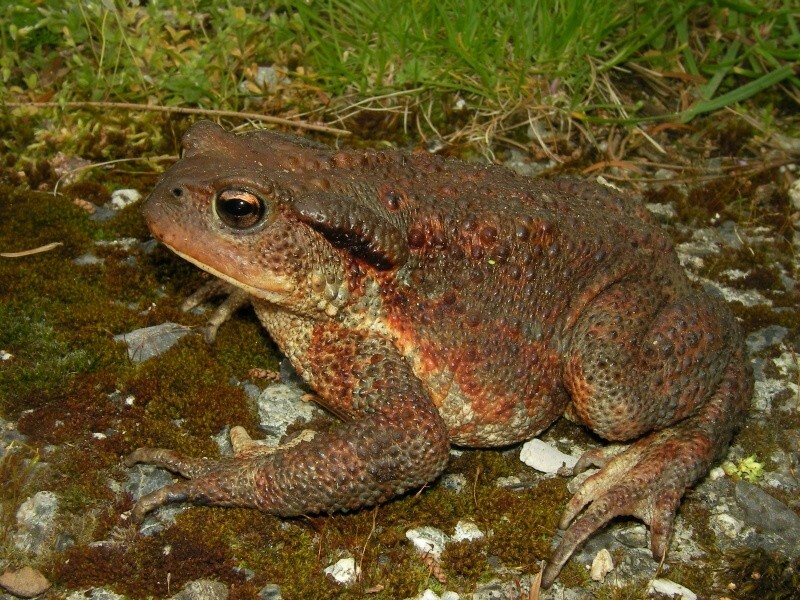 In the meantime I had Laura on the phone and while I was just telling her we wouldn't find this special little toad on this location, I turned around and found one sitting on the path! 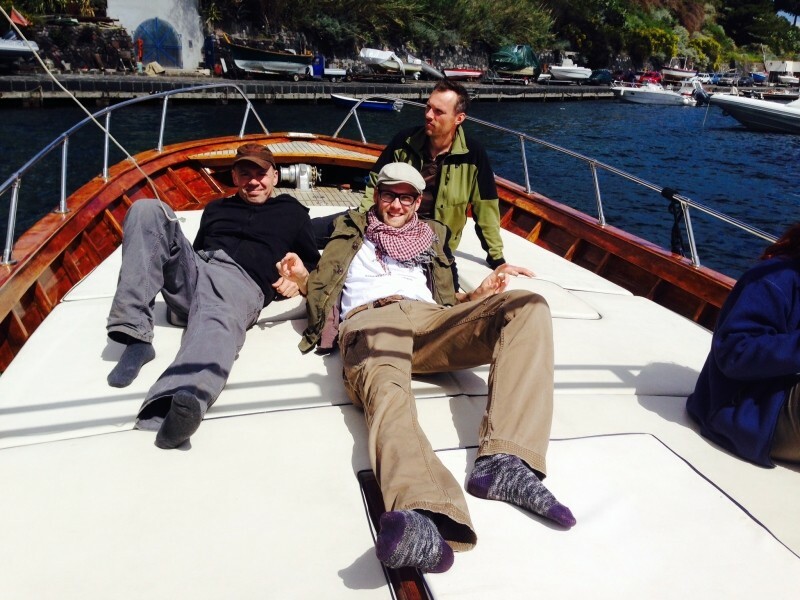 An amazing find and I made everyone very happy. 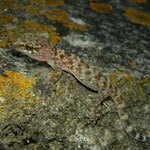 A shooting star while photographing made the night especially magical. 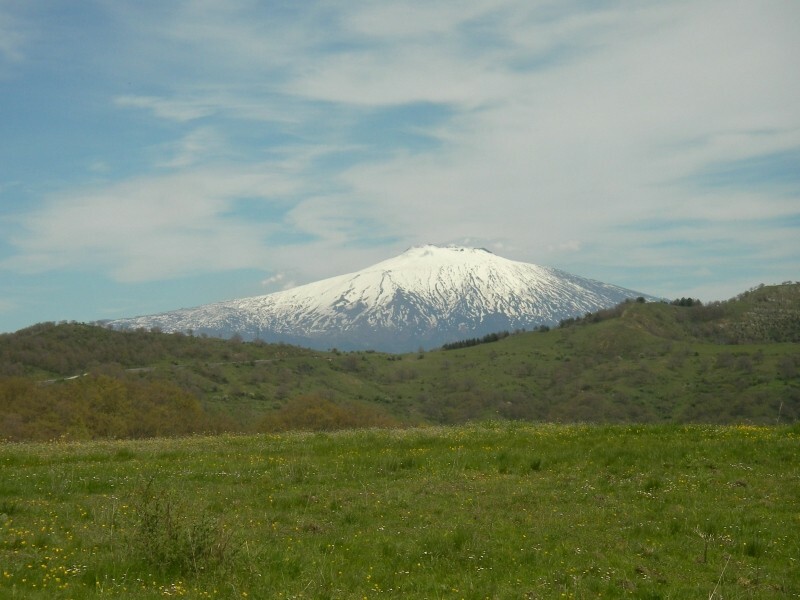 A sunny day was waiting and we tried our luck again at the perfect snake habitat we visited the day before at the southern slopes of the Etna. 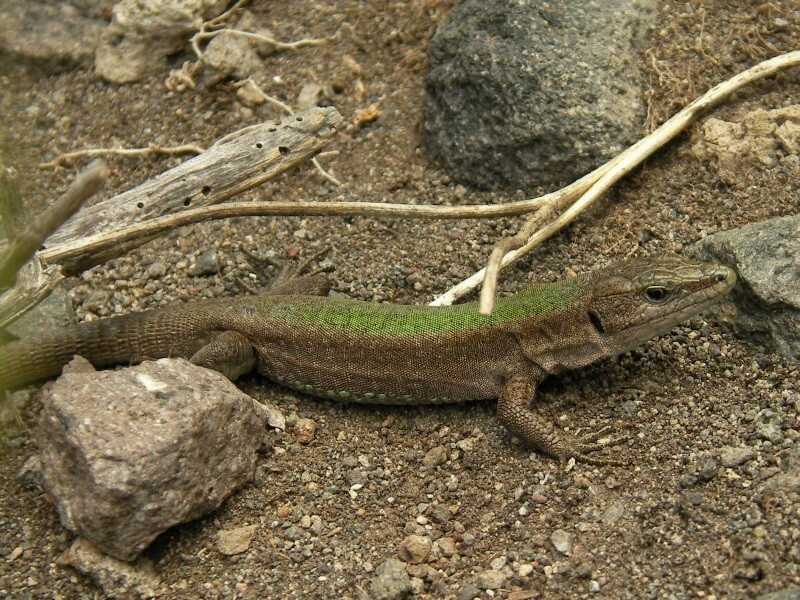 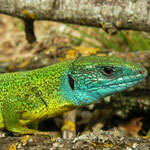 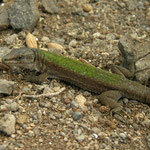 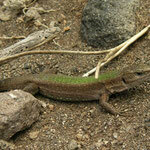 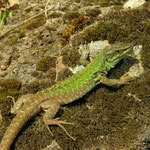 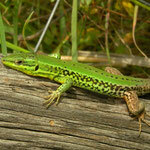 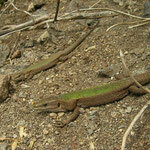 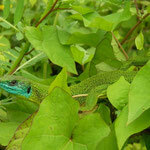 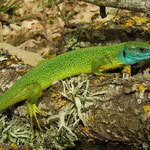 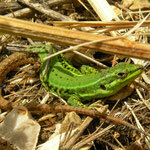 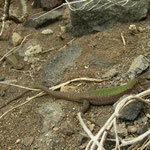 At first we found only Italian Wall Lizard, Western Green Lizard, Ocellated Skink, Moorish Gecko and Western Whip Snake. 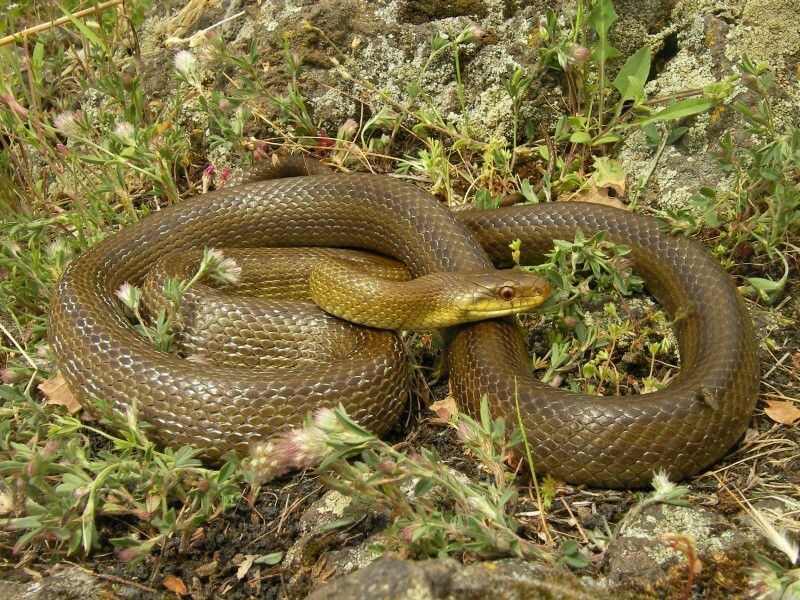 GJ and Paul could both see an Aesculapian Snake disappearing in a stone wall so we knew the species was active and we should be able to find one. 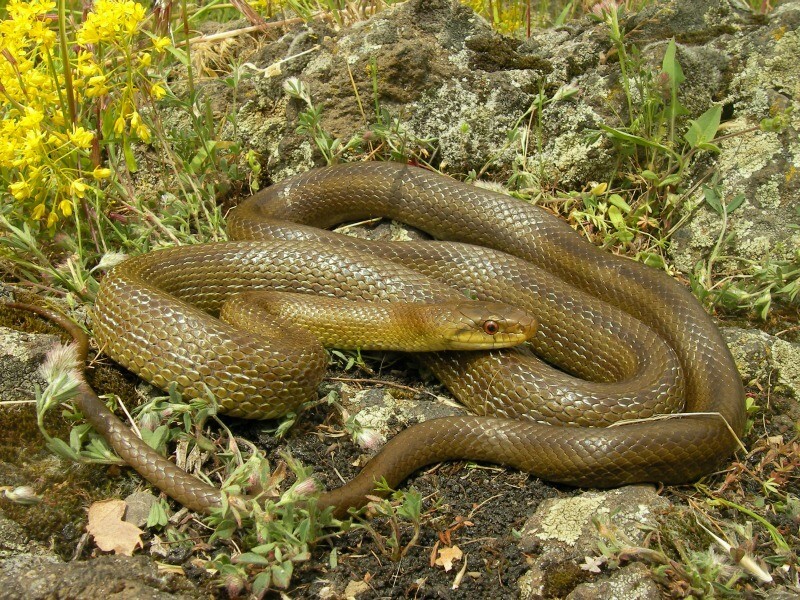 Then Paul and me almost wanted to go back to the car when I heard a snake shooting in a bramble bush, I could see a subadult Italian Aesculapian Snake (Zamenis lineatus) vanishing into the leaf litter inside the bush. 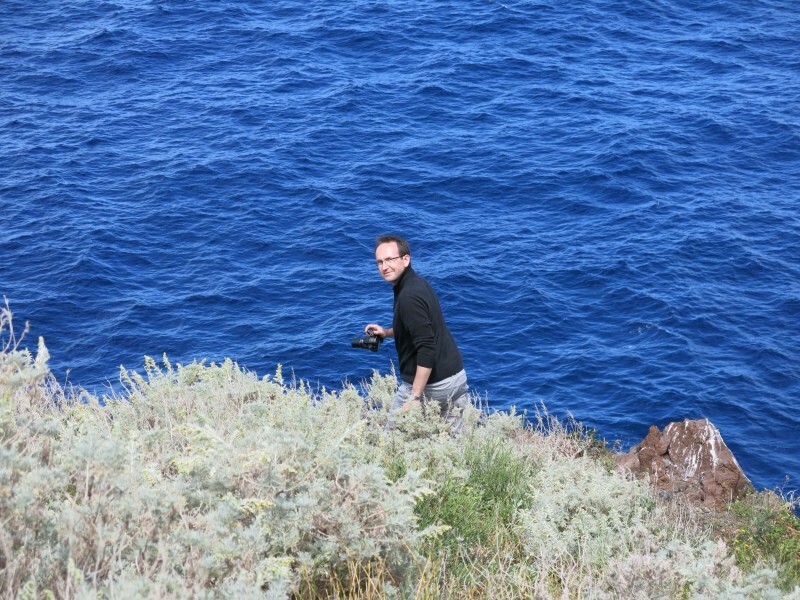 I tried to retrieve the animal but didn't manage to find it back again, on the other side of the bush Paul was more lucky and after a few minutes could hold a beautiful specimen of this endemic species. 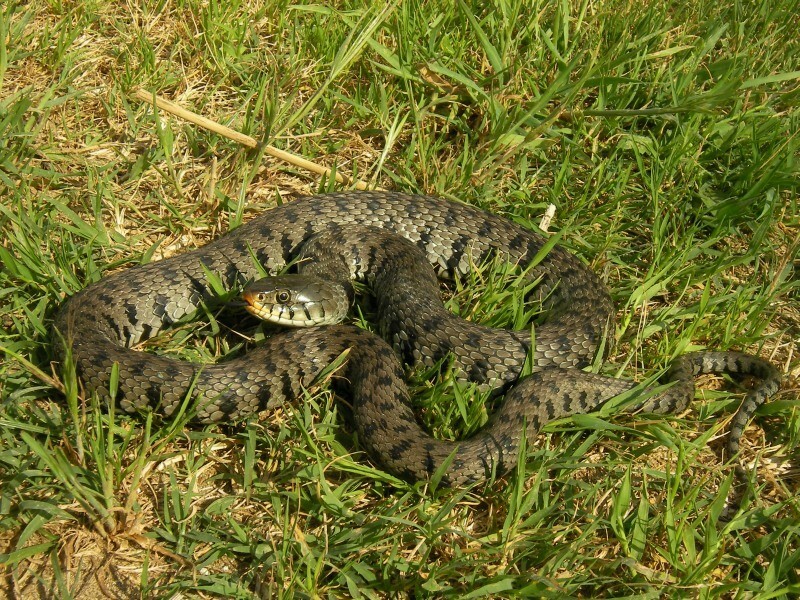 There might have been some hugging in the field afterwards... 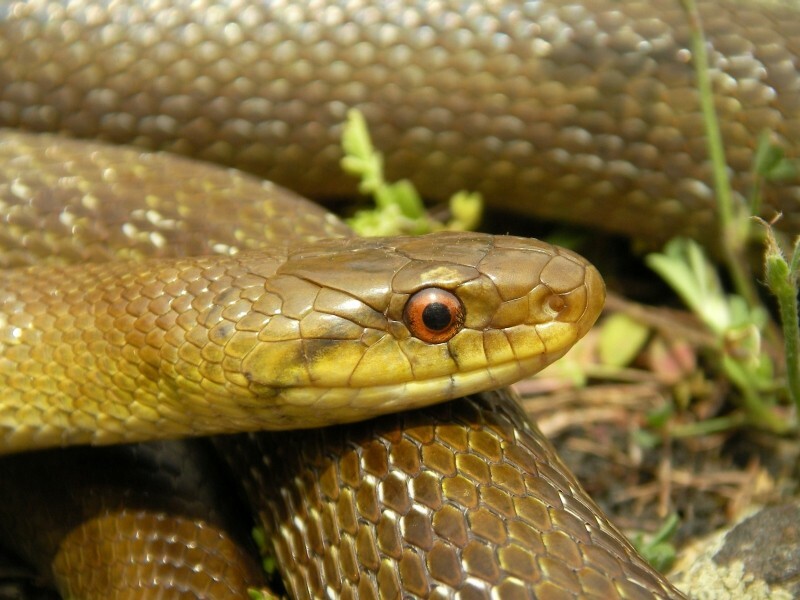 While the many Golden Orioles (Oriolus oriolus) sang their lungs out we admired and photographed this highly wanted snake species. 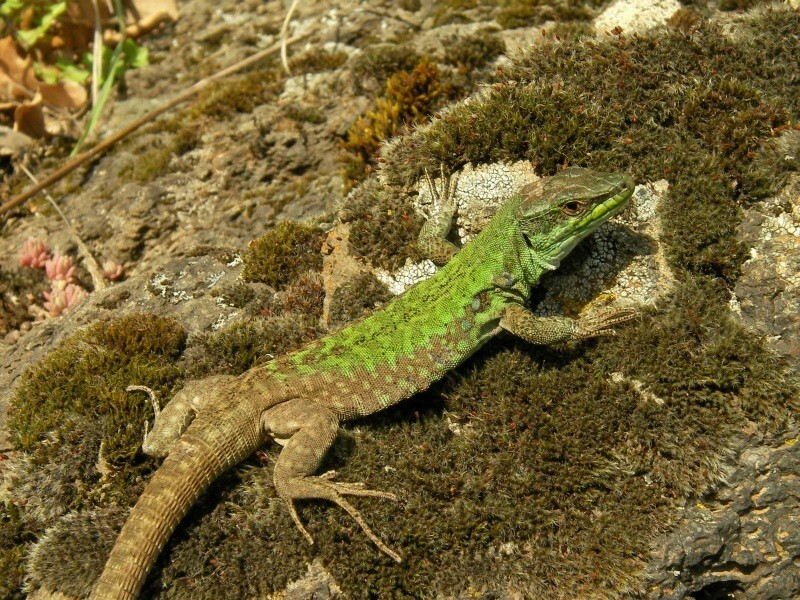 A long drive towards the northern coast followed but the first search site there delivered another highly wanted species, many Sicilian Wall Lizards (Podarcis waglerianus) were found basking along the road. 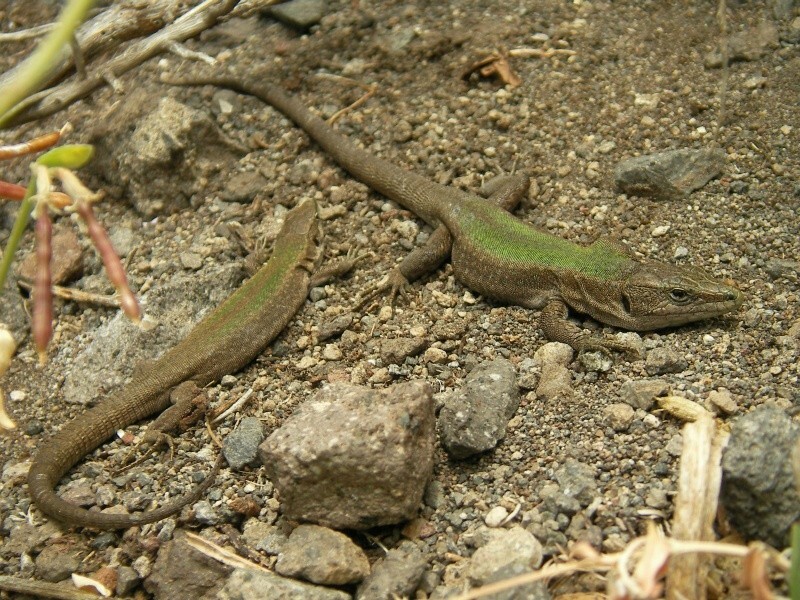 Other species at this agricultural, coastal site were Italian Wall Lizard, Ocellated Skink, Italian Three-toed Skink, Moorish Gecko, Western Whip Snake, Grass Snake and Edible Frog. 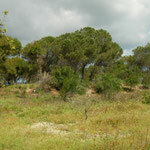 Another Southern Italian endemic was seen running through the field, a Corsican Hare (Lepus corsicanus). 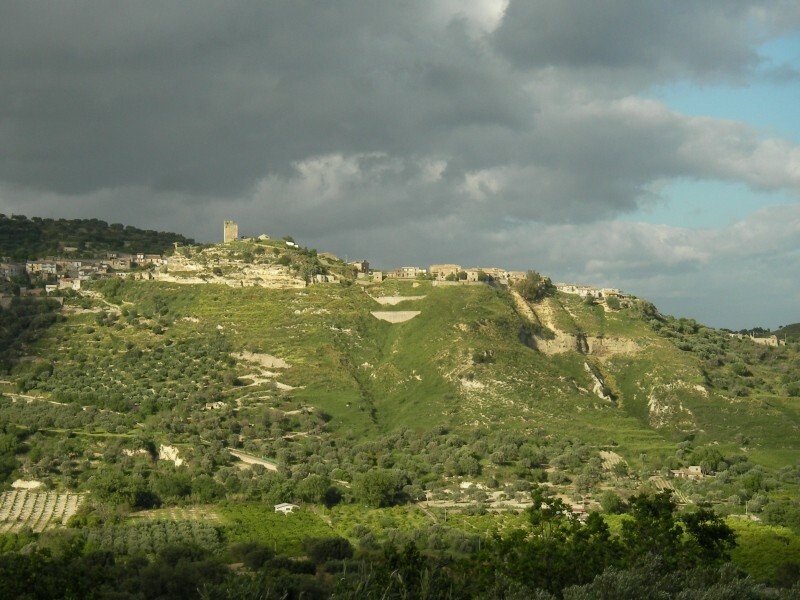 While sun was setting we drove towards Partinico, checked in to B&B Torre di Cicala, went for a quick pizza and GJ, Paul, Trev and I went to the surroundings of Lago Poma. 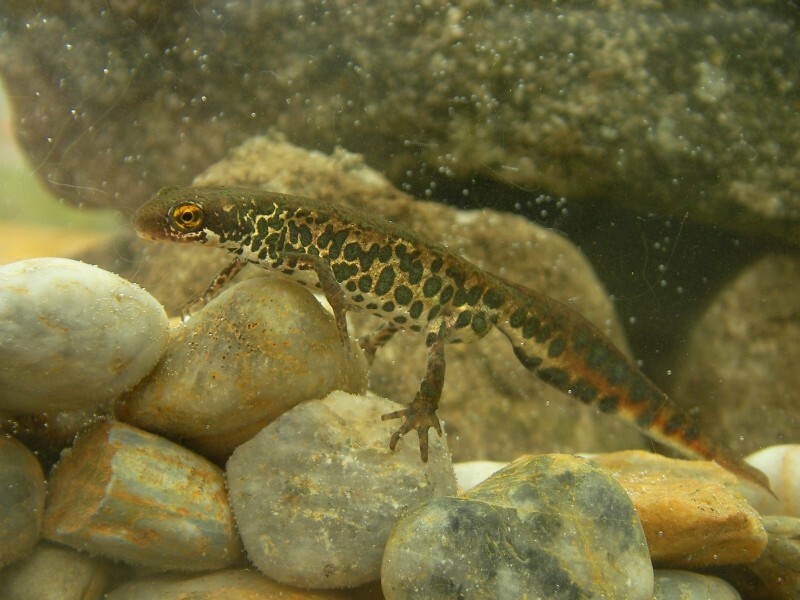 Without any exact coördinates we managed to find a beautiful pond with crystal clear water and overgrown with Characean algae. 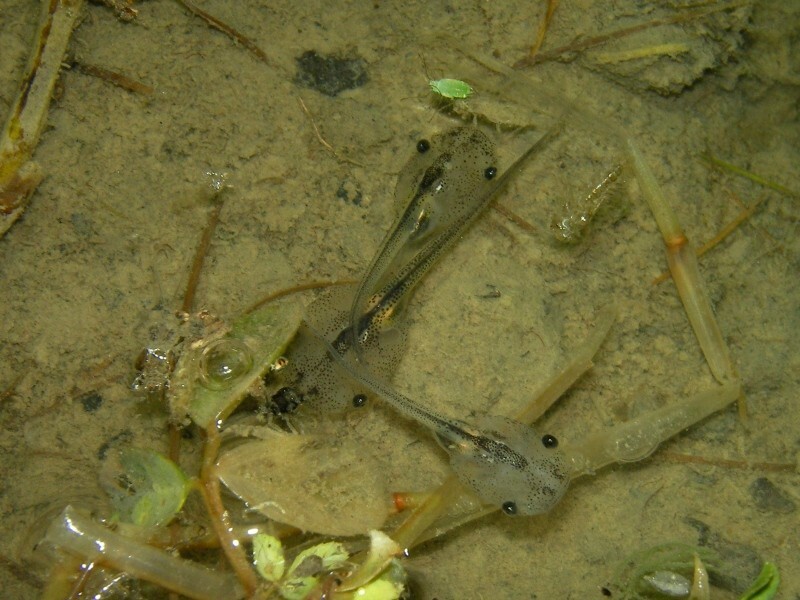 In the lights of our torches we could quickly find over 20 big adult African Clawed Toads (Xenopus laevis) and several juveniles and larvae. 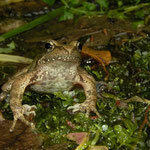 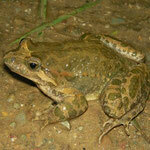 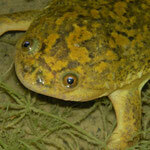 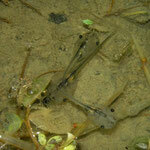 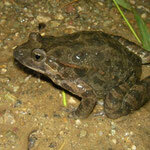 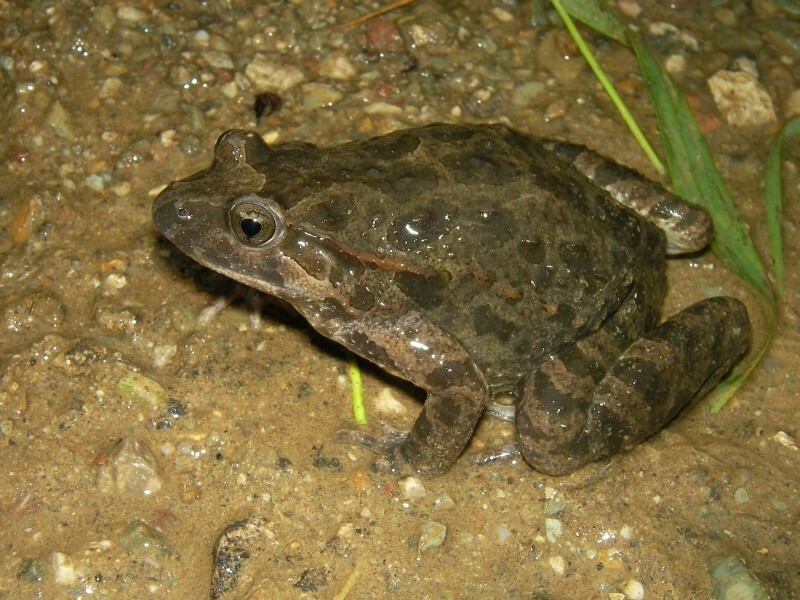 Even two couples in amplexus were observed. 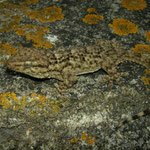 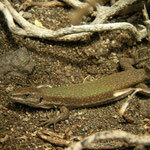 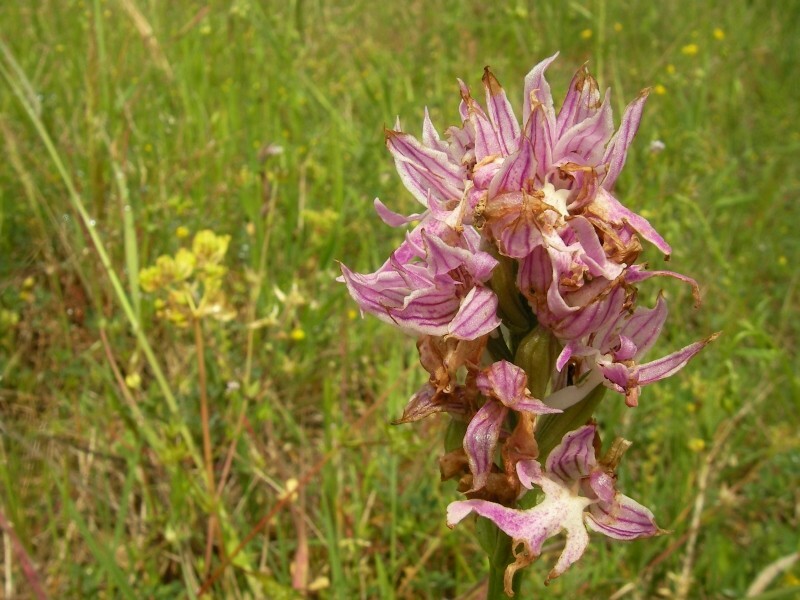 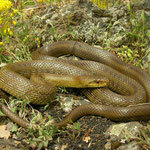 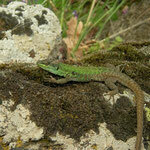 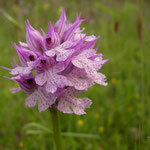 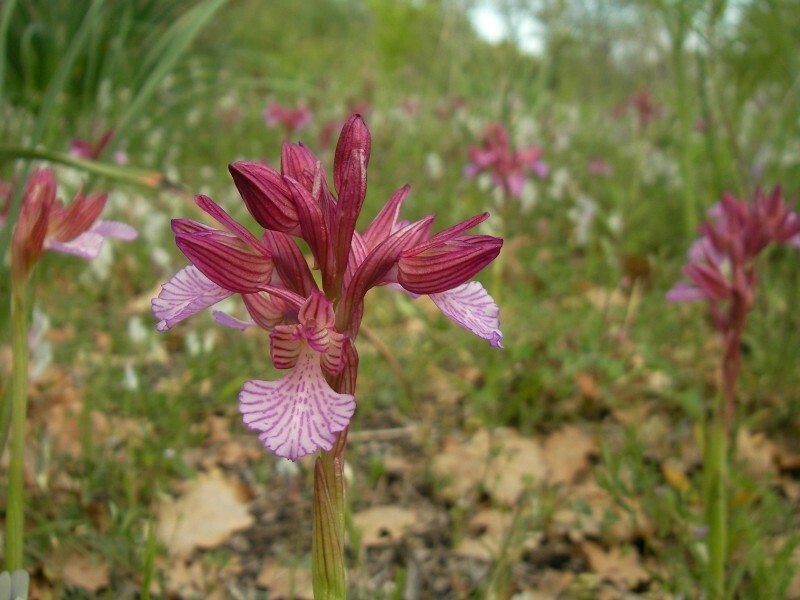 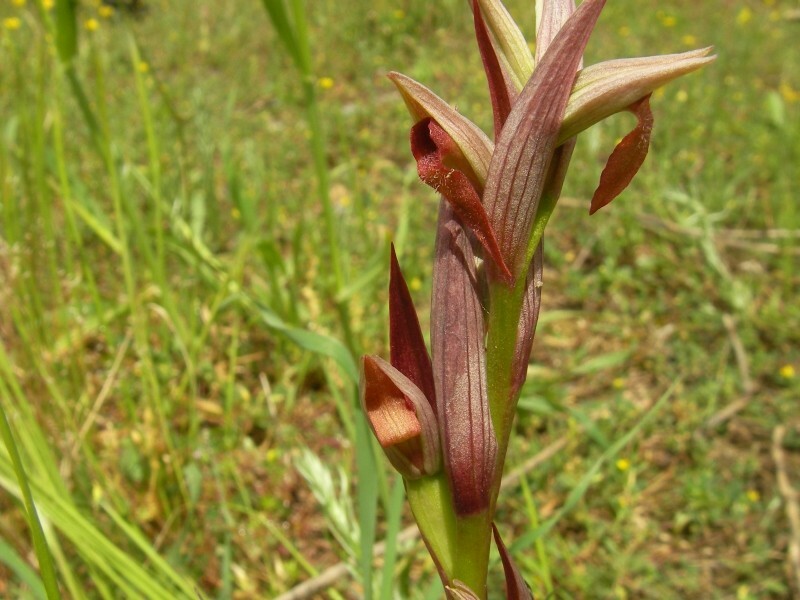 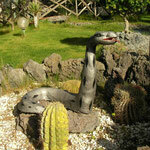 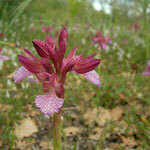 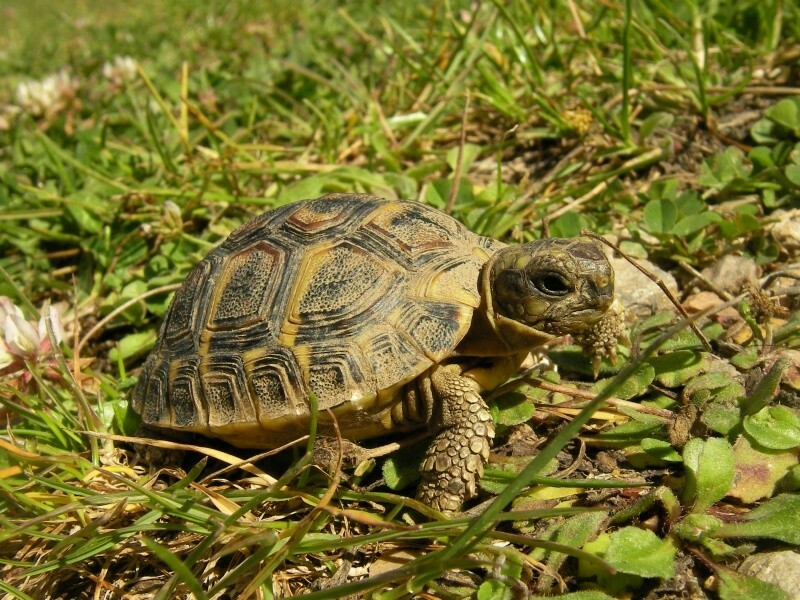 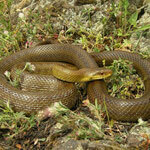 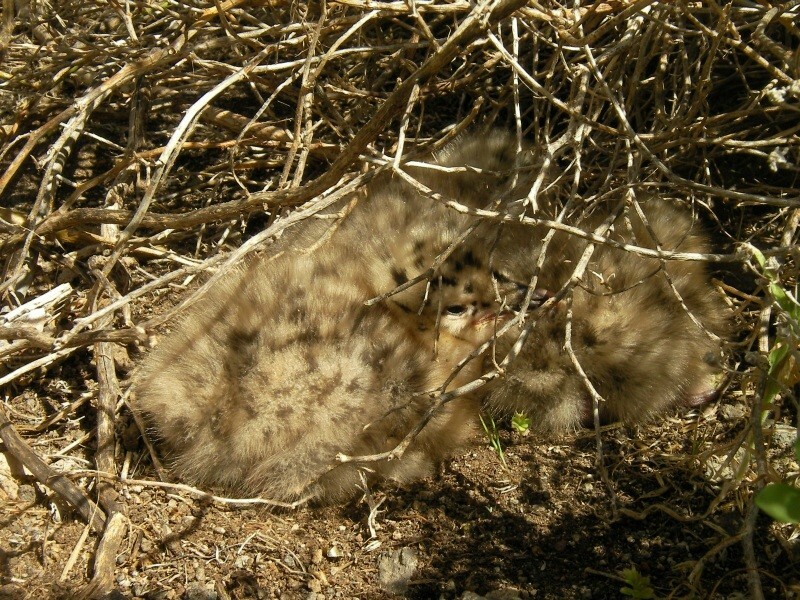 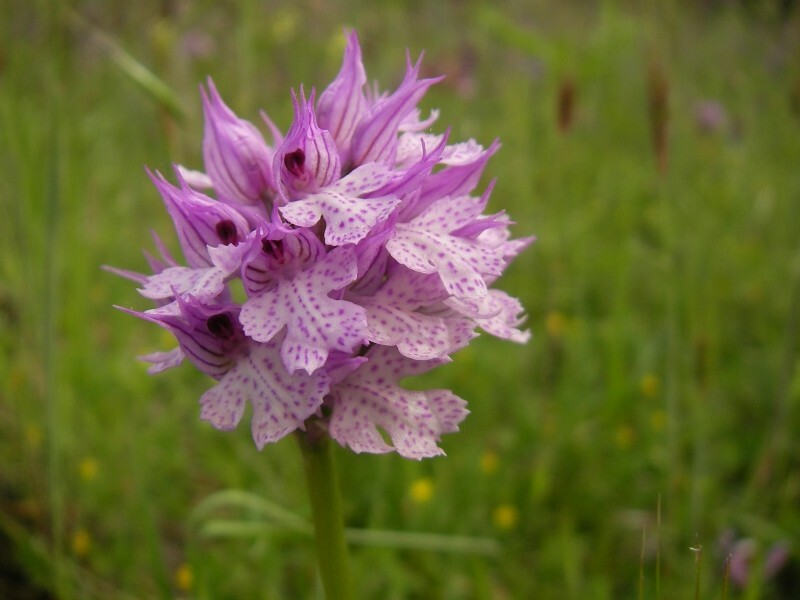 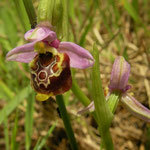 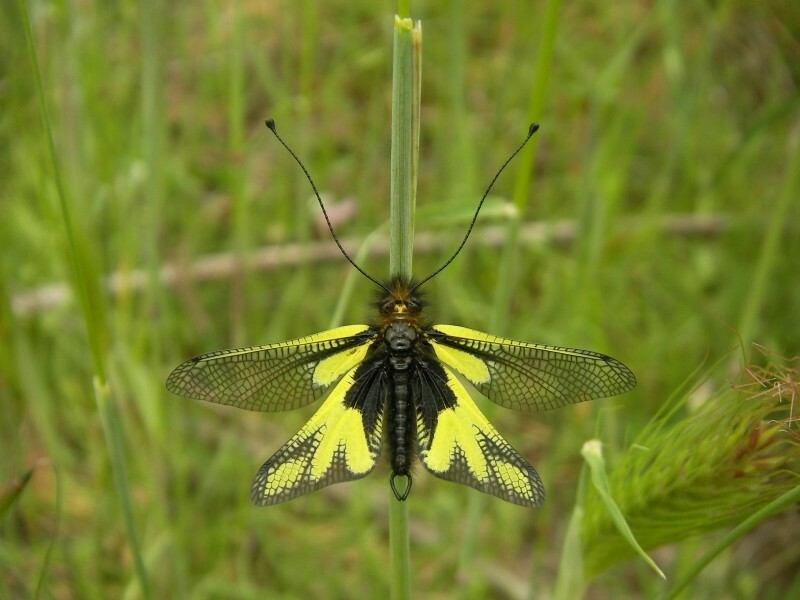 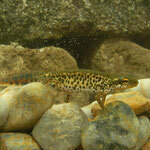 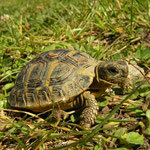 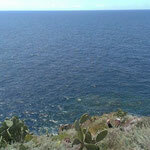 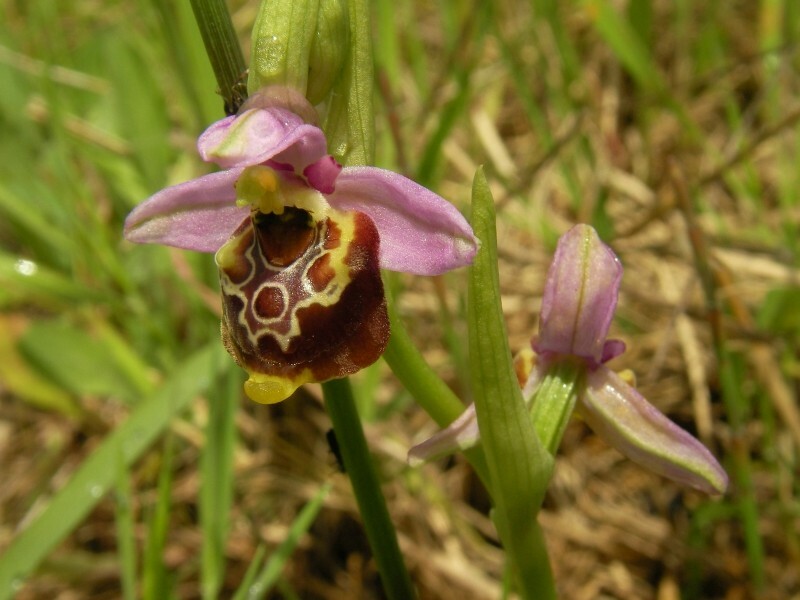 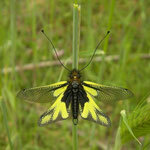 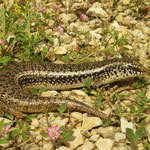 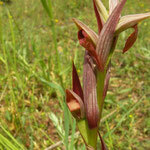 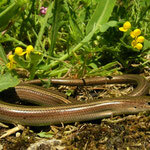 This African species has been introduced to Sicily and occurs in an area of 225km² (Faraone et al., 2008). 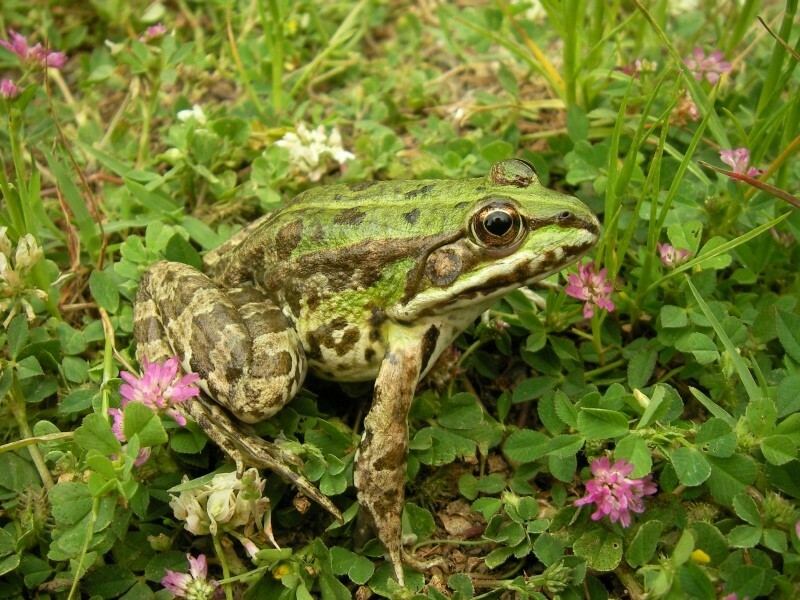 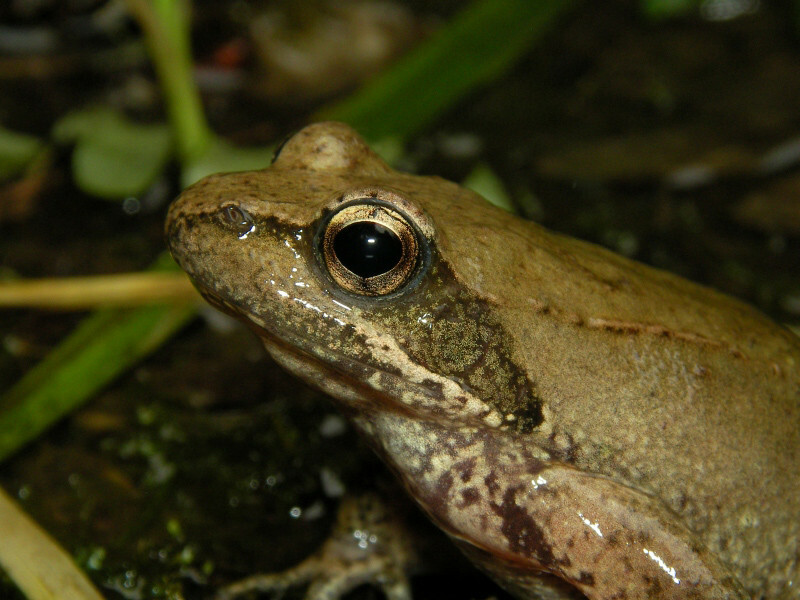 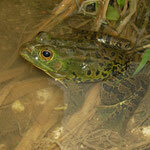 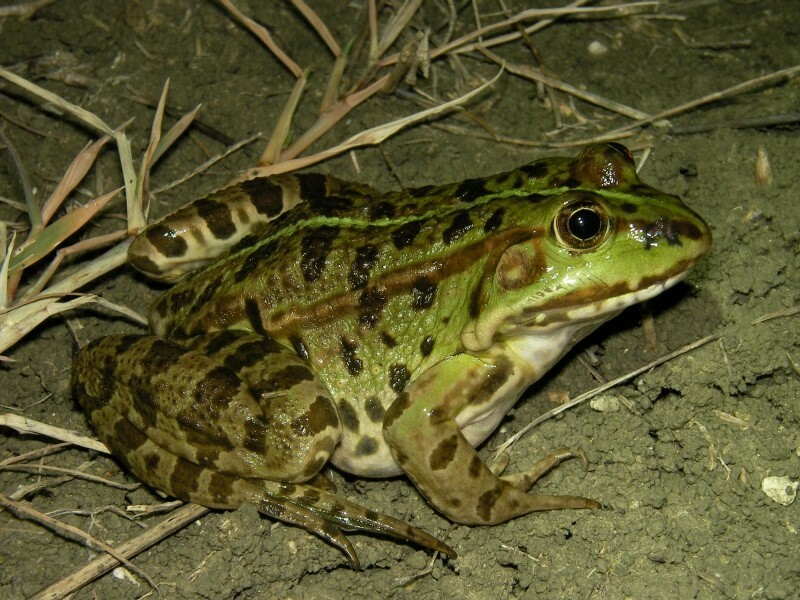 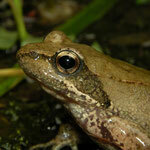 Other amphibians were Marsh Frogs (Pelophylax ridibundus) and calling Green Toads and Tree Frogs. 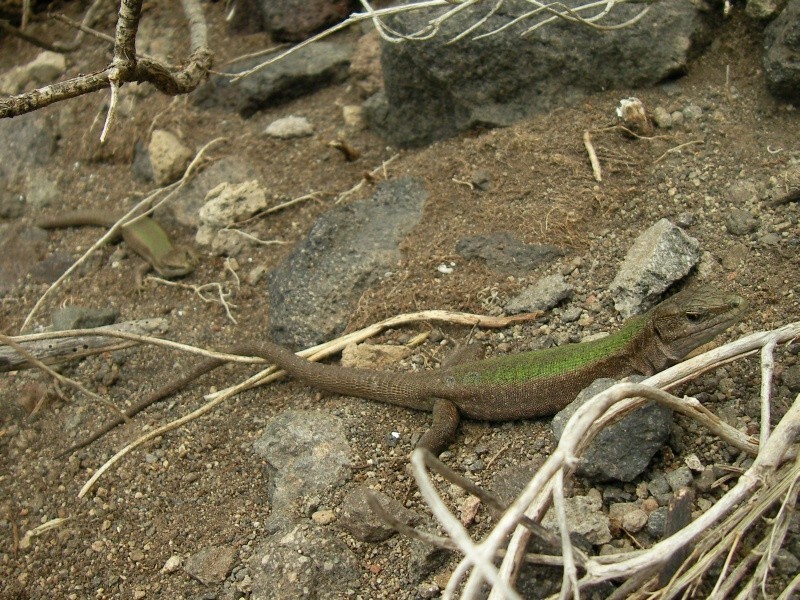 Our last day of herping started very overcast, windy and rainy again and it would actually stay like that all day resulting in only few herpetological observations such as Italian Wall Lizard, Sicilian Wall Lizard and Ocellated Skink. 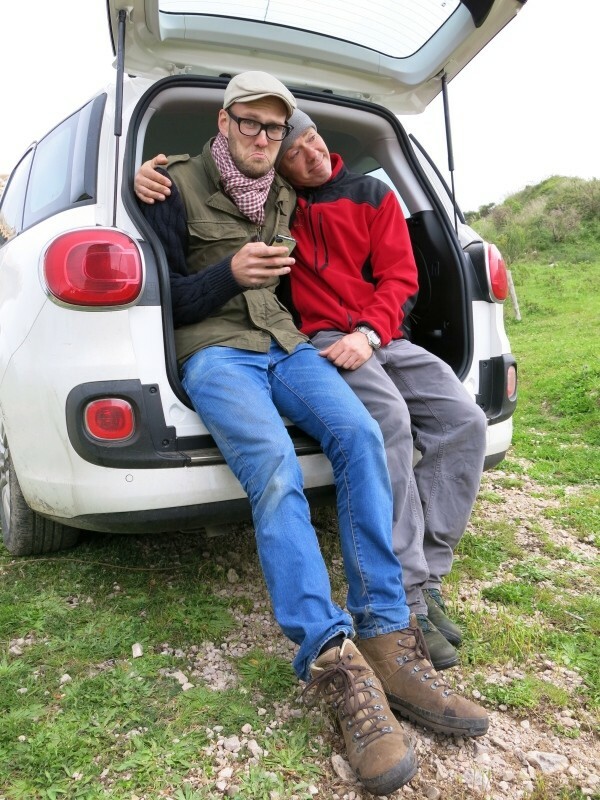 Most of the time we were sitting in the car eating greasy stuff from the supermarket and making jokes about strategically placed kittens. 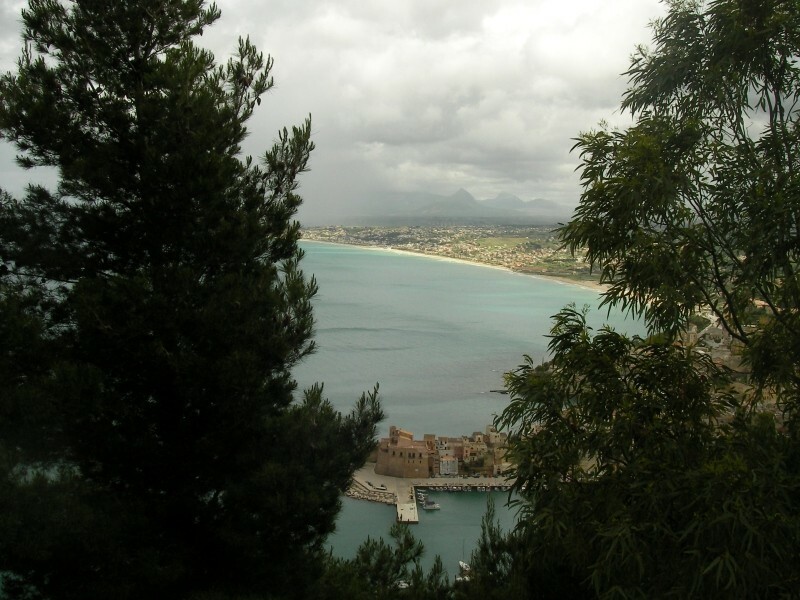 In the afternoon we shed some tears as it was time to say goodbye to Paul and Trev who flew back to the UK this evening and GJ and I drove on towards Palermo. 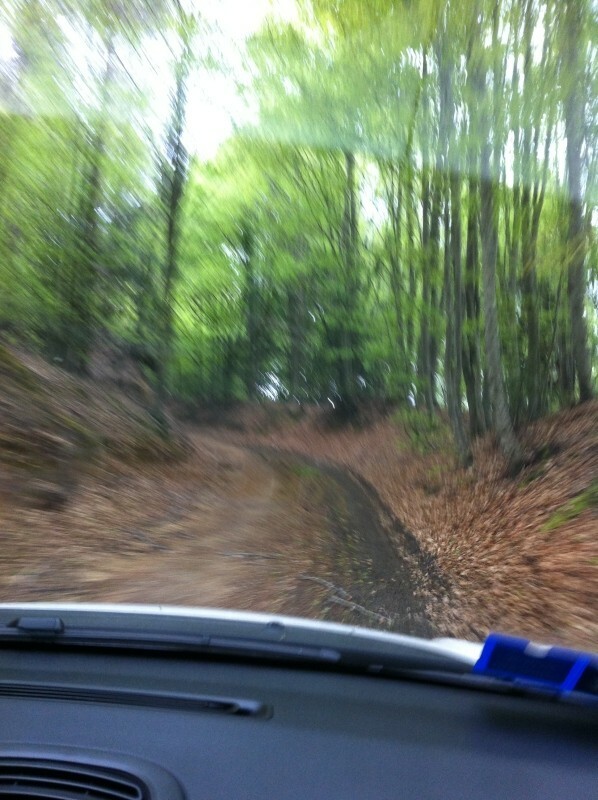 We intended to search the Monte Pellegrino but all roads leading up the mountain were closed so we just went to the B&B which was a hell to find in the crowded filthy city. 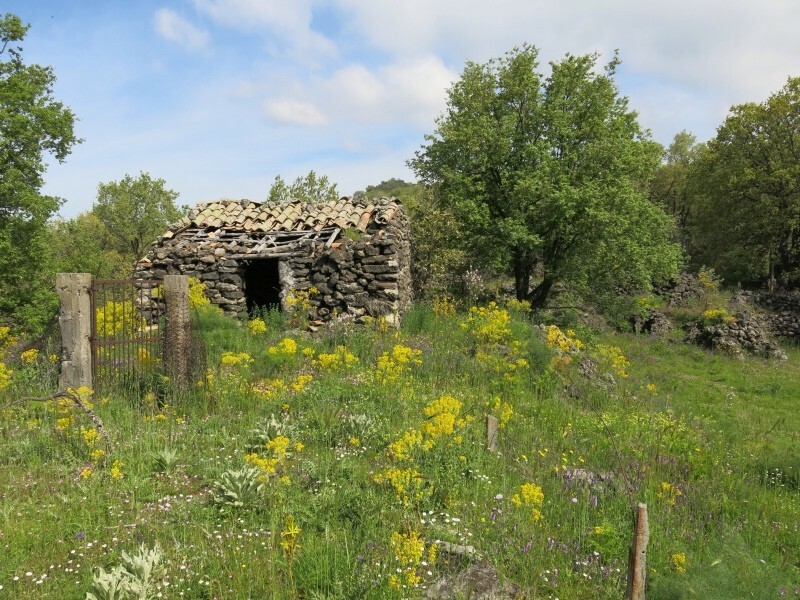 Thomas and Ida chose not to stay in this B&B so GJ and I also said goodbye to them, went for some kebab and headed towards an early night. 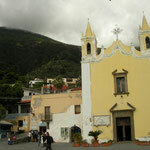 We arrived on Palermo airport to find out that our flight left an hour earlier than stated on our tickets. 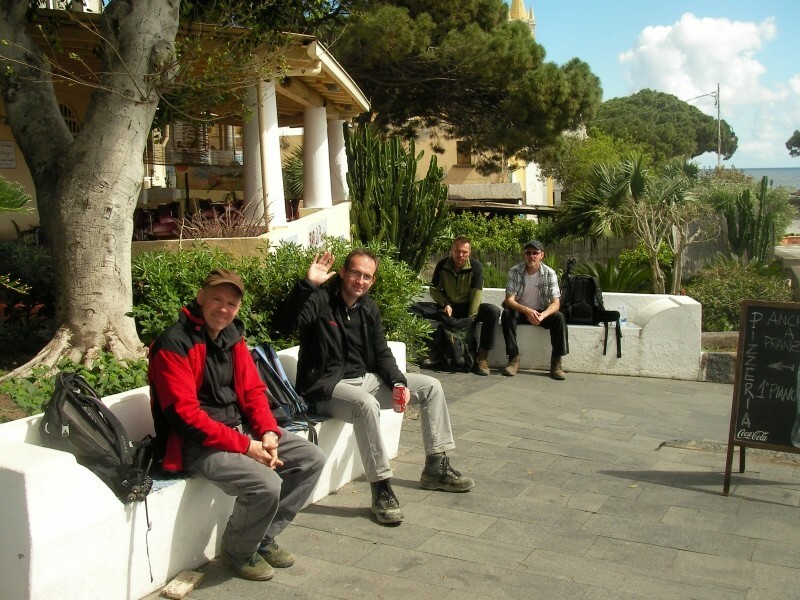 At the AirOne ticket desk they claimed they informed us well but actually they did not inform us at all, we were a bit pissed and were keen on going back to Holland (or Munich) so we investigated other options. 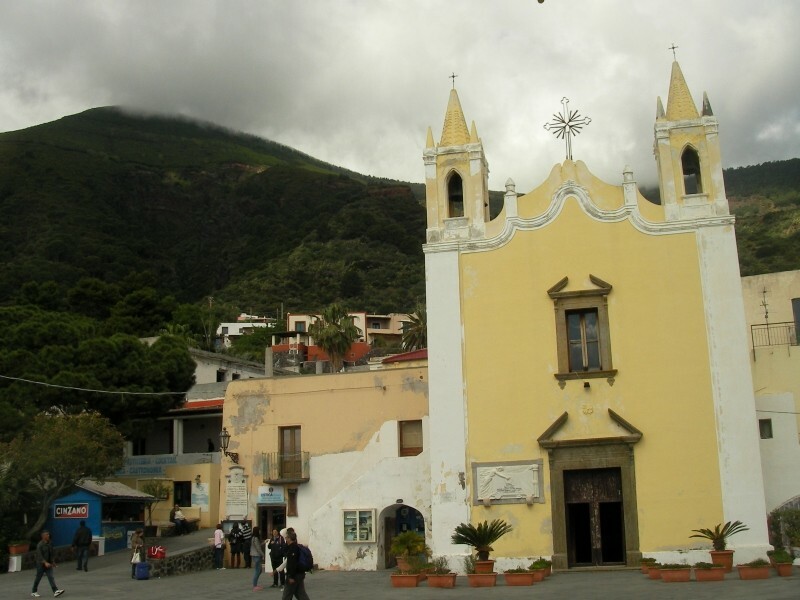 Appearantly a flight departed from Catania airport in the afternoon and at the ticket desk they could schedule that flight for us. 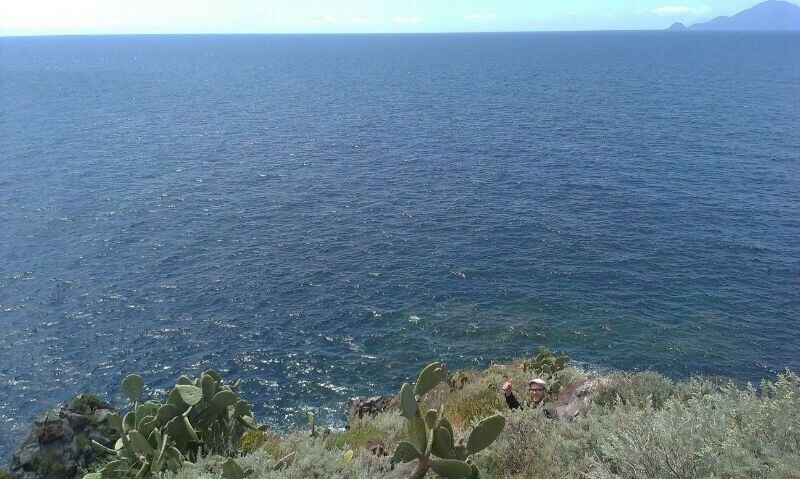 That was at least a nice godsend but we still had to go to Catania, a rough 200km from Palermo. 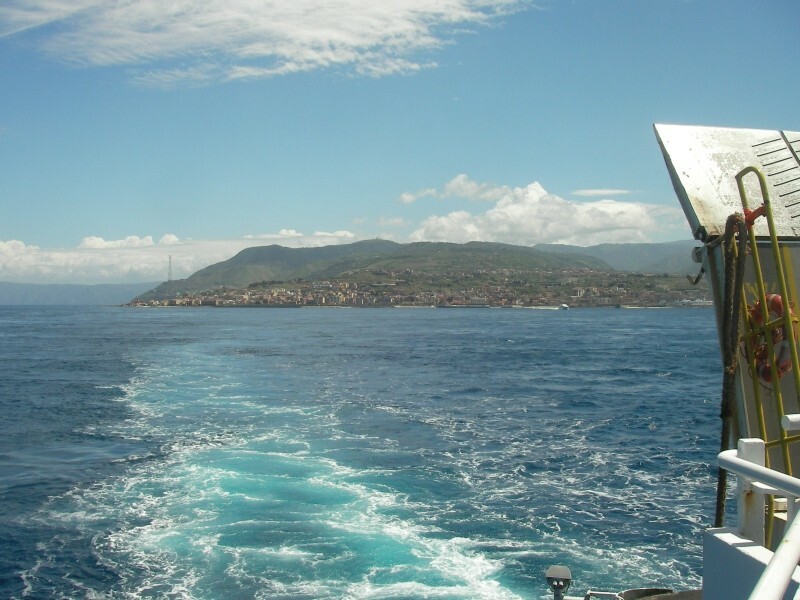 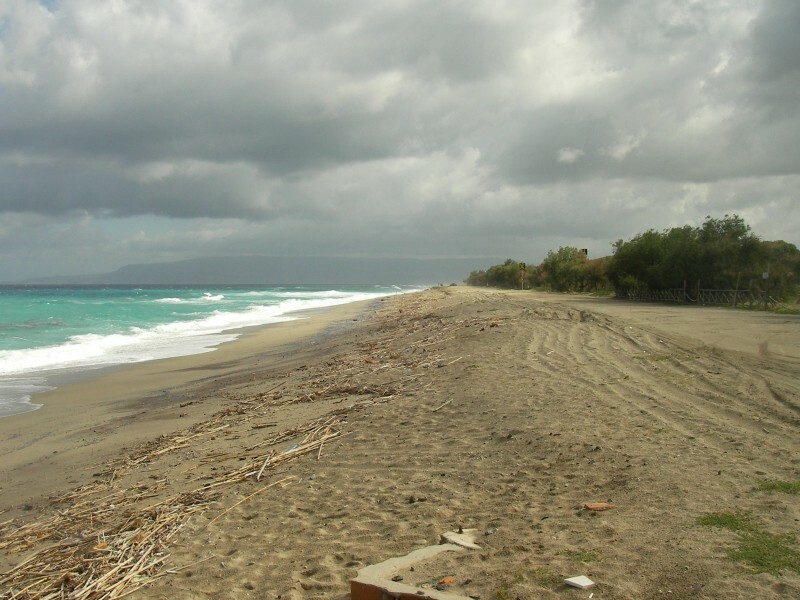 We hired a rental car and drove as fast as we could to an overcrowded Catania. 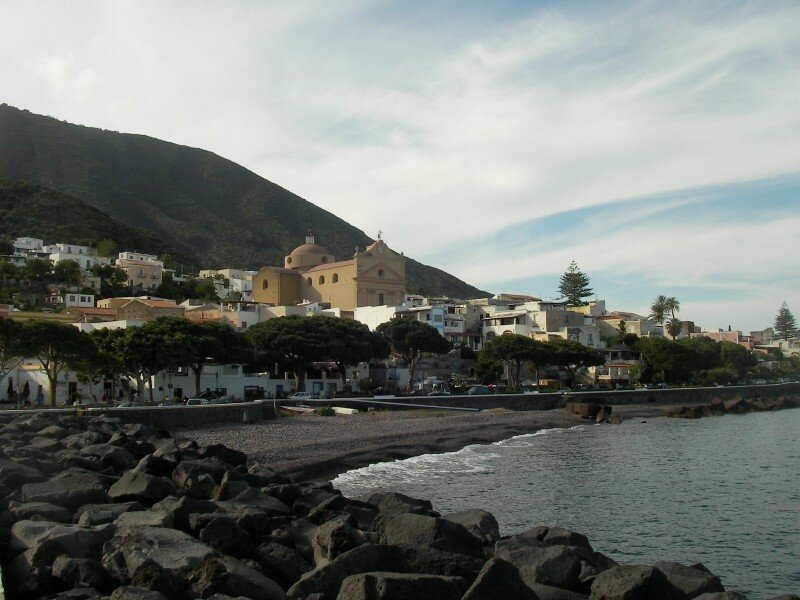 Despite a traffic jam along the way and the insanely crowded airport with no organisation whatsoever we were on time for our flight. 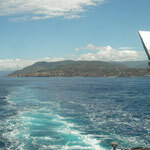 In the end we were flying back to Holland so all was fine. 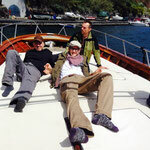 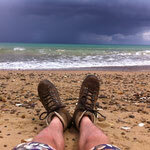 And what is there to complain about after such a great trip?! 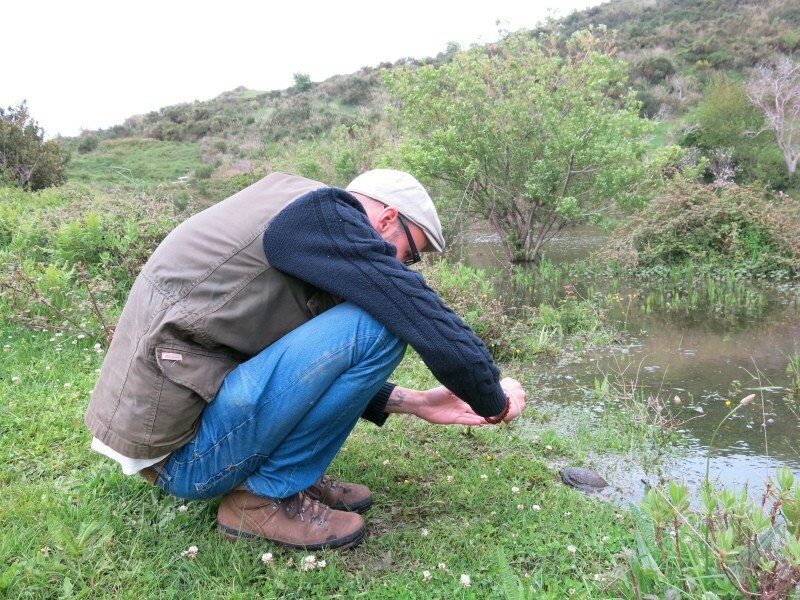 Despite the horrible weather we often had, we could find almost all our desiderata and managed to see a wide array of species. 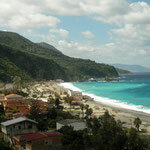 And all this in 8 days time! 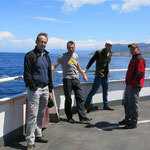 Many thanks to: Wouter Beukema, Daniel Bohle, Pietro Lo Cascio, Jeroen Speybroeck and Sandro Tripepi.